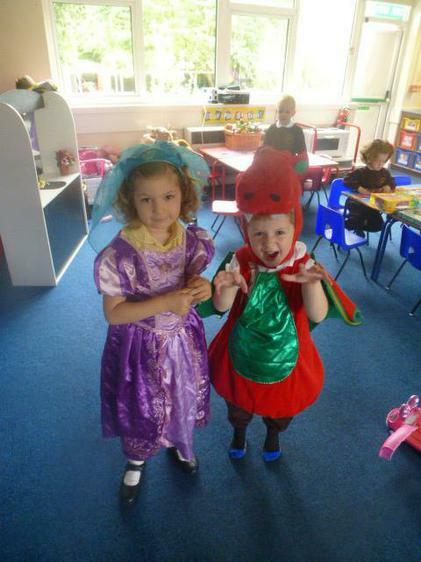 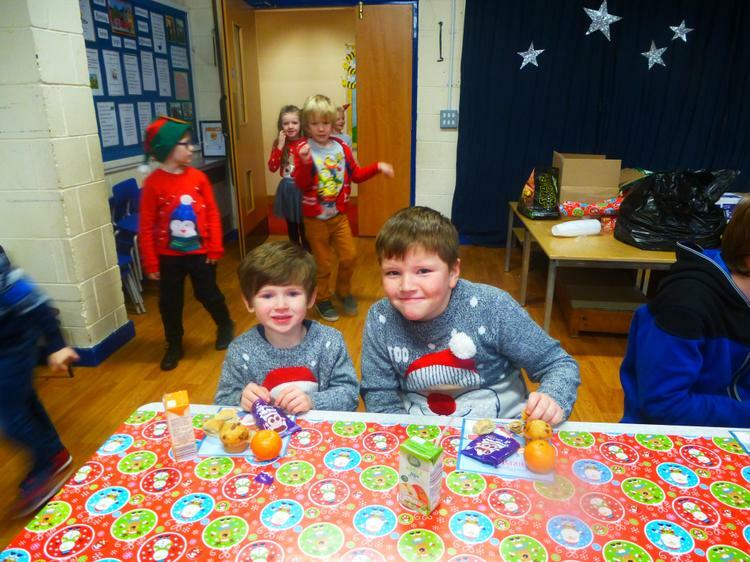 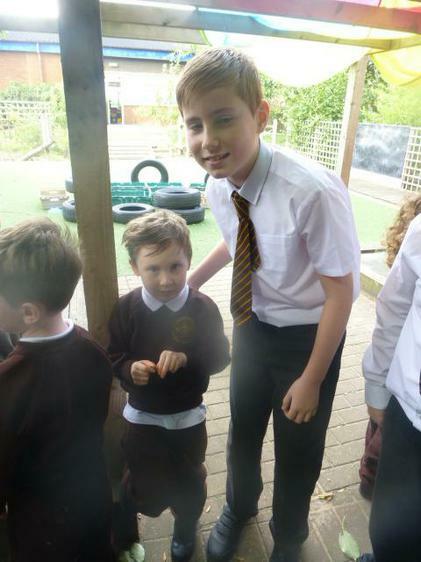 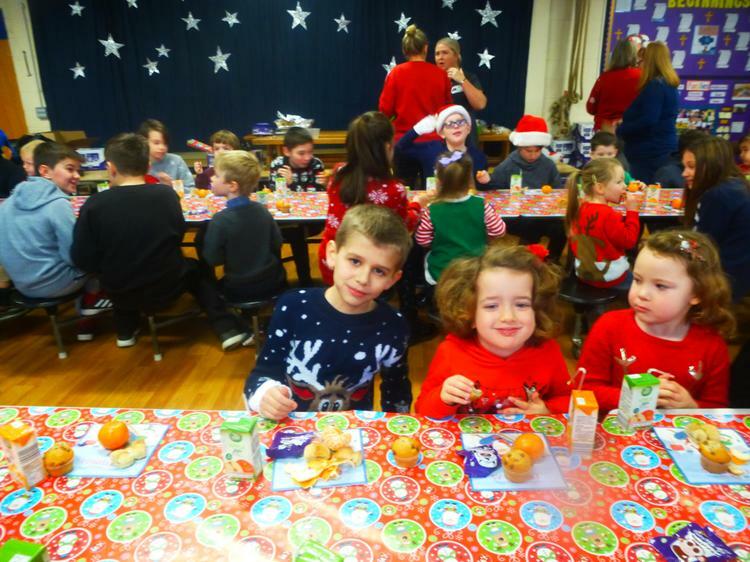 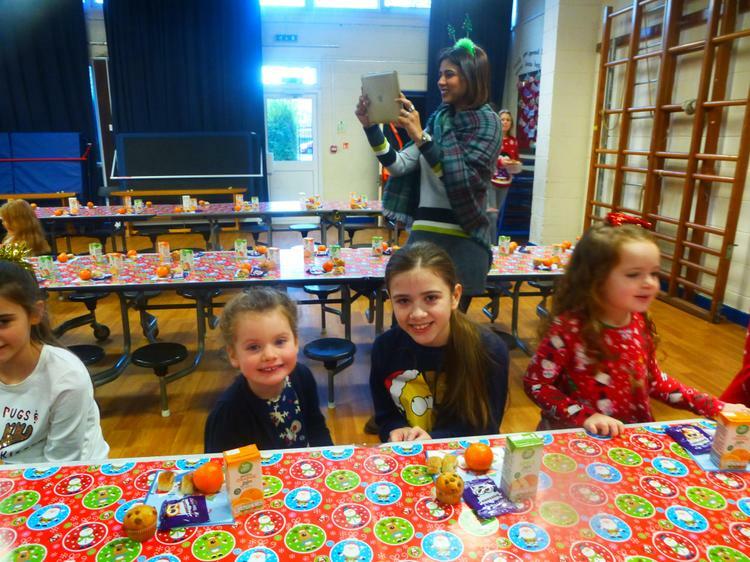 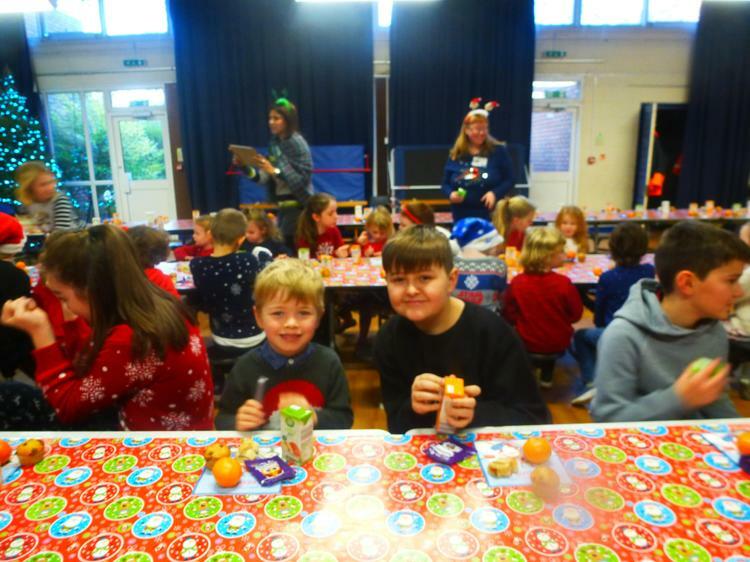 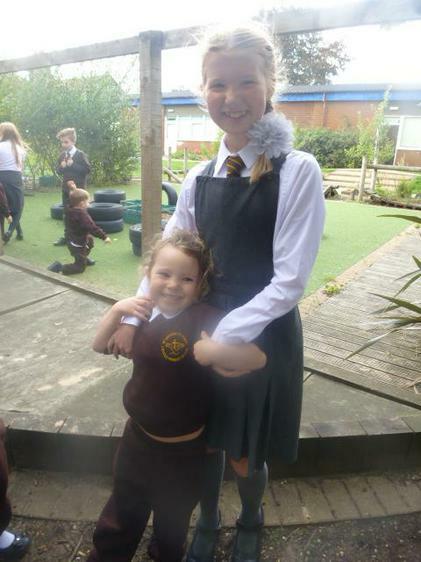 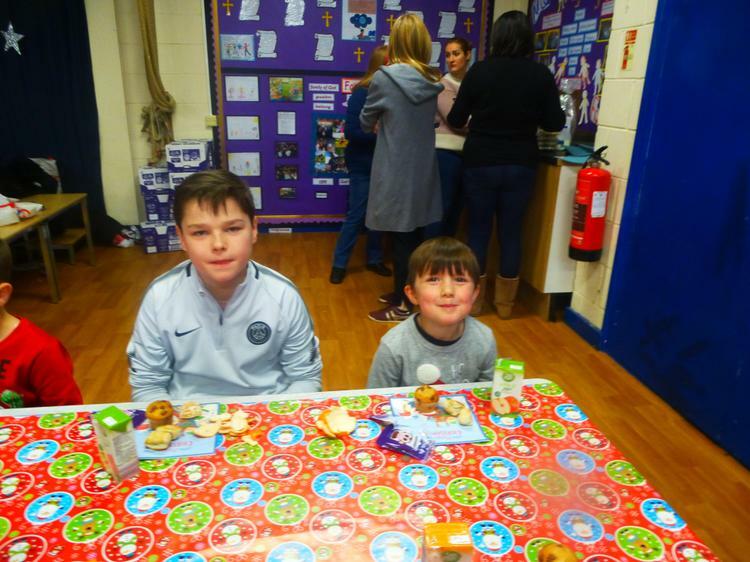 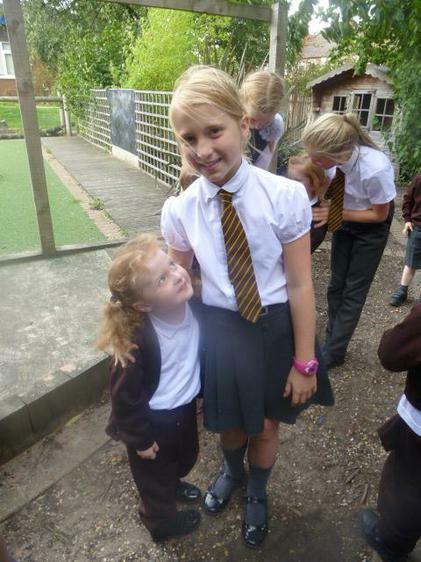 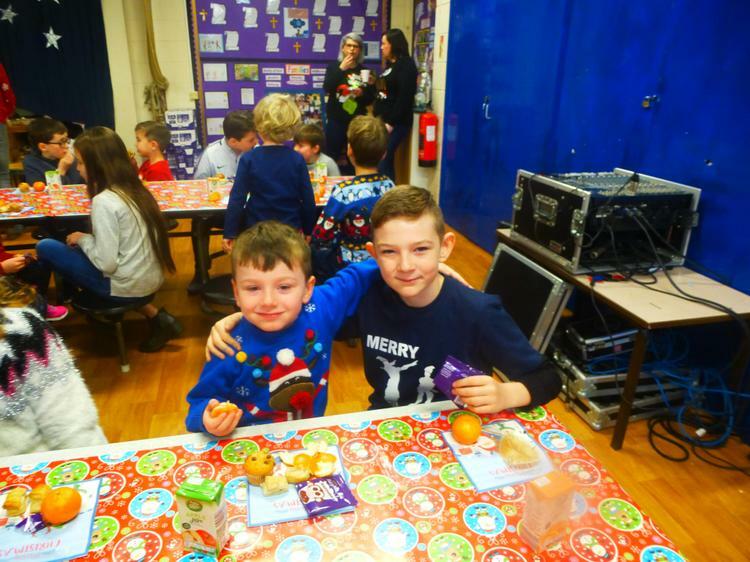 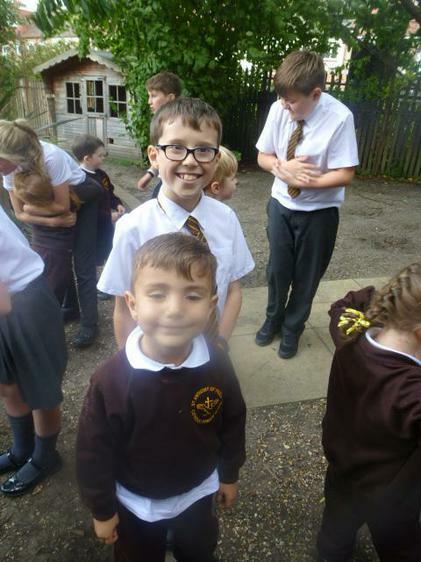 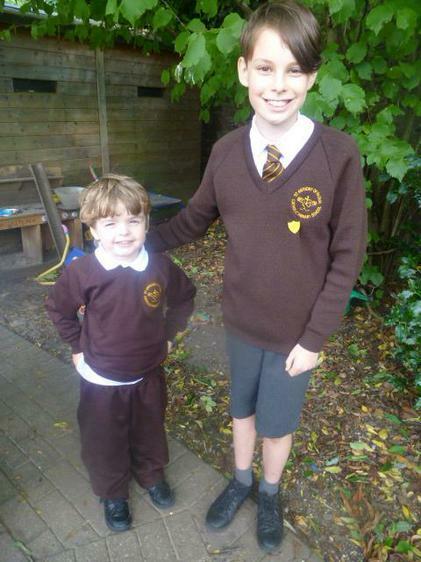 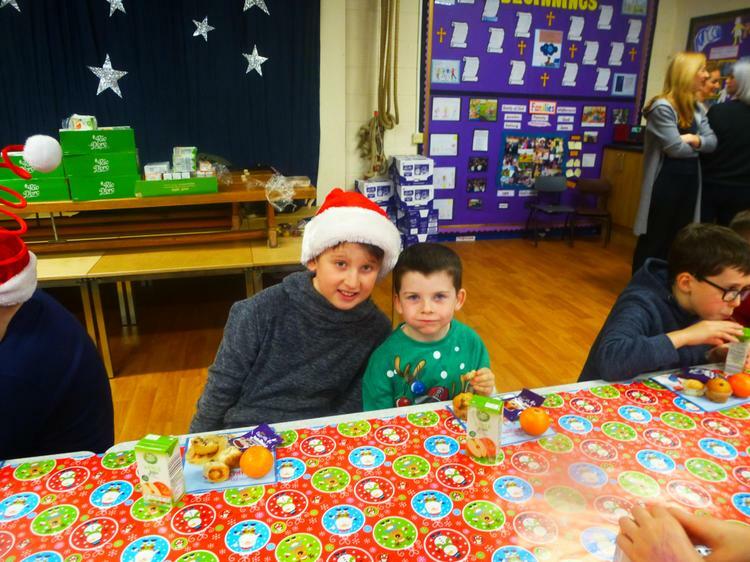 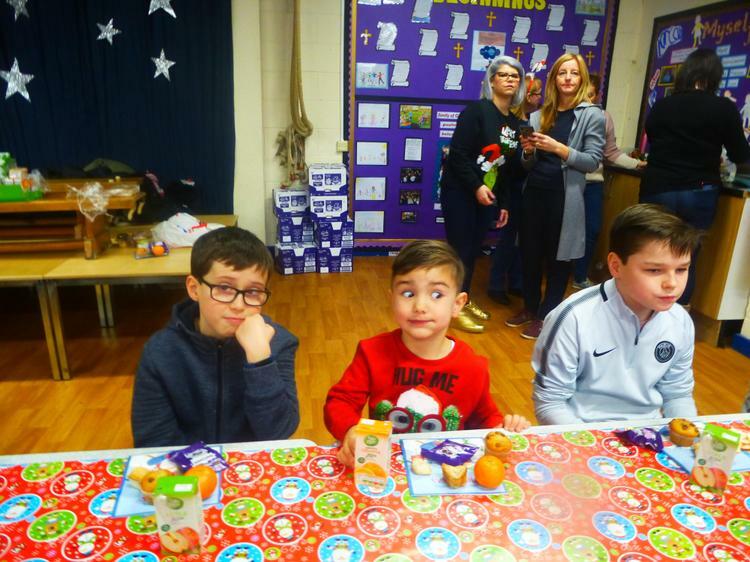 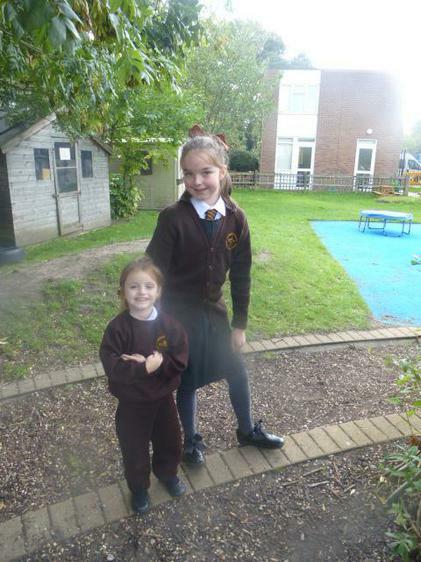 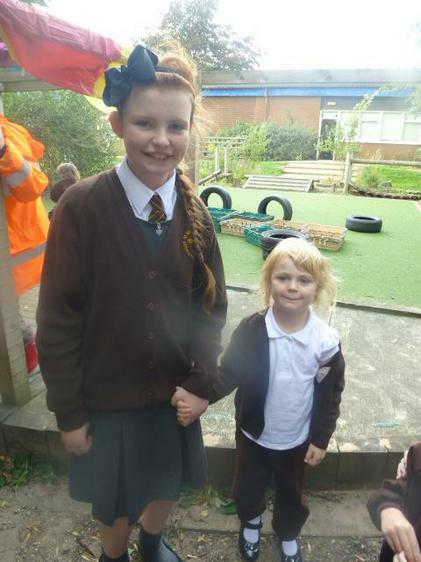 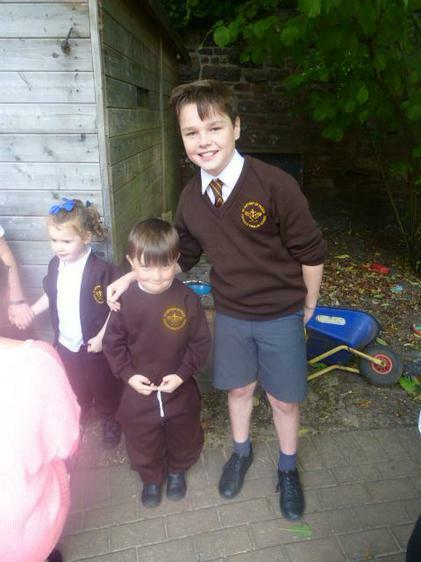 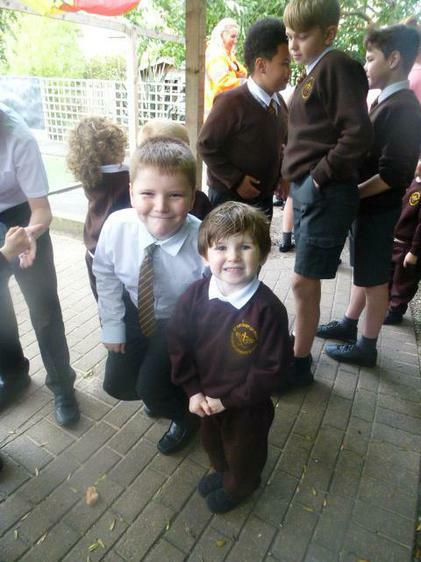 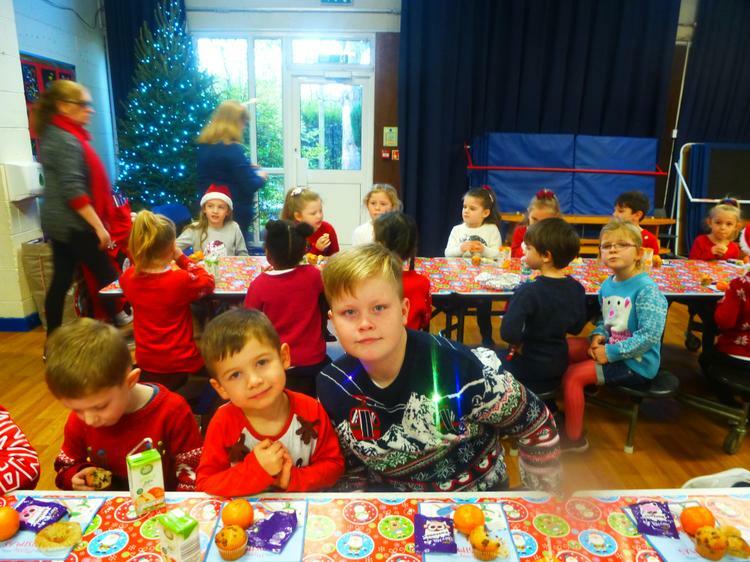 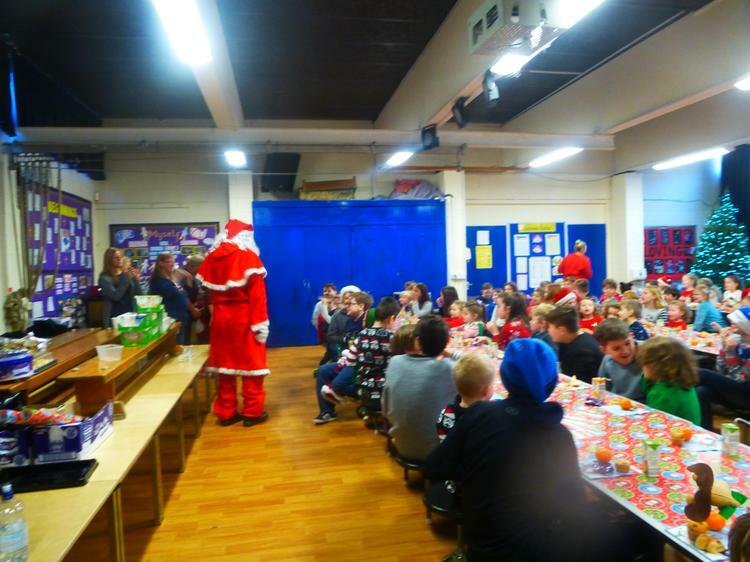 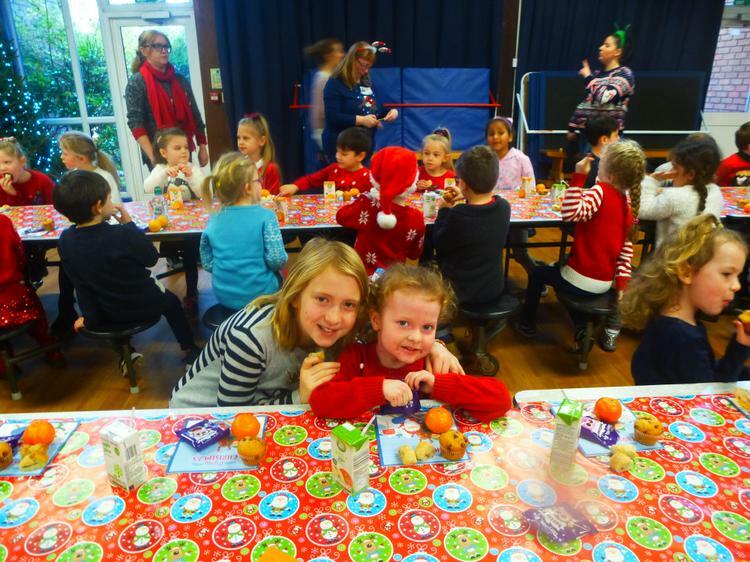 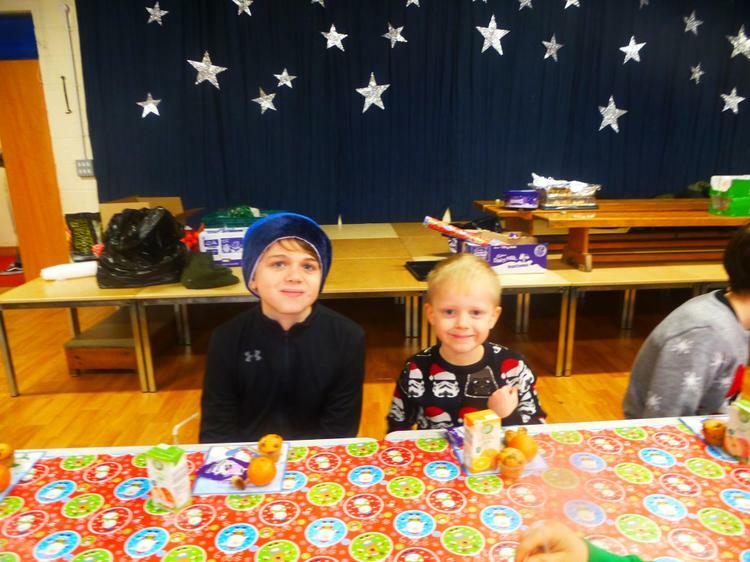 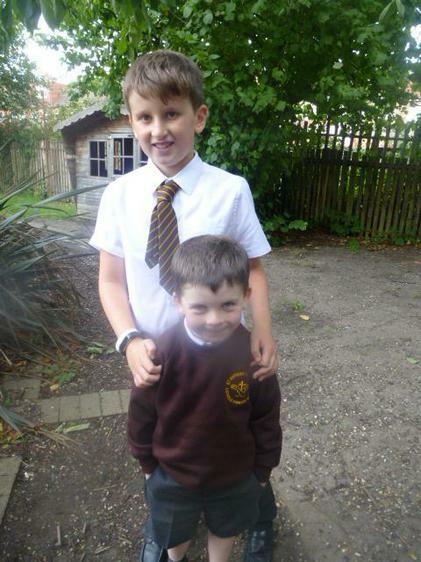 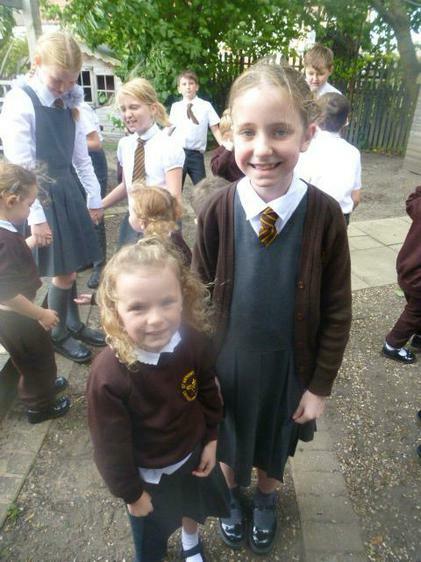 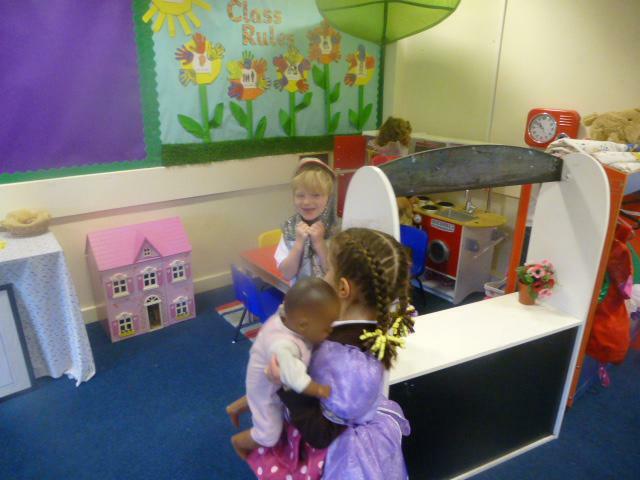 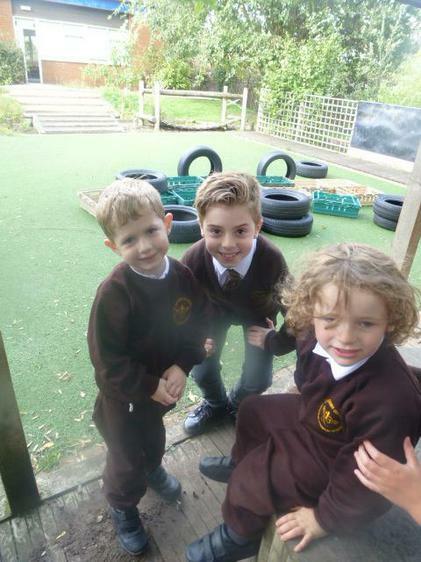 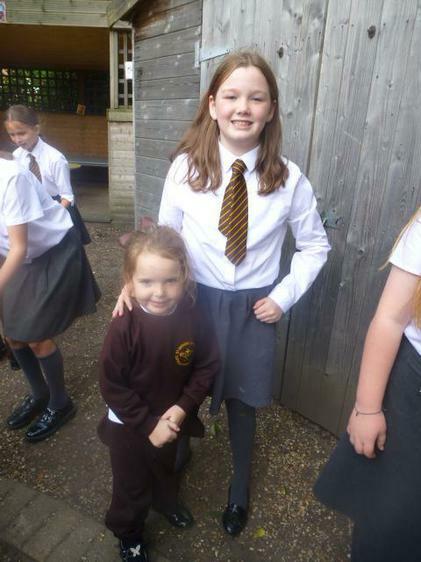 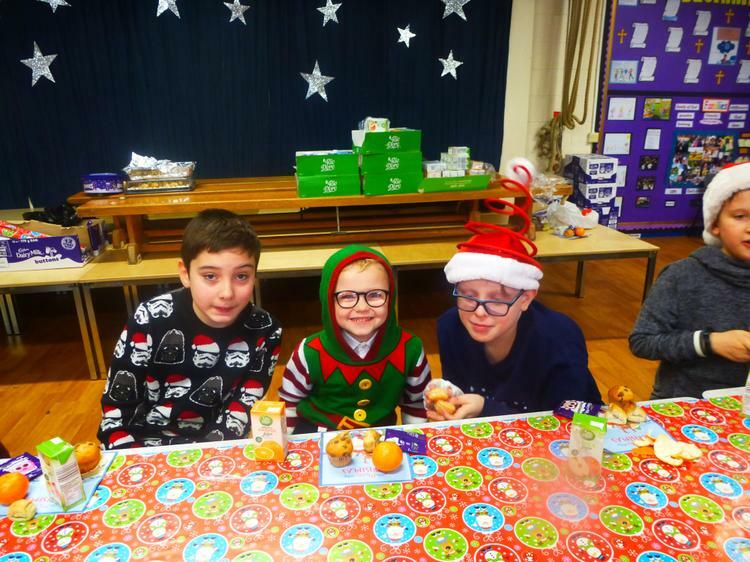 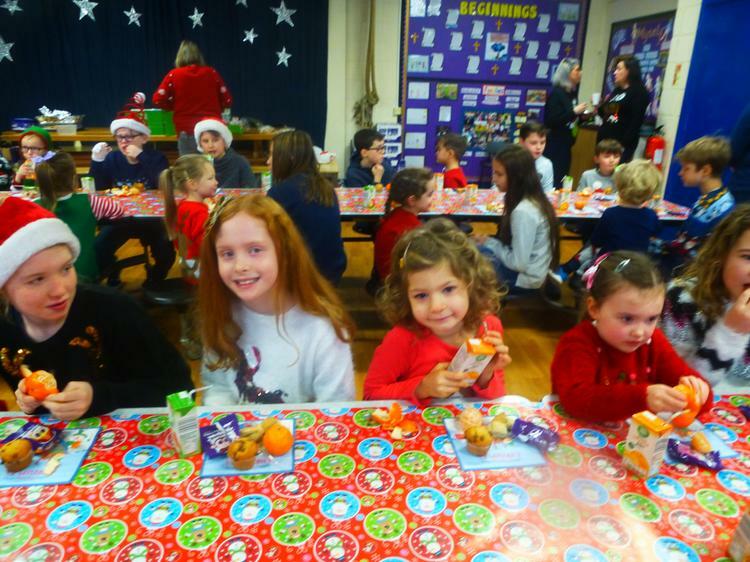 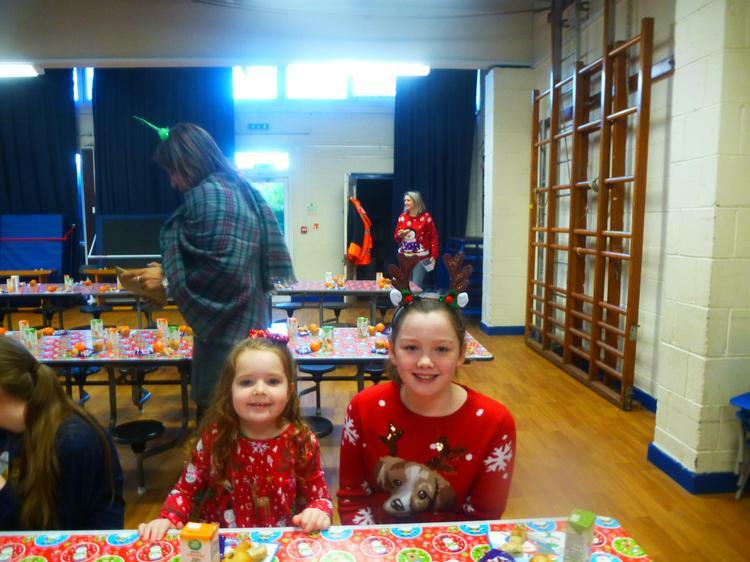 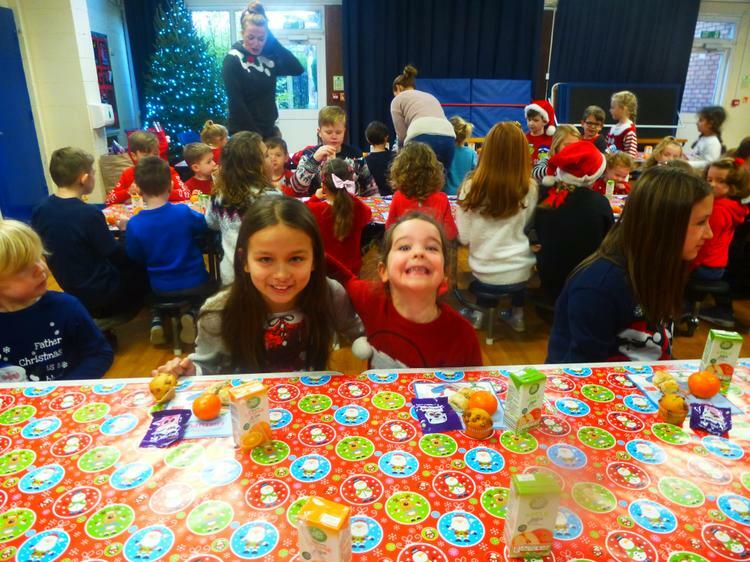 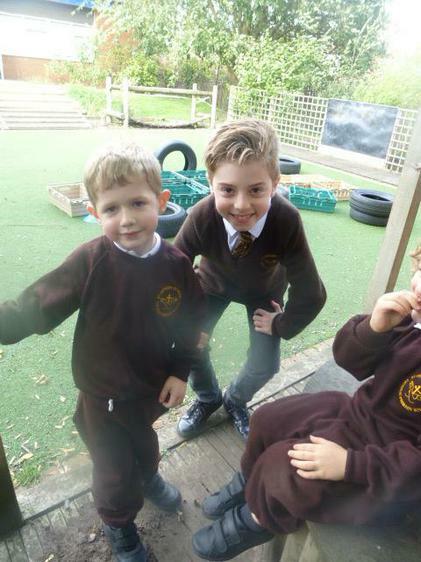 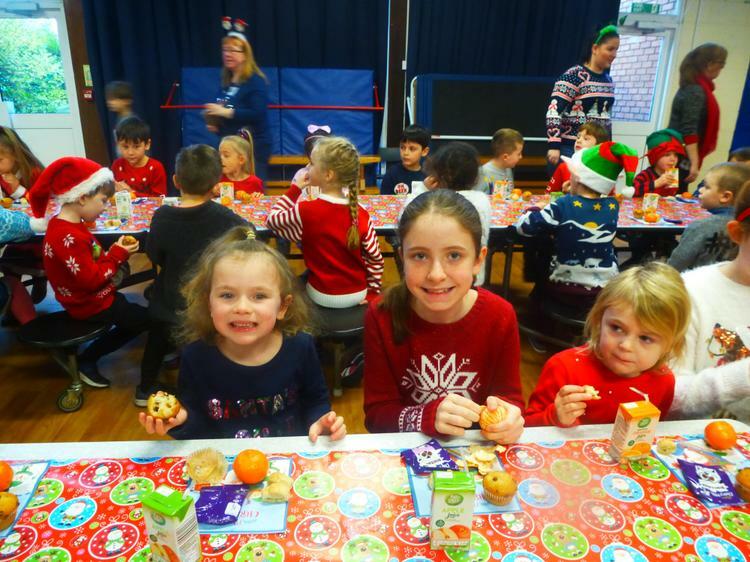 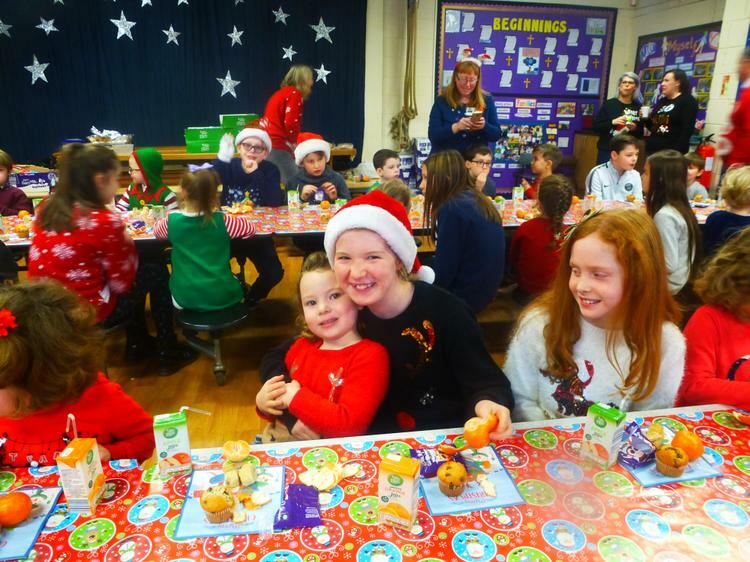 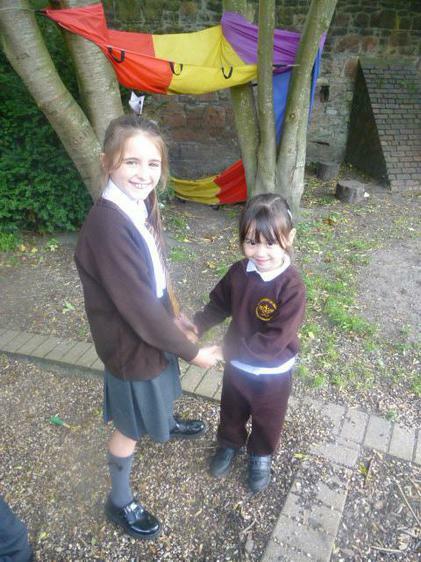 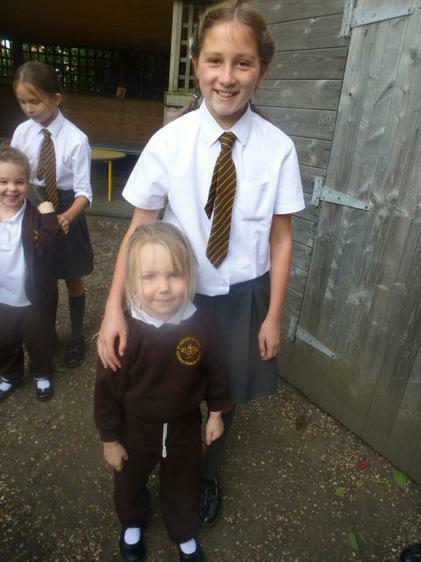 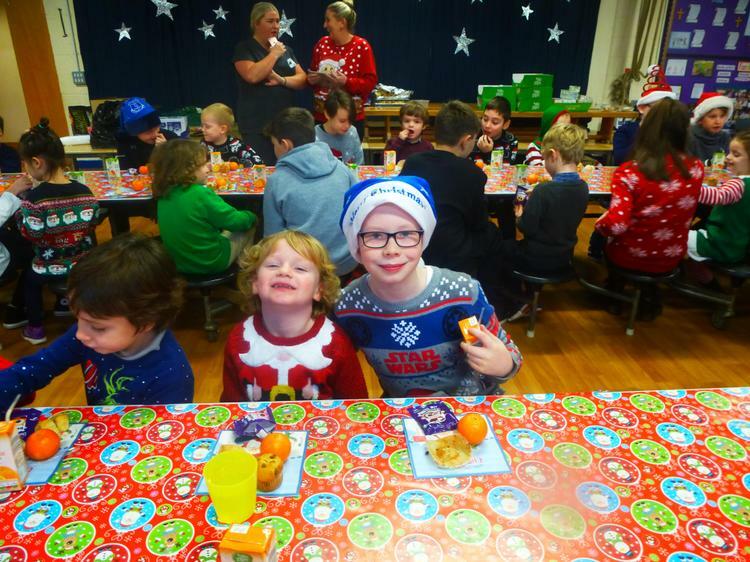 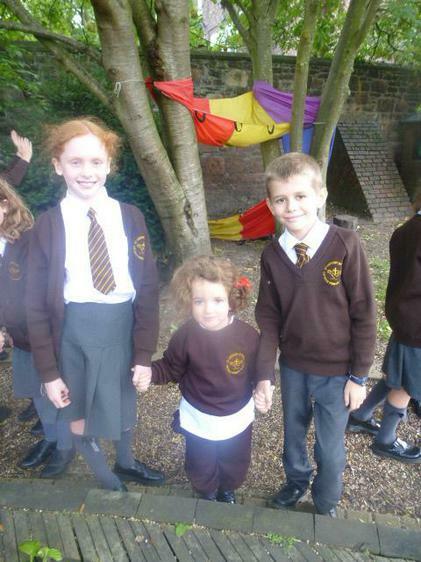 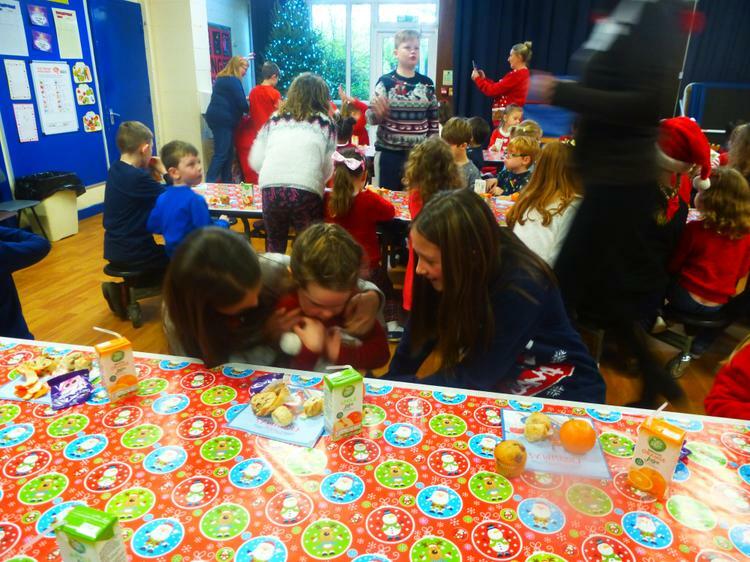 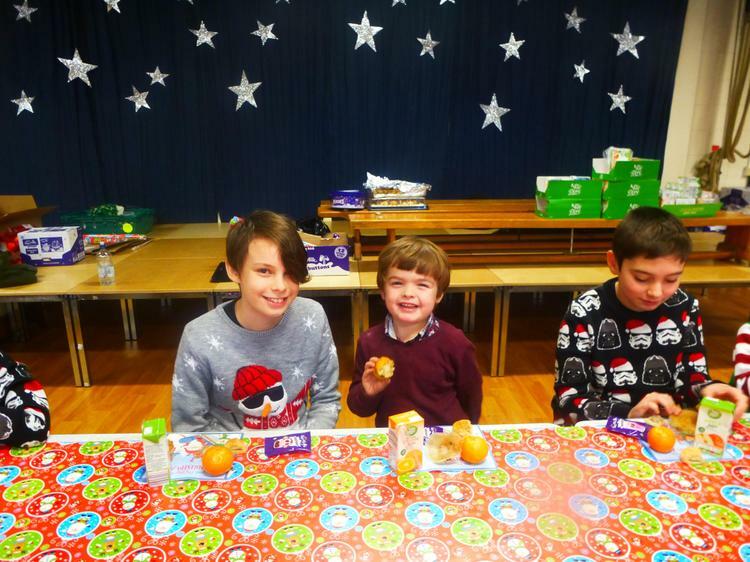 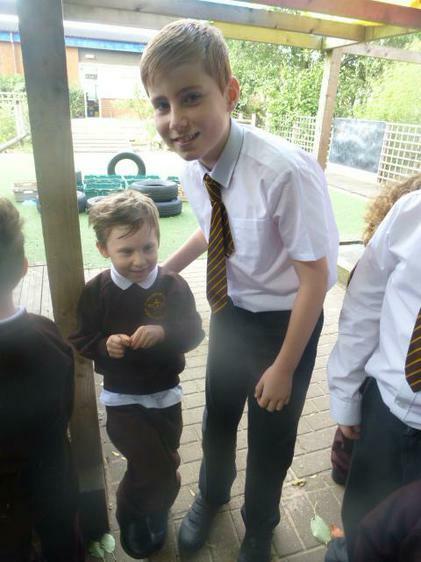 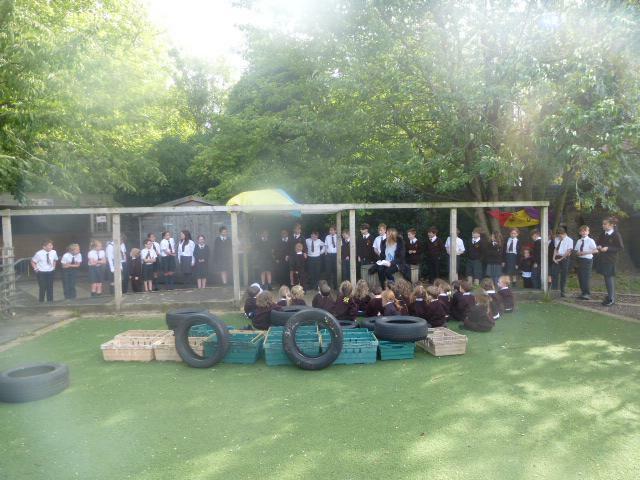 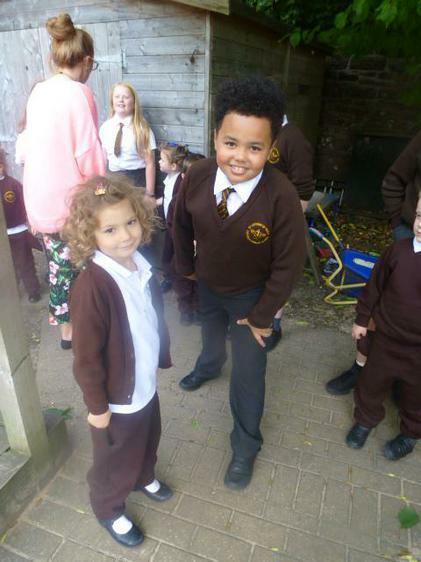 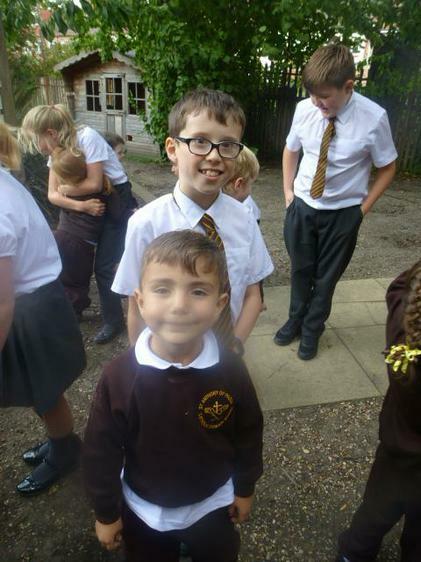 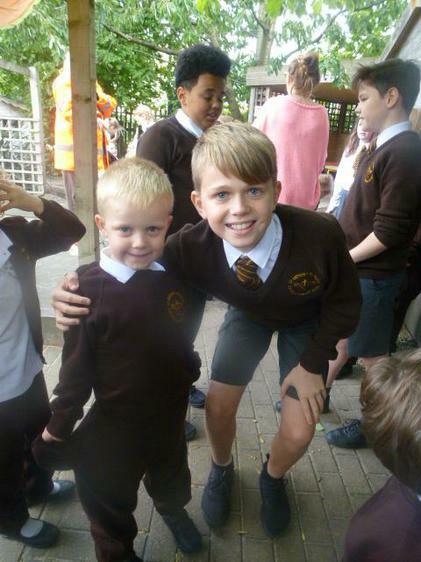 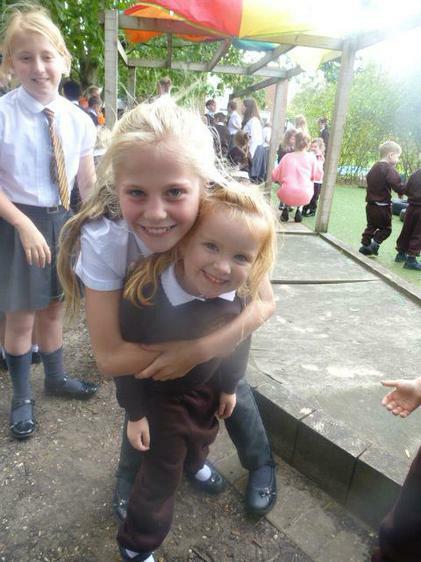 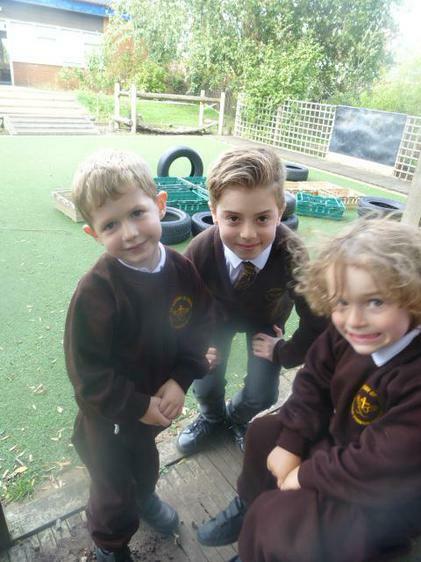 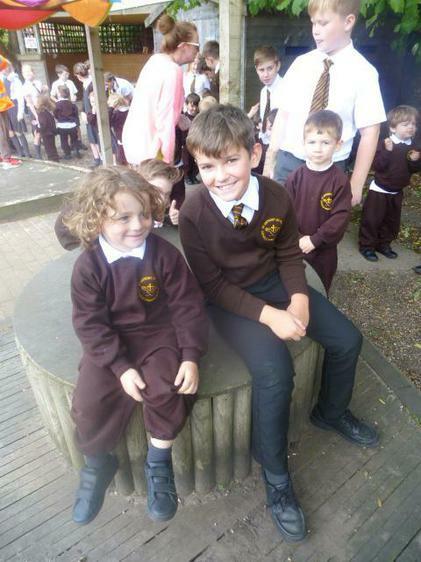 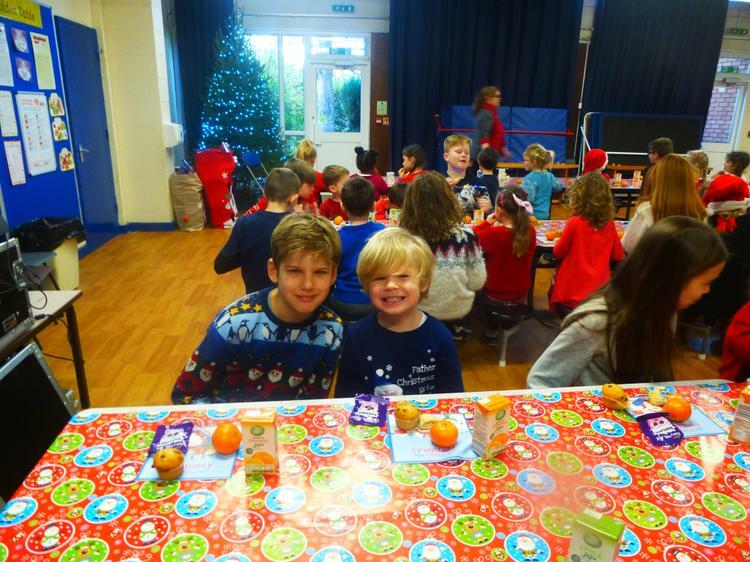 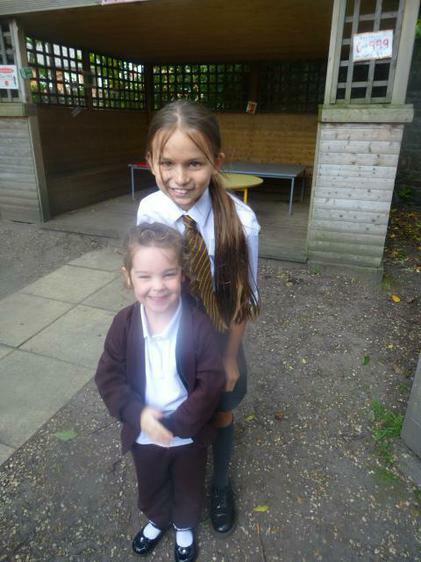 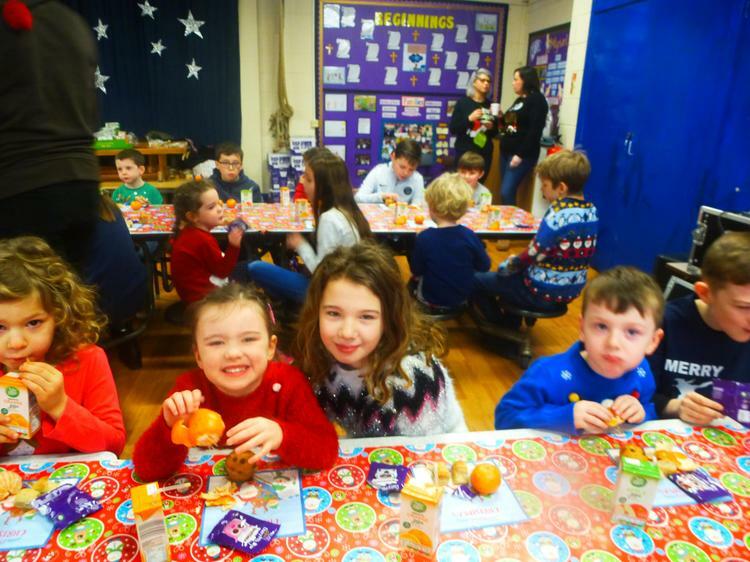 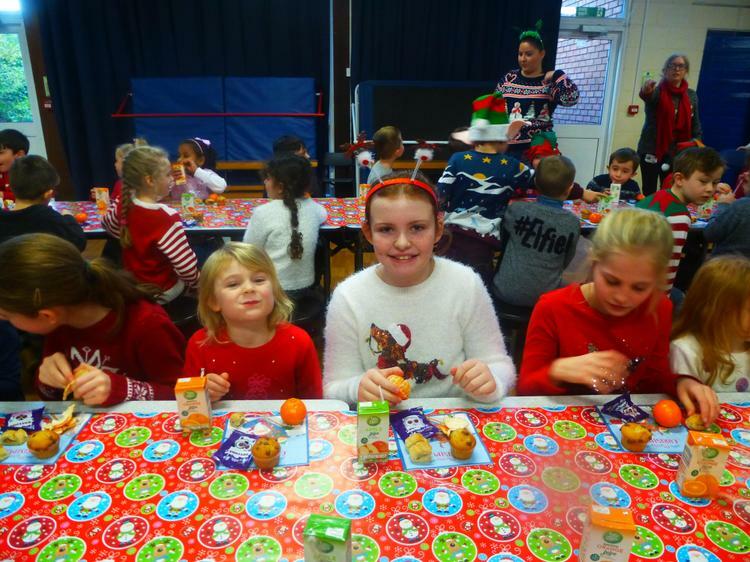 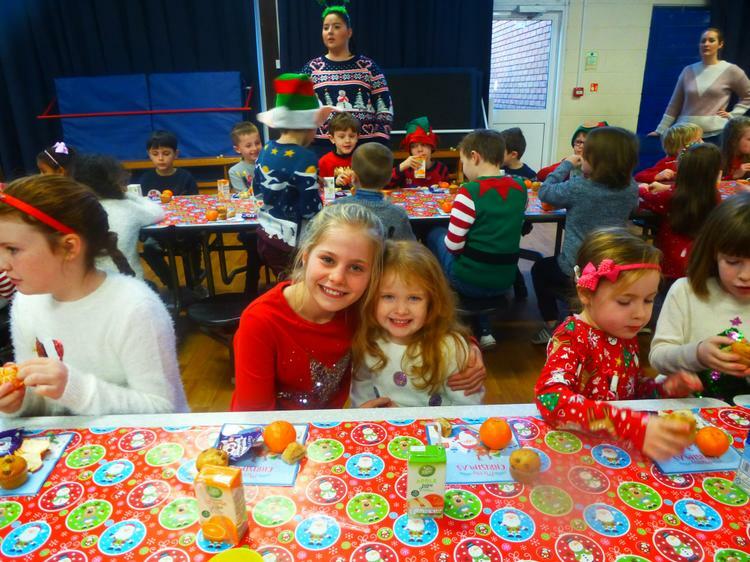 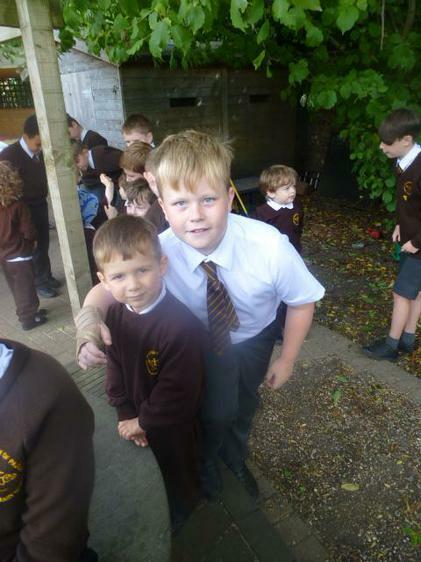 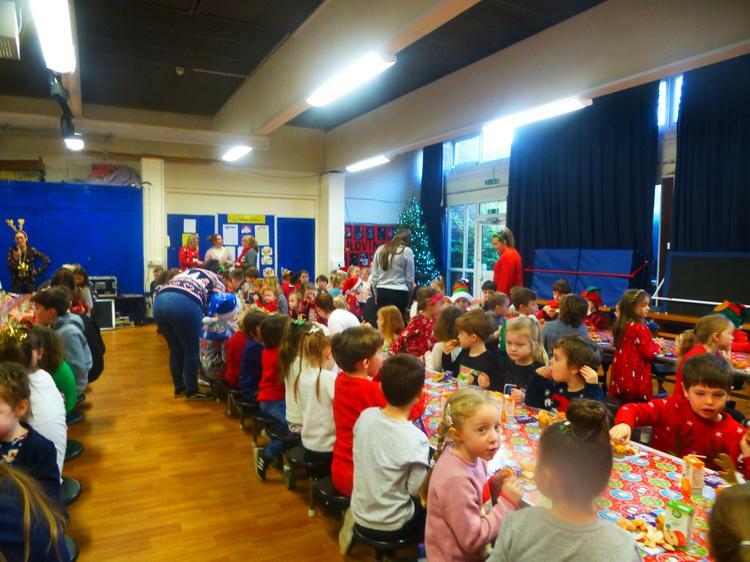 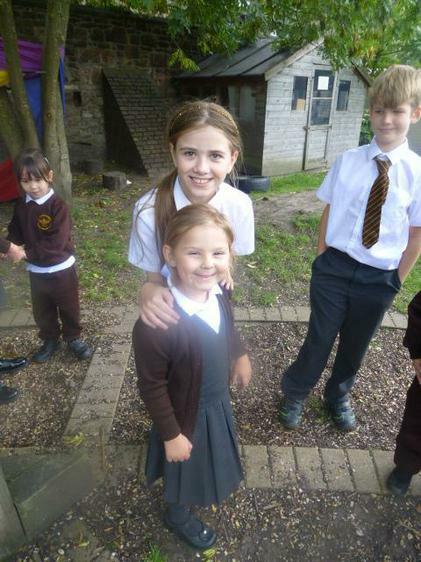 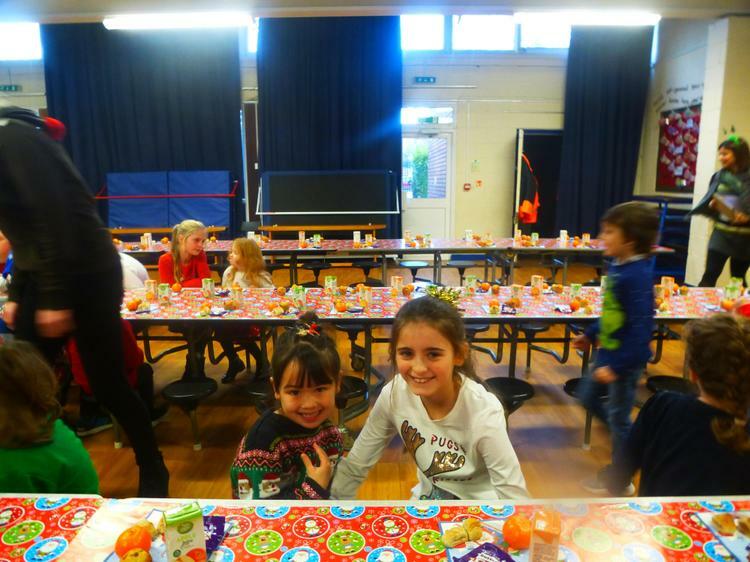 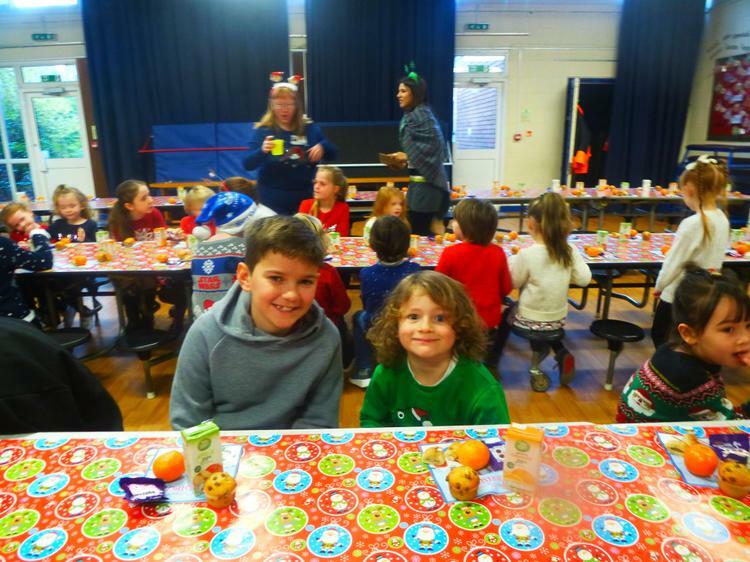 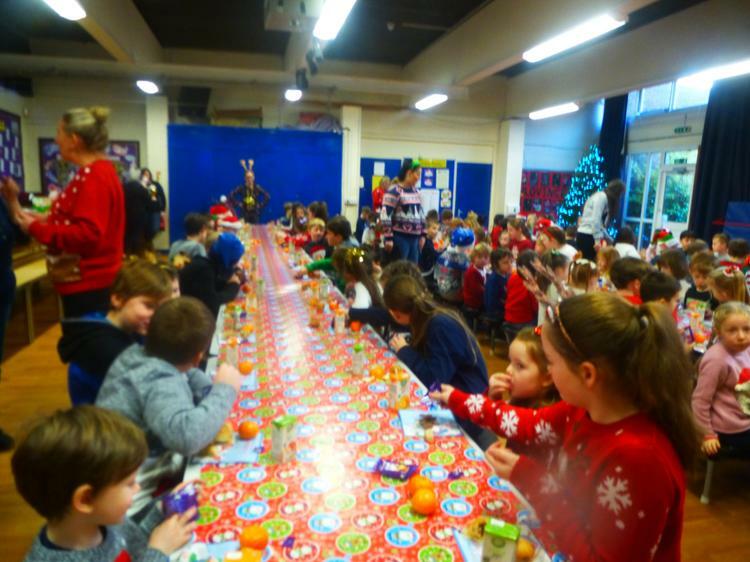 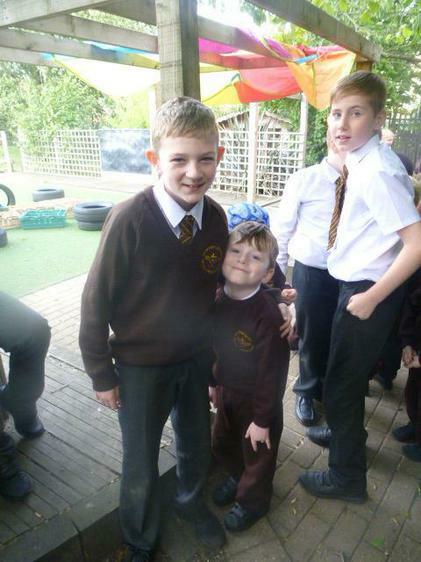 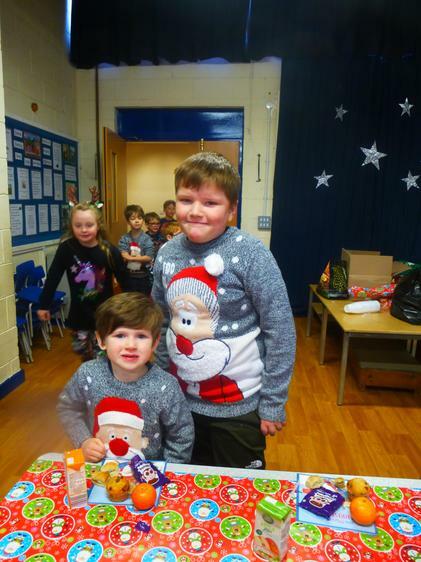 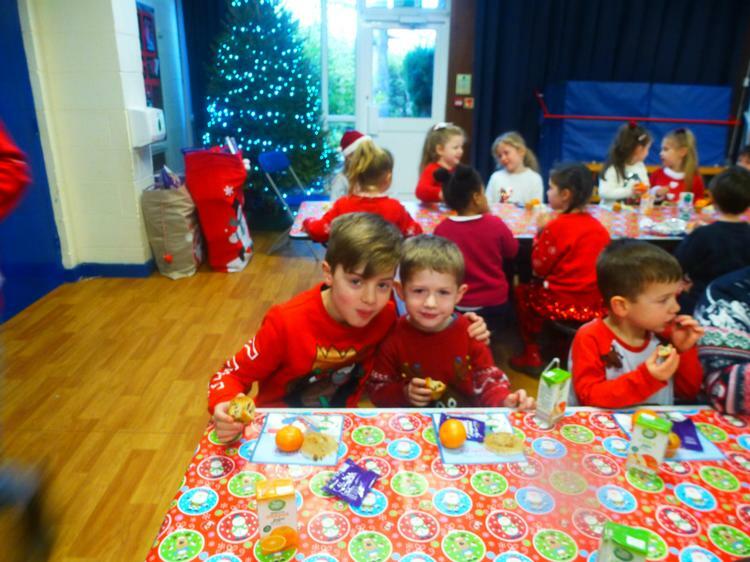 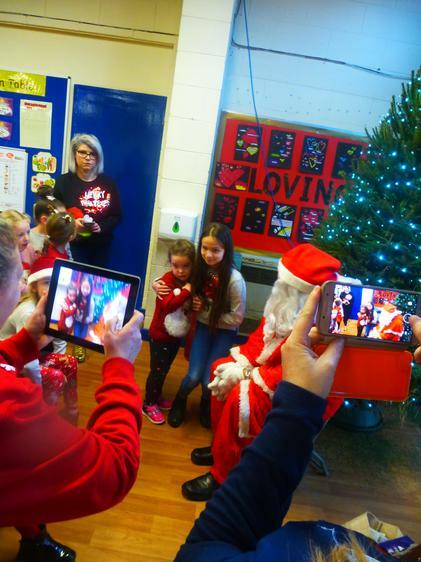 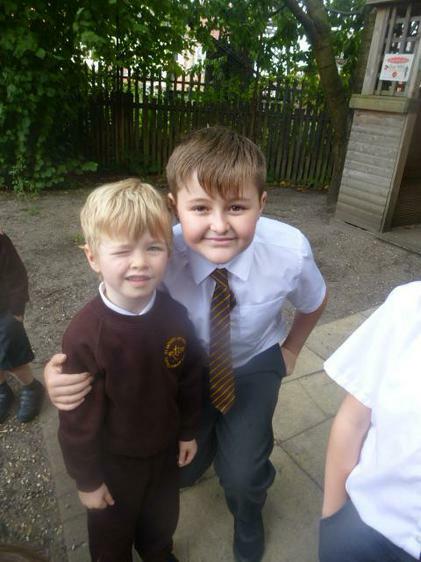 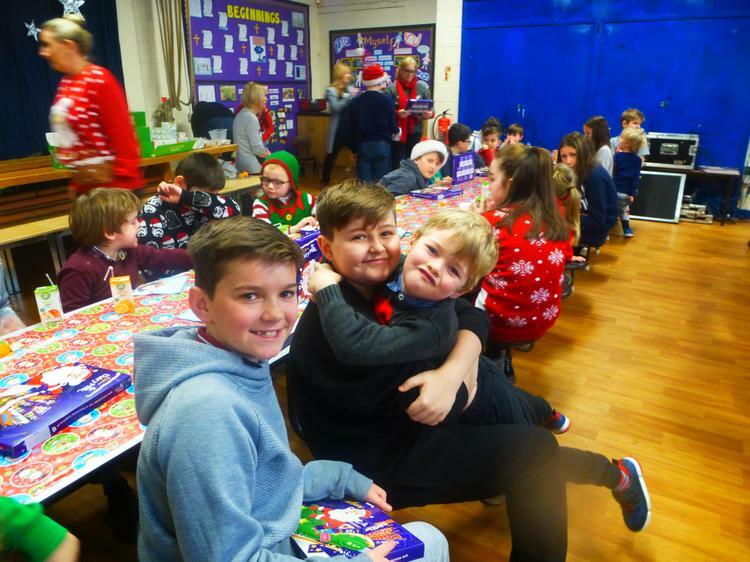 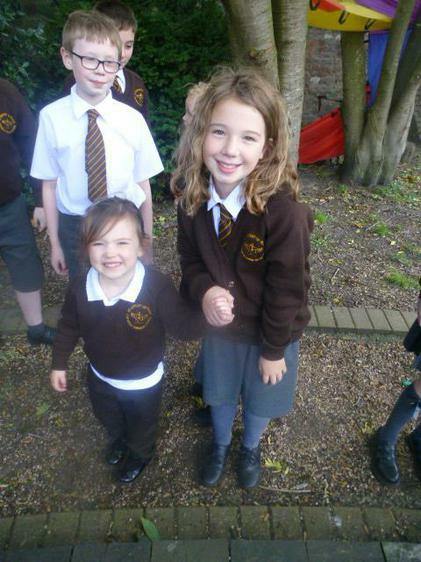 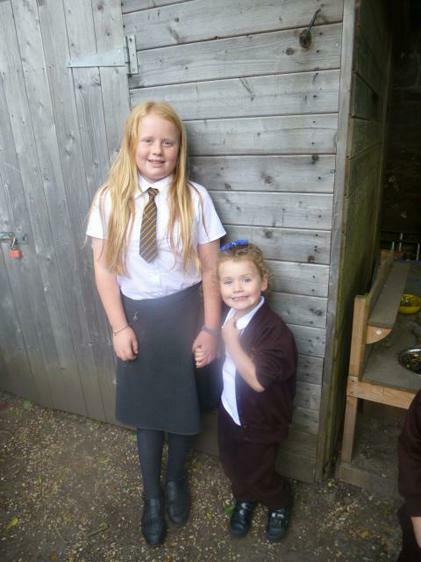 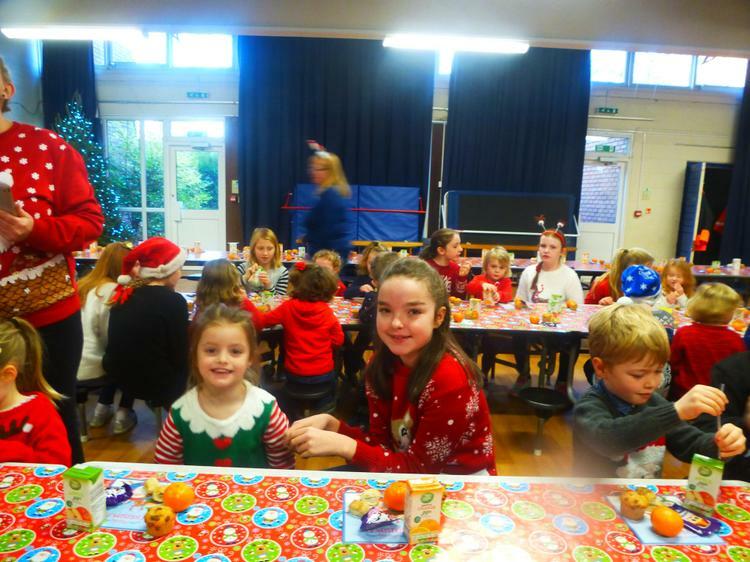 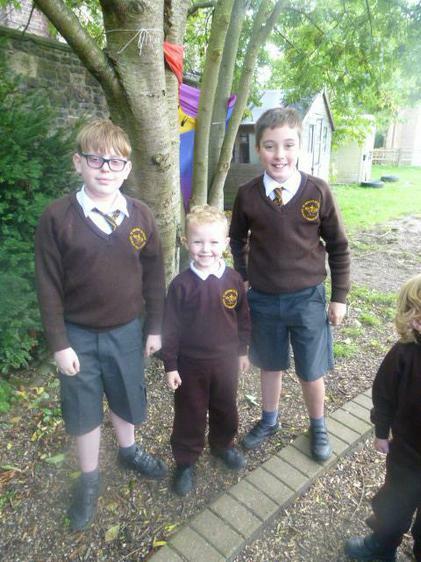 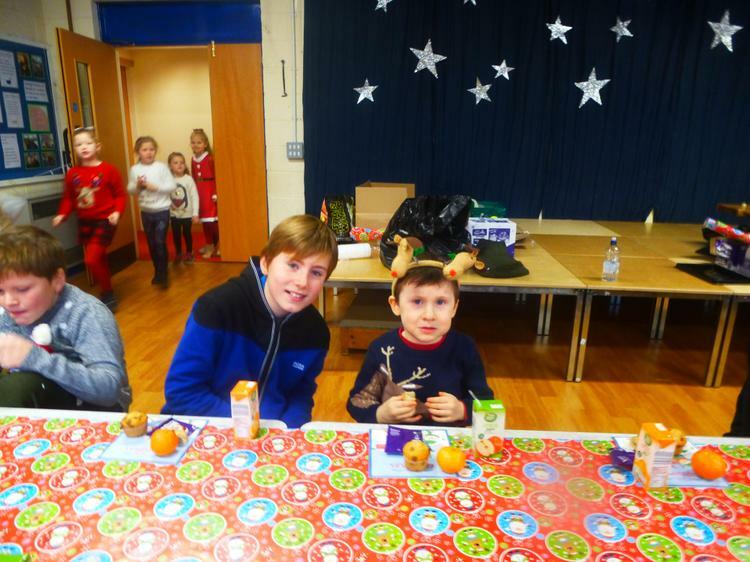 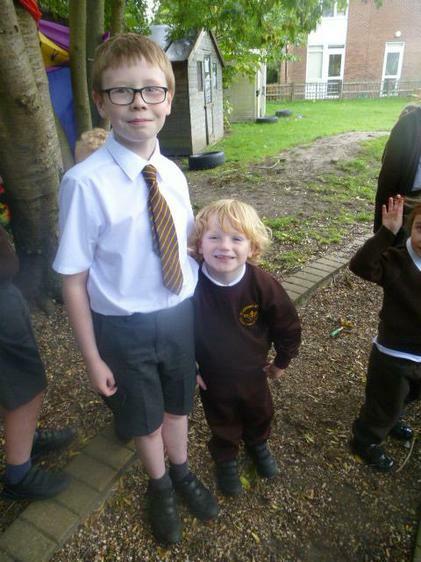 Reception met their new Year 6 buddies. 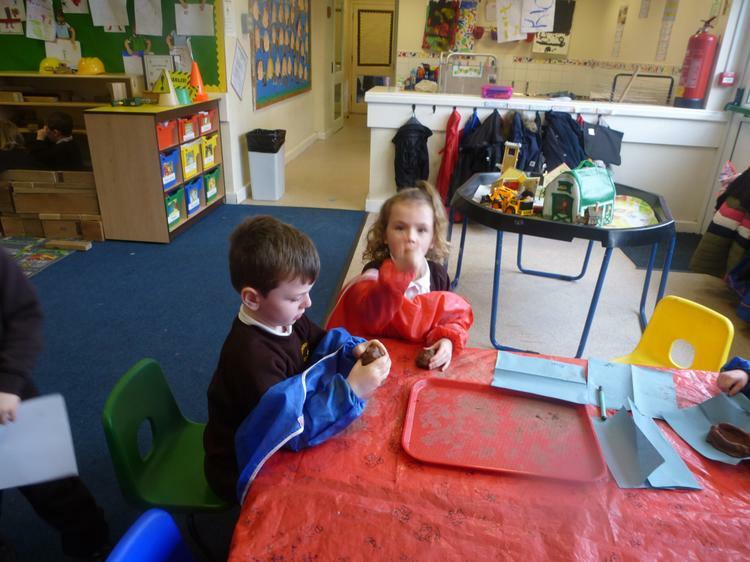 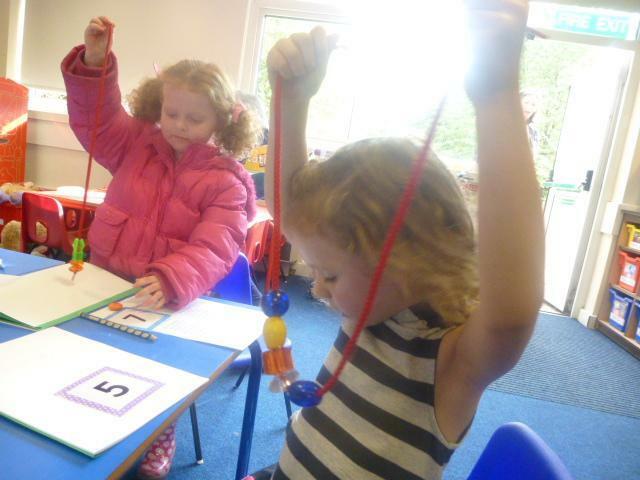 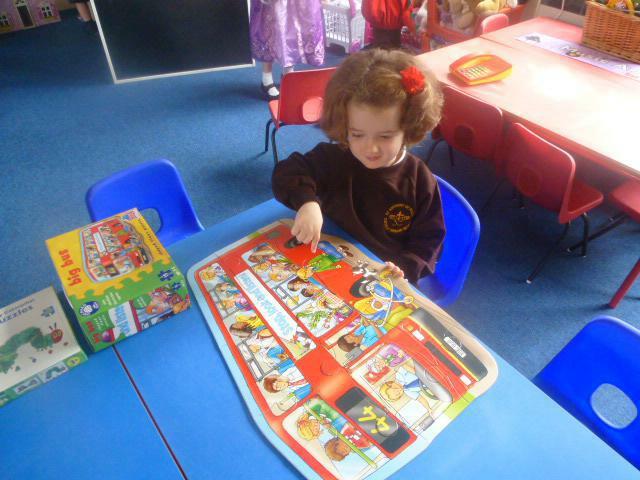 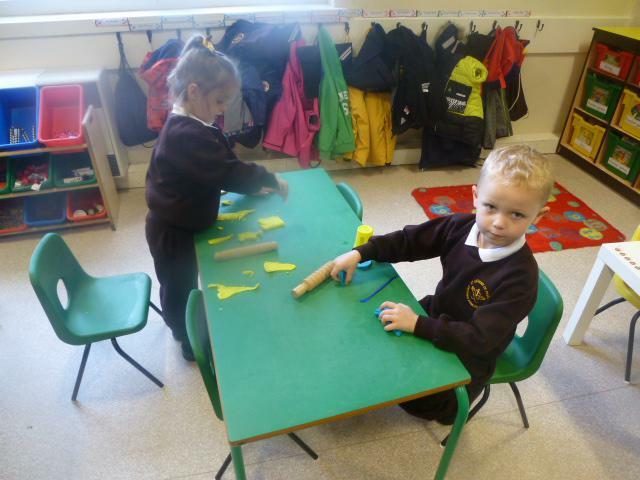 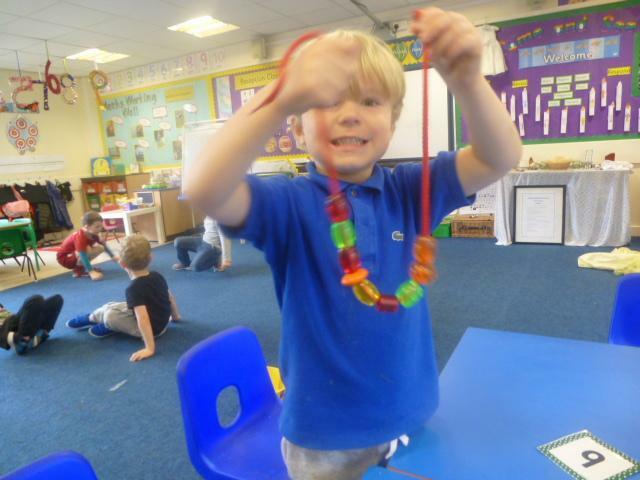 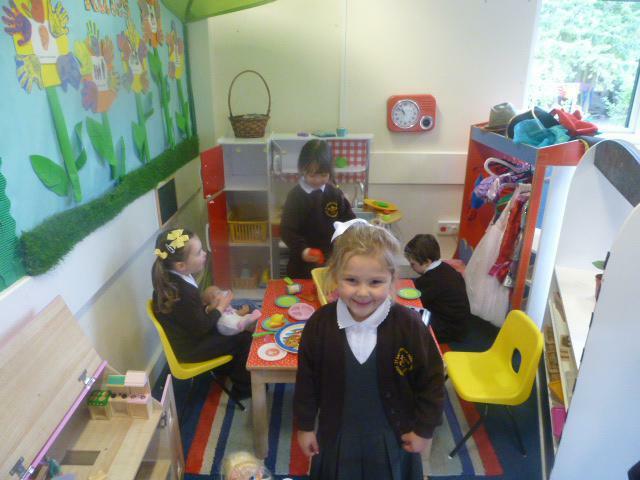 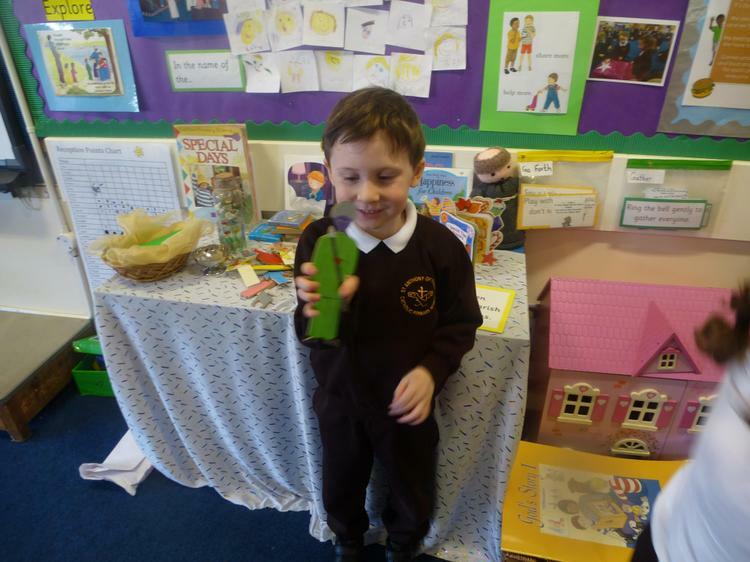 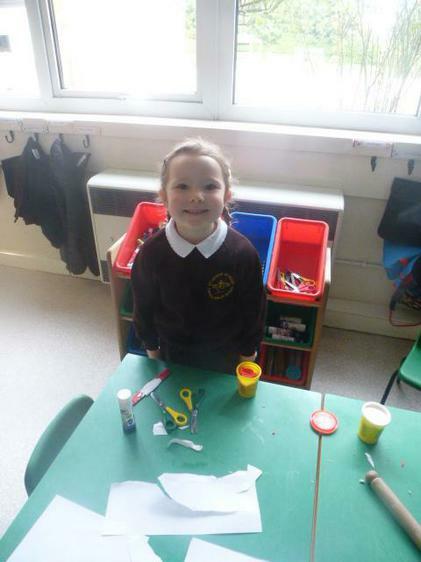 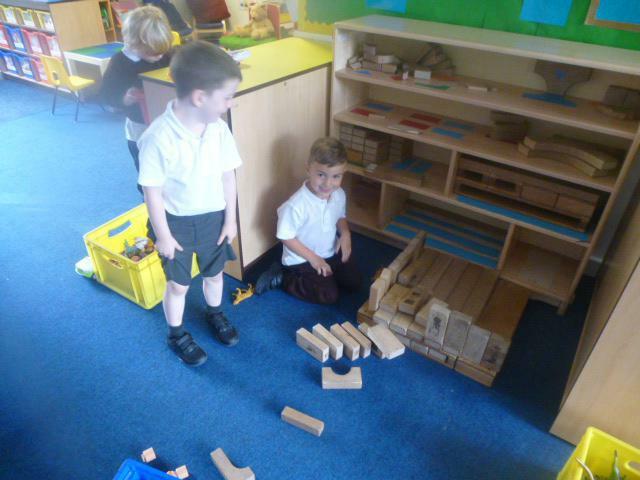 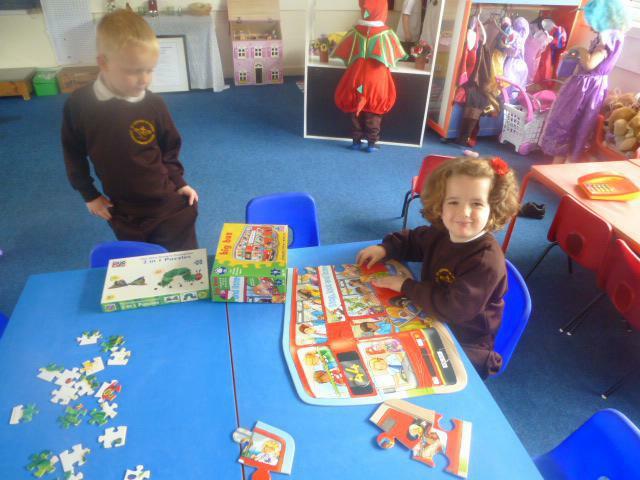 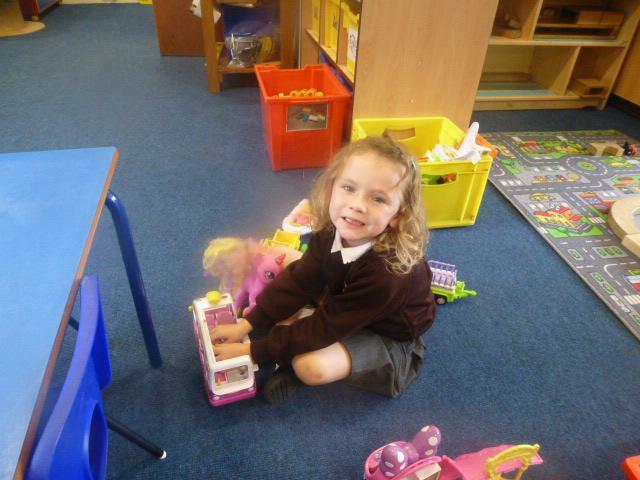 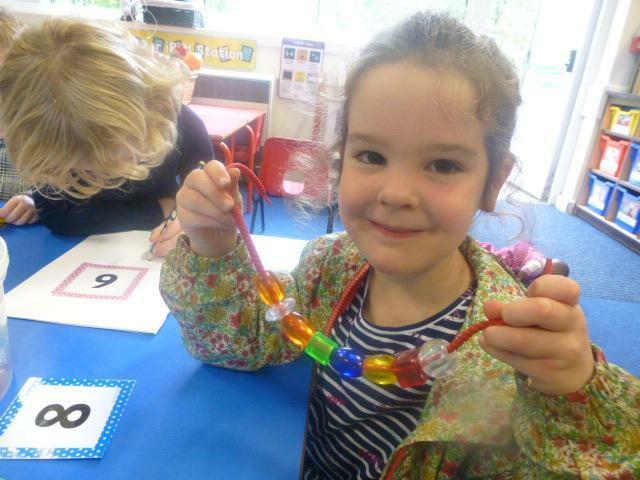 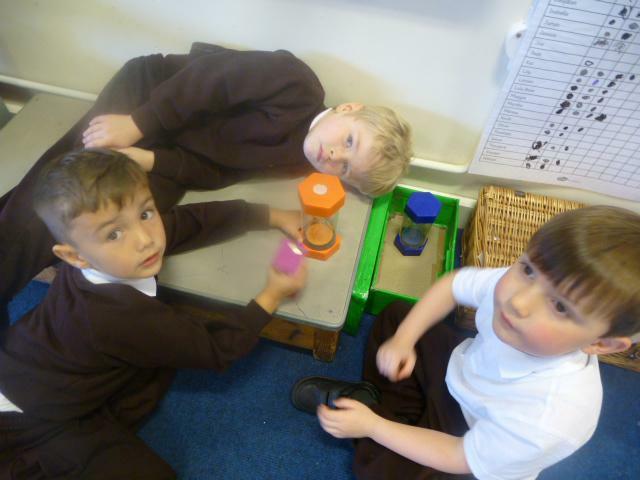 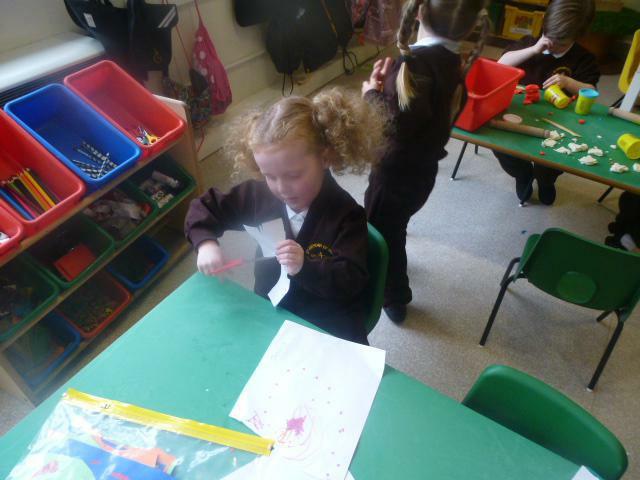 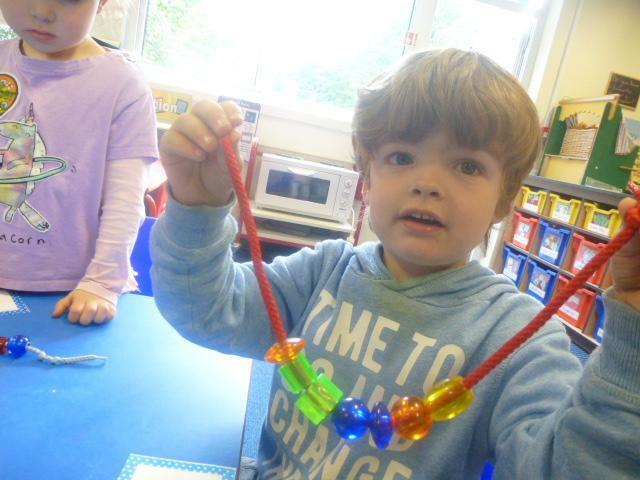 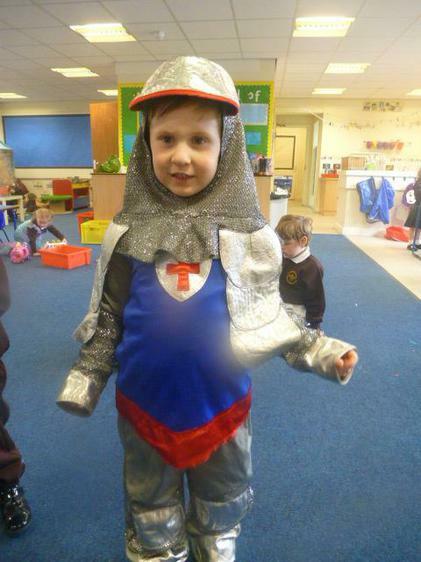 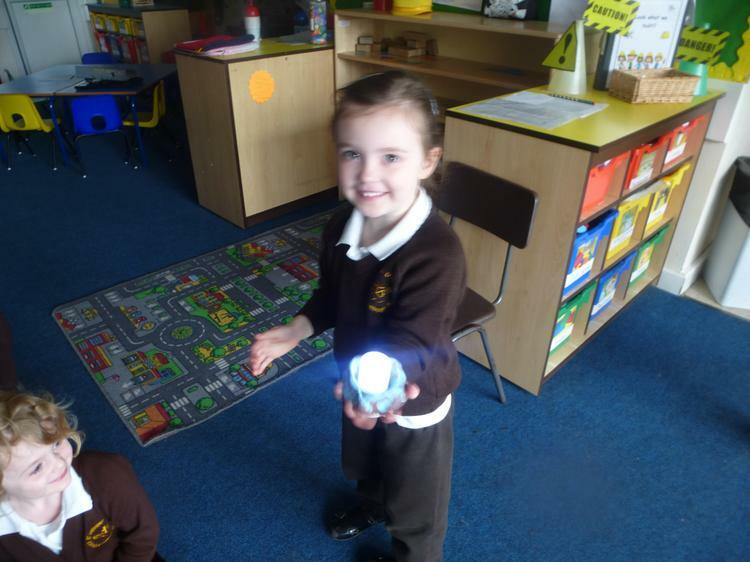 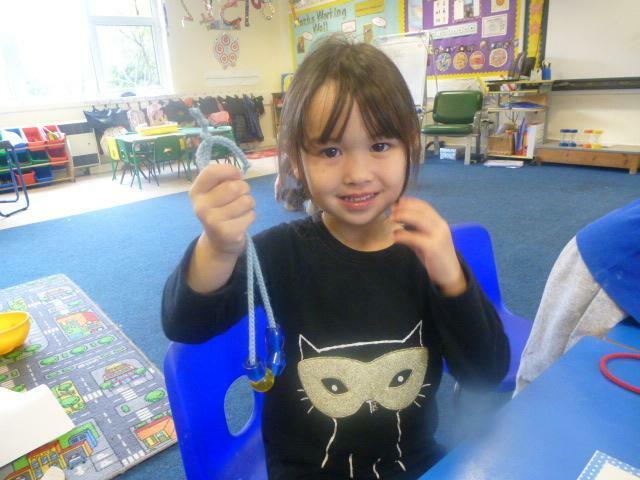 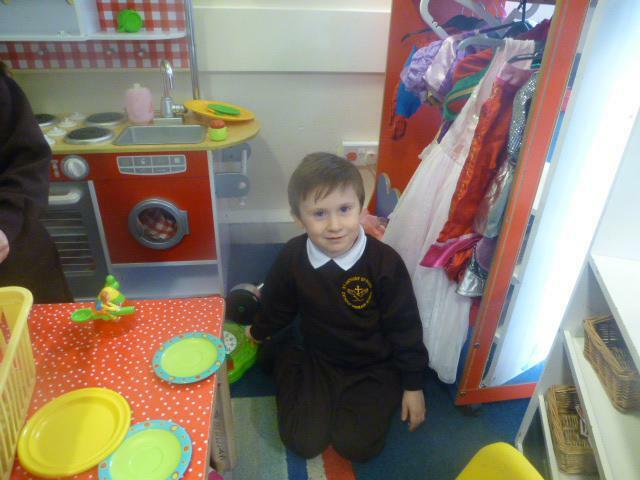 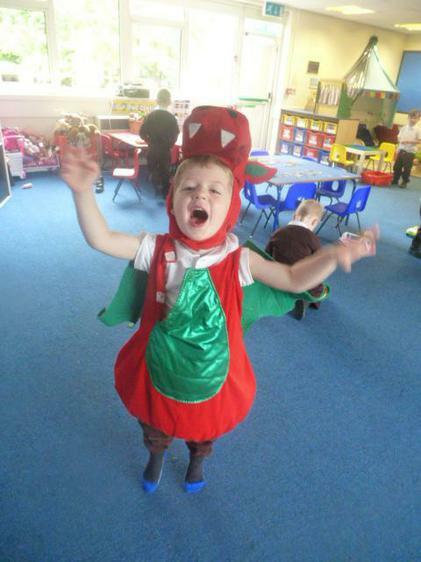 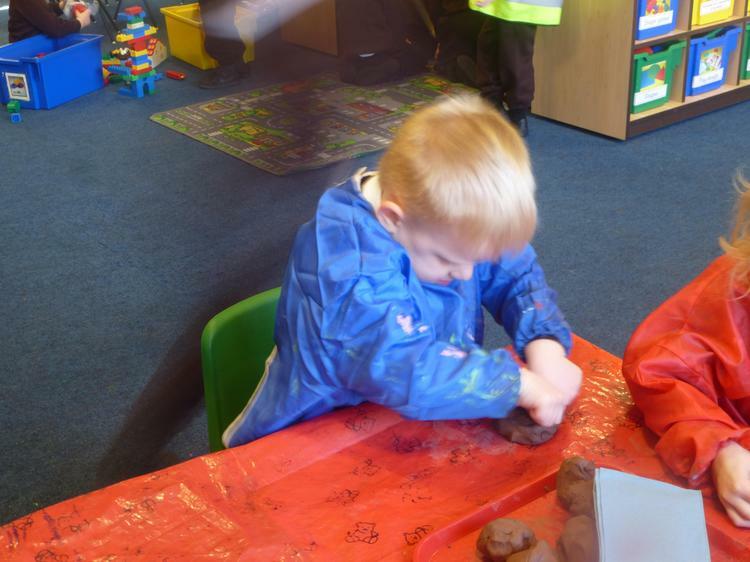 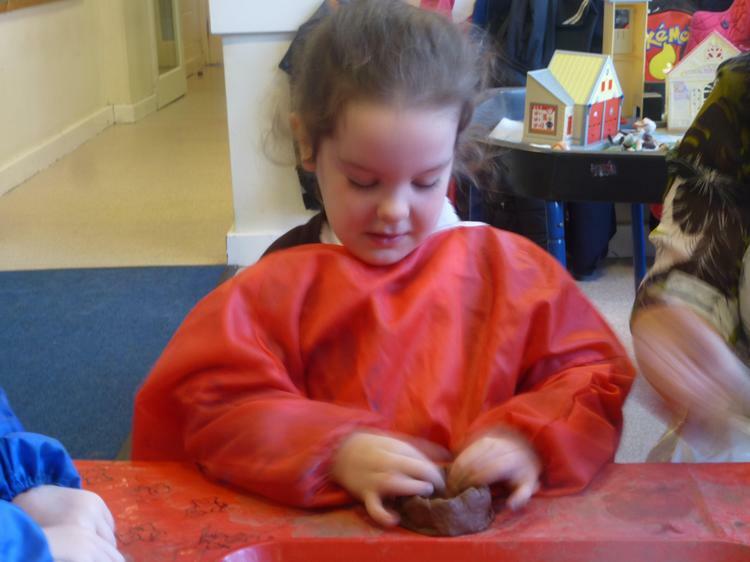 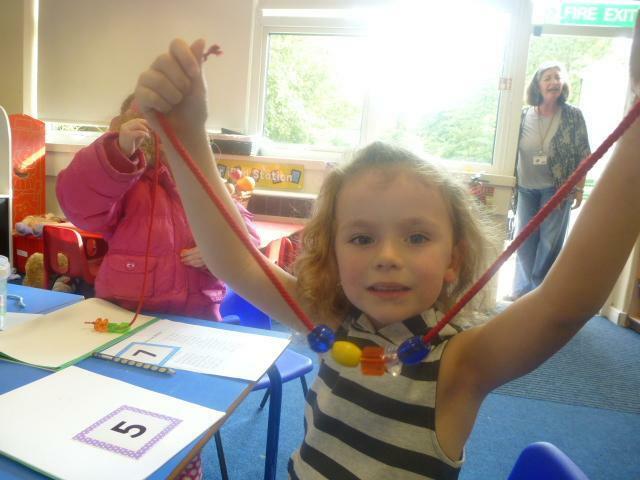 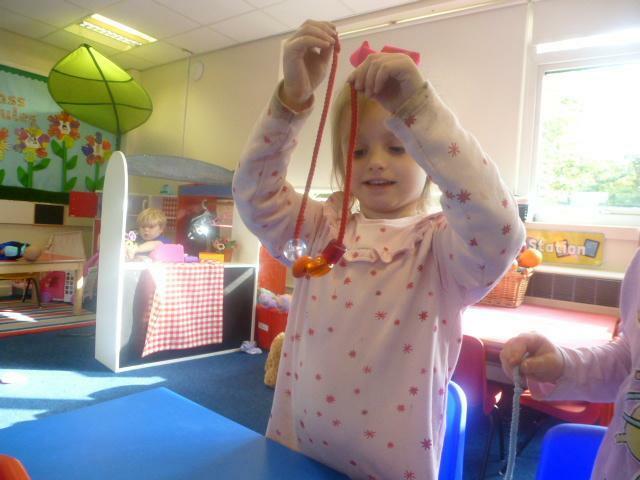 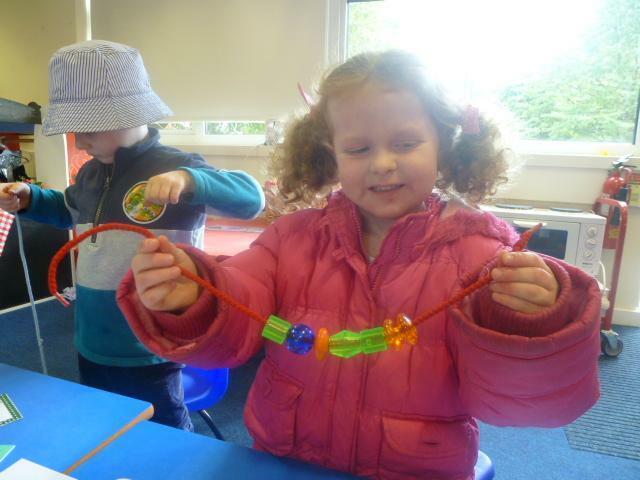 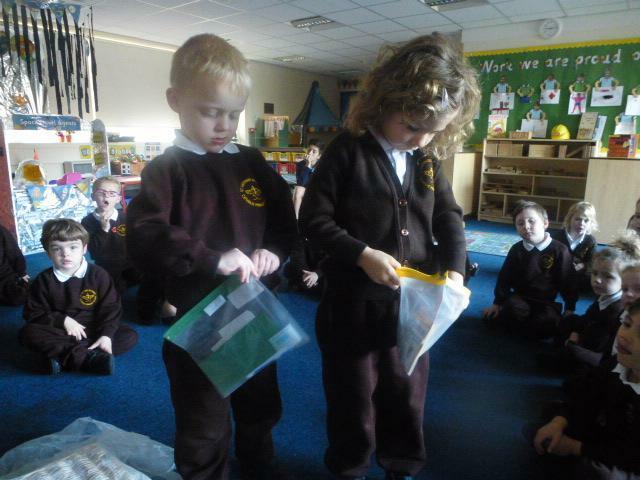 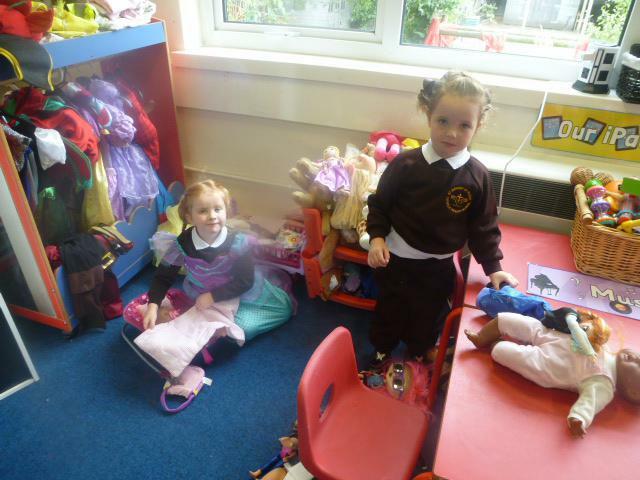 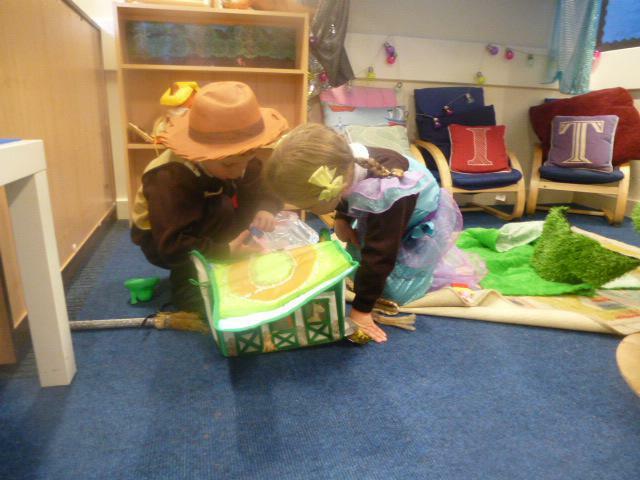 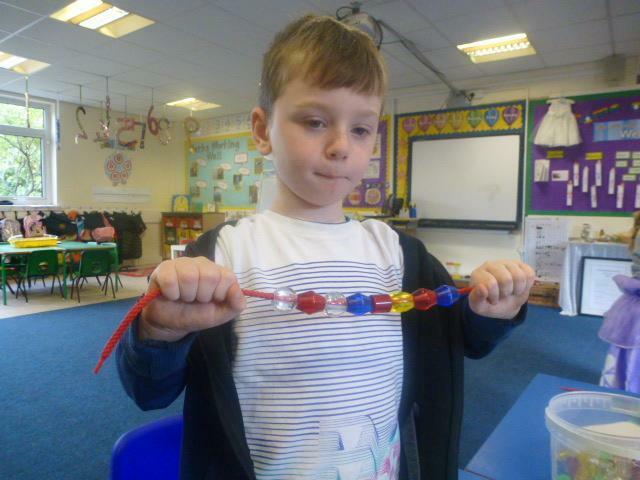 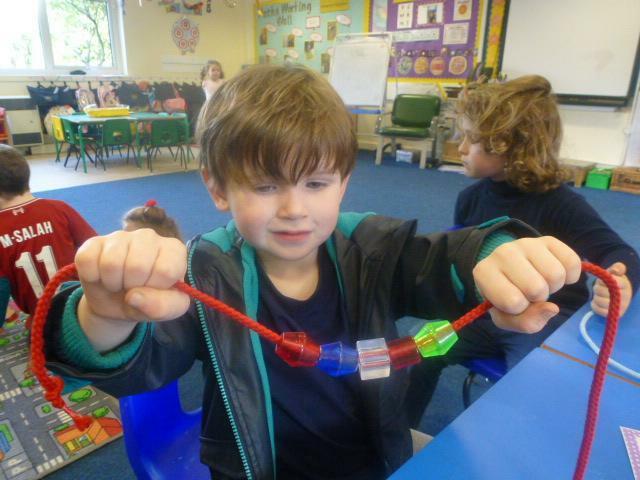 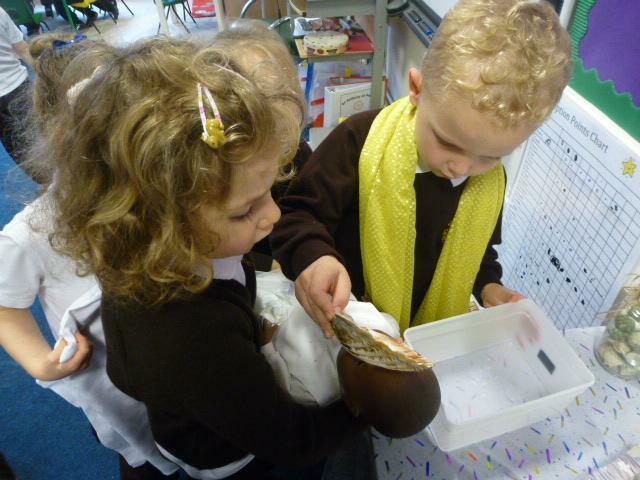 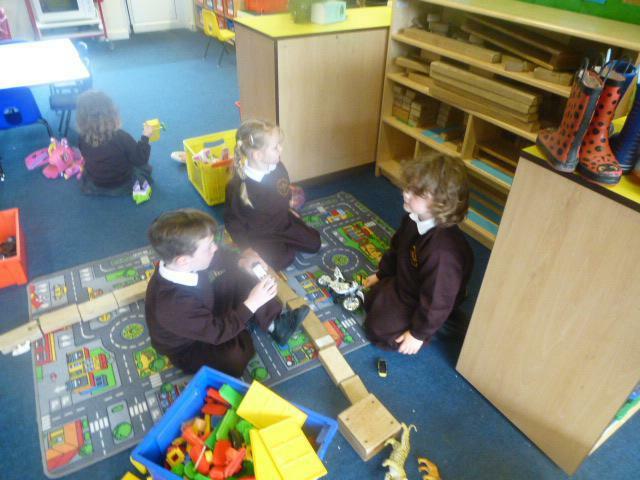 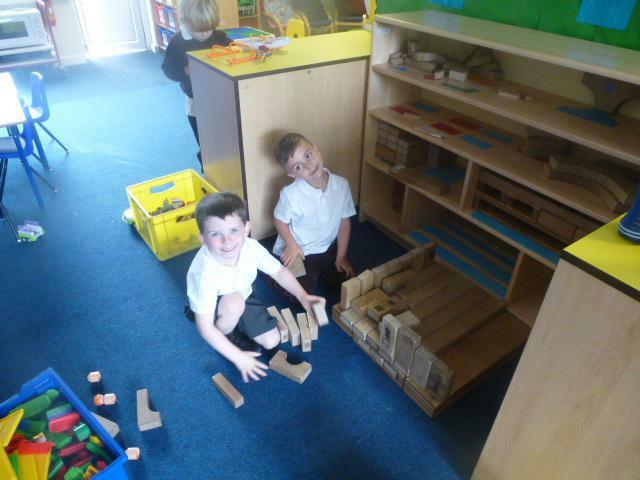 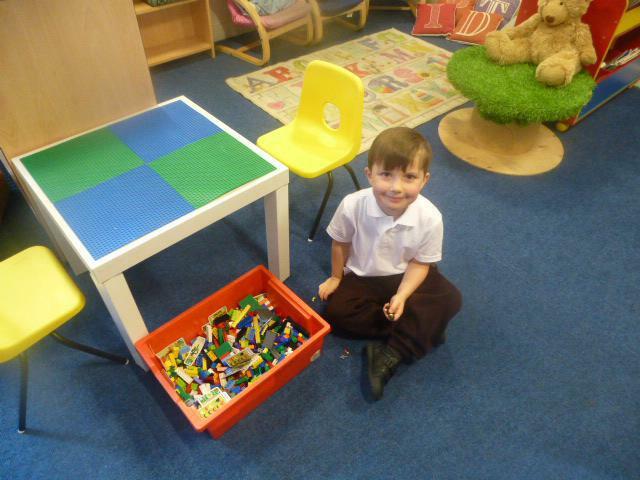 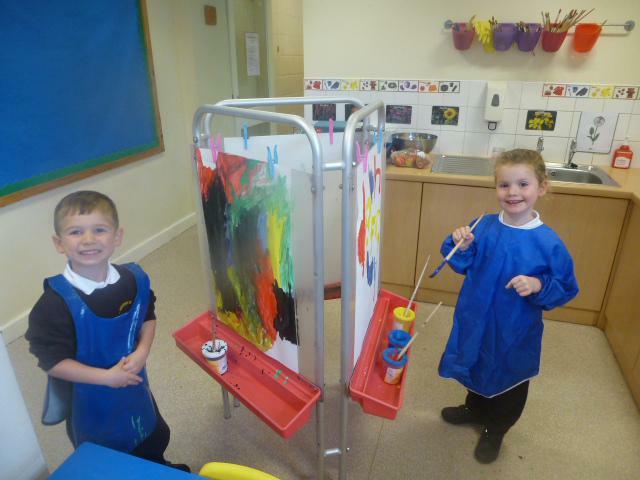 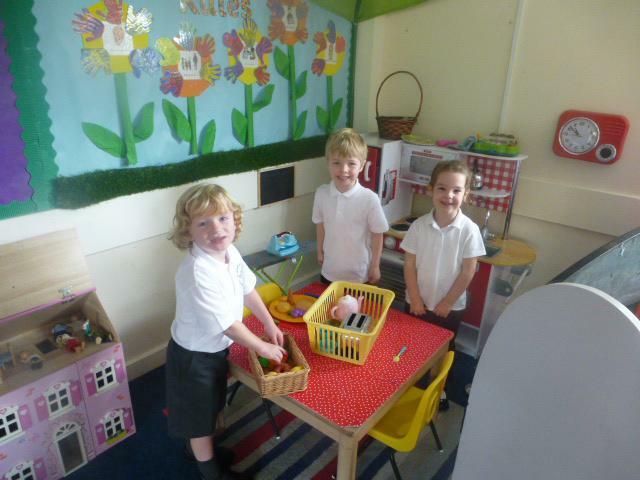 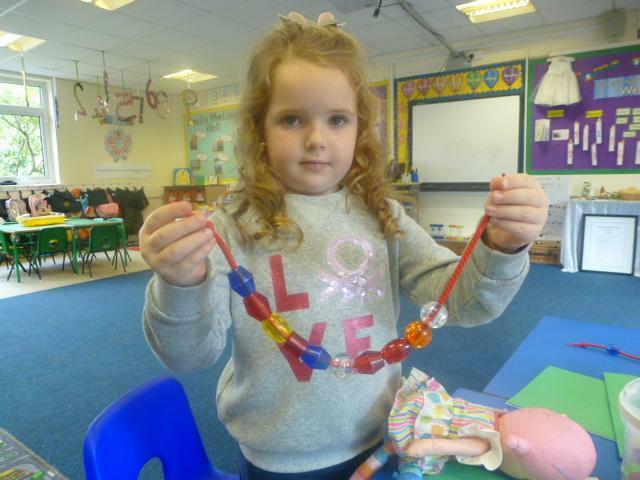 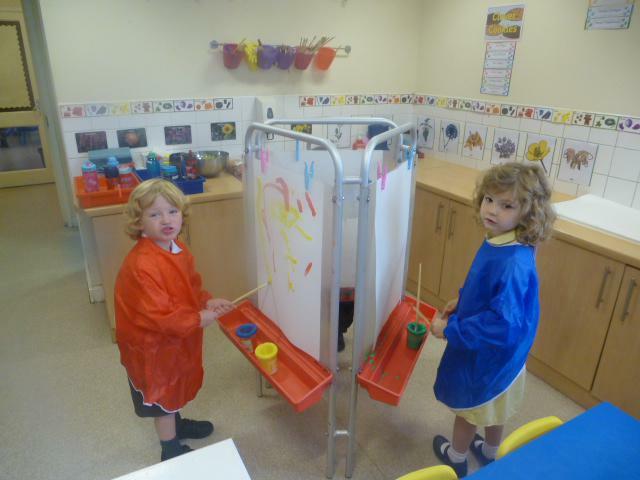 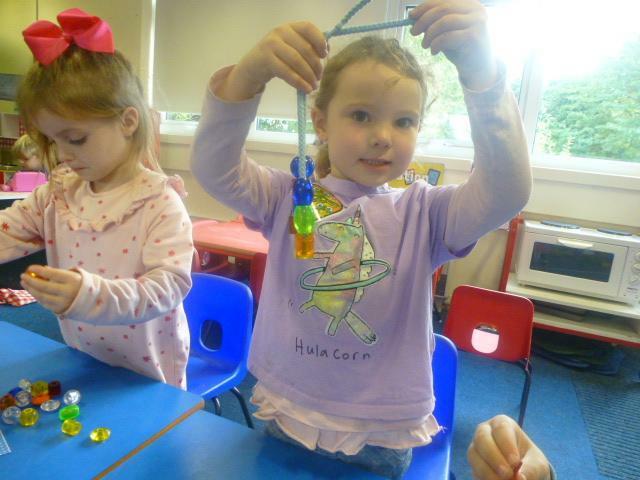 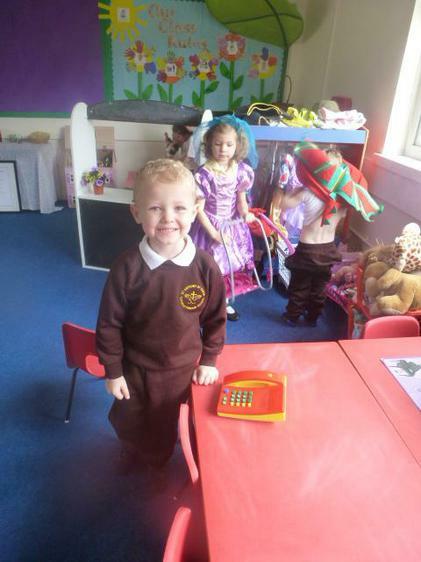 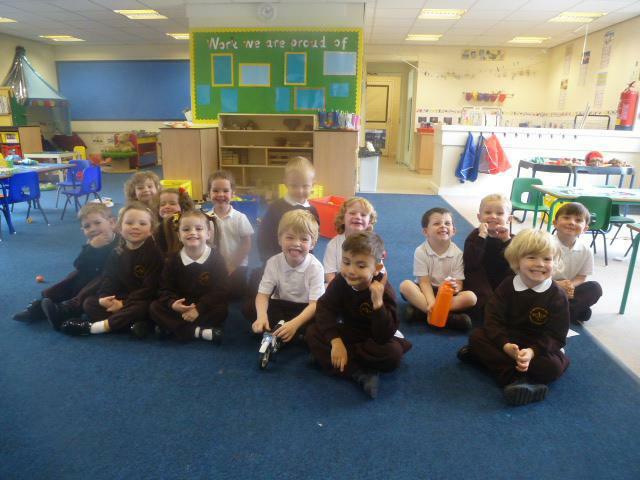 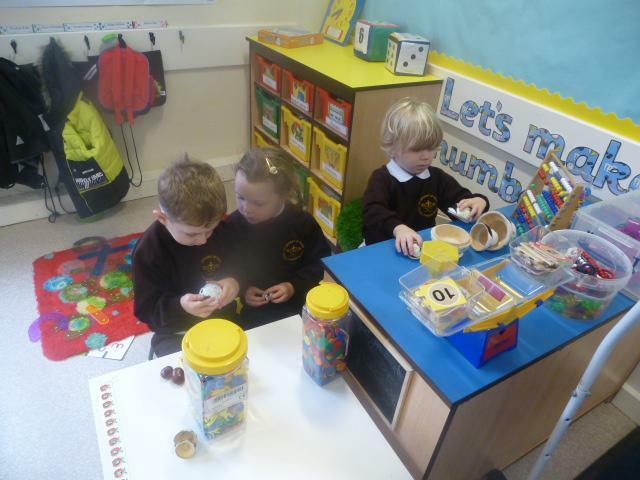 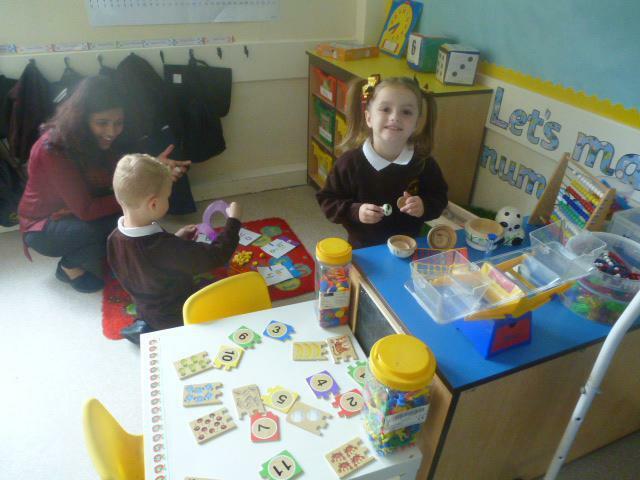 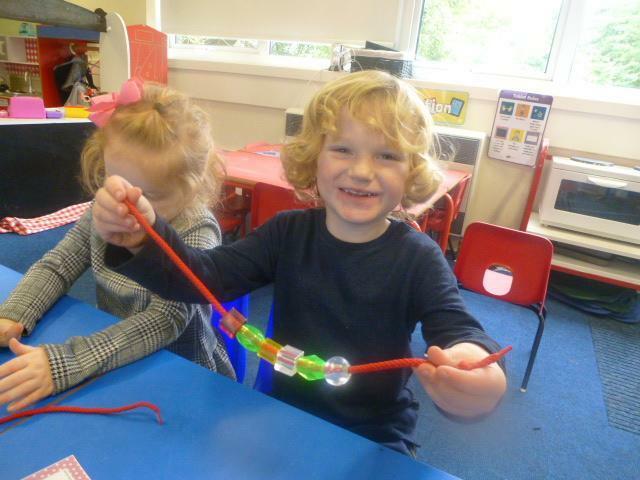 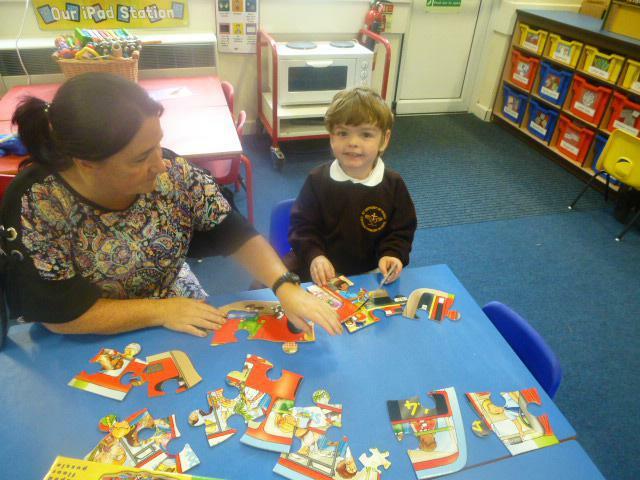 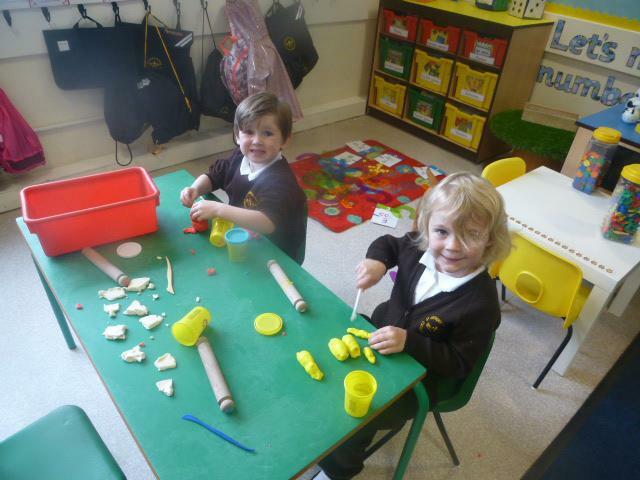 In Reception we have been learning how to count using different objects. 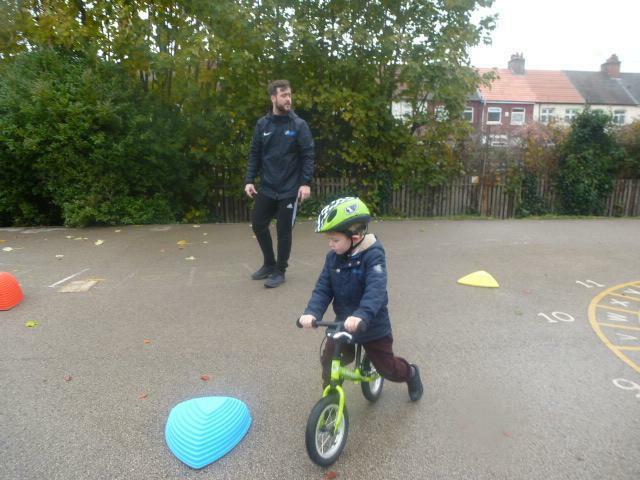 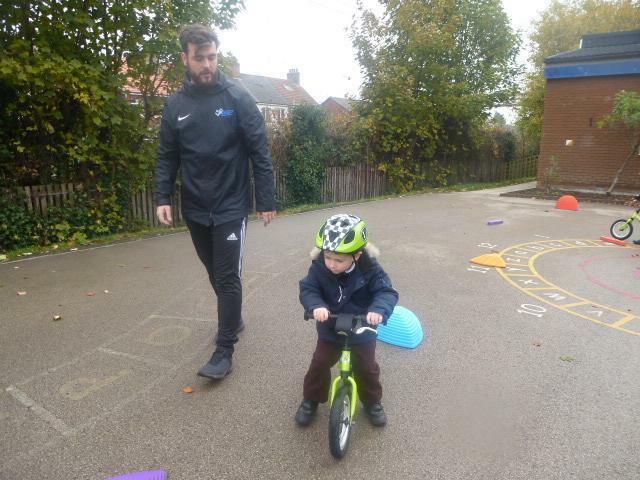 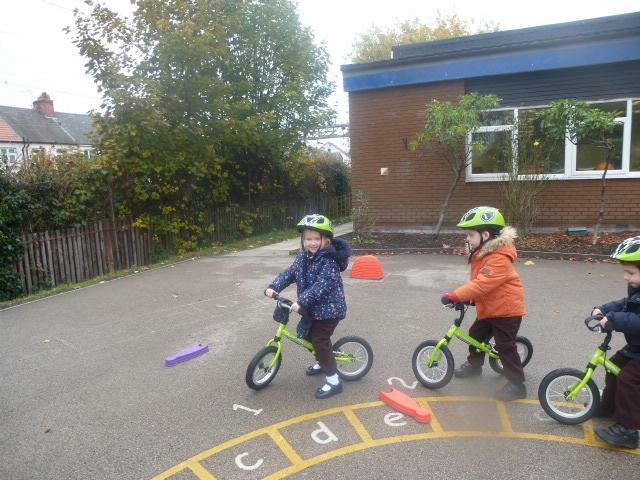 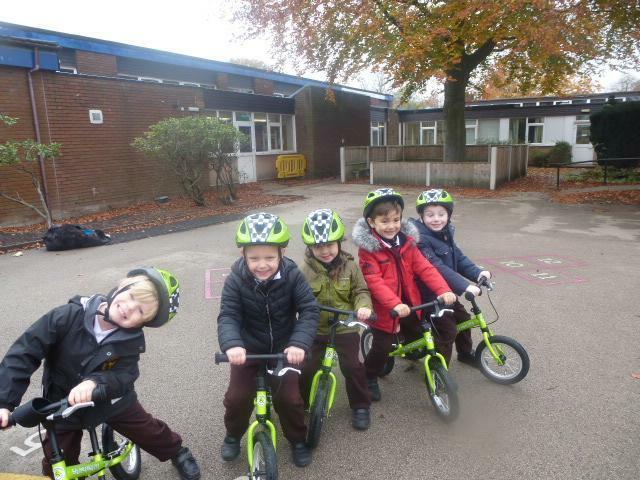 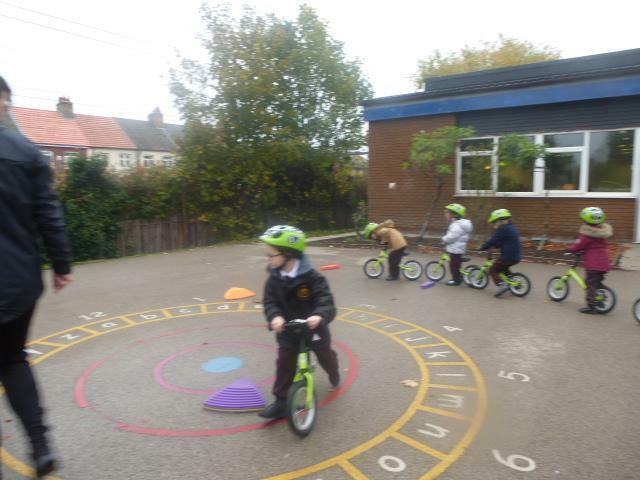 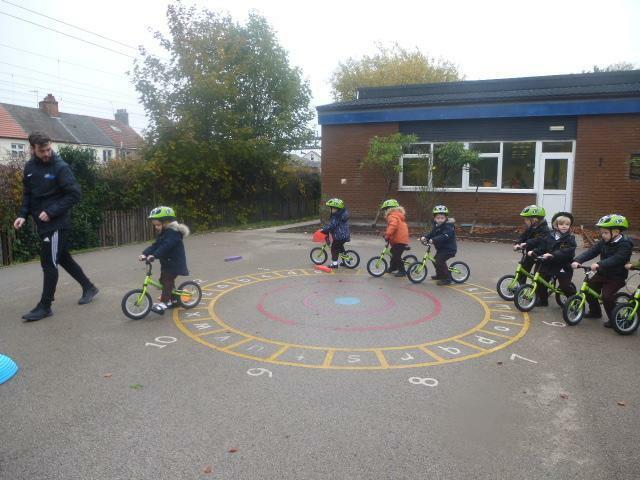 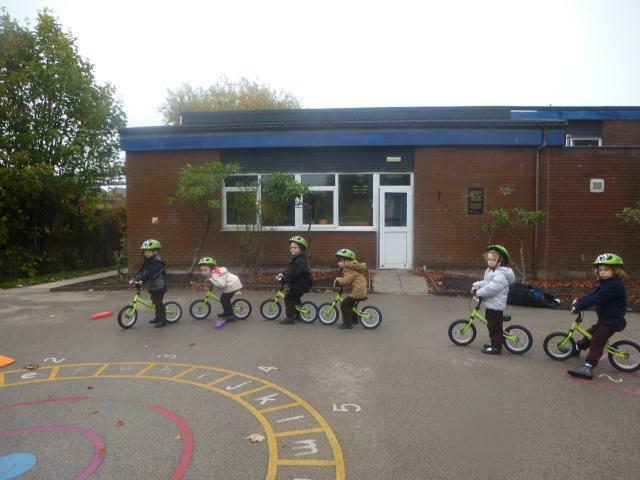 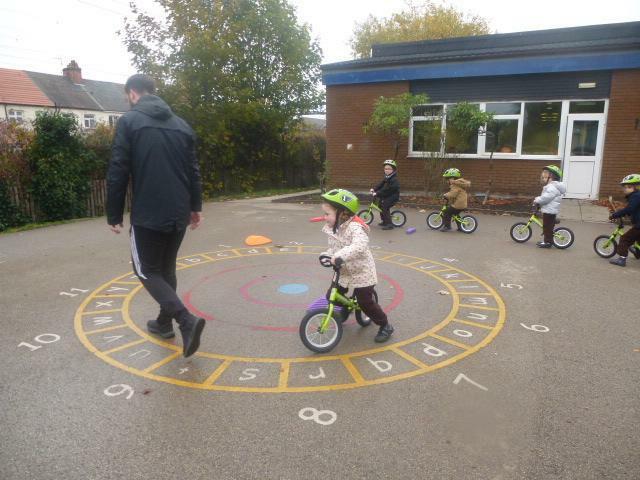 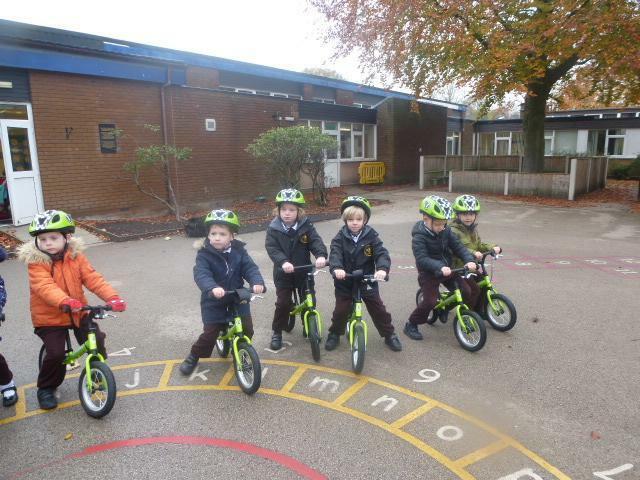 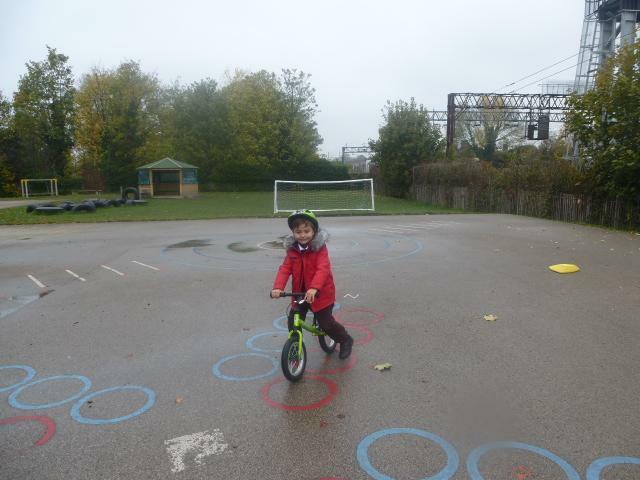 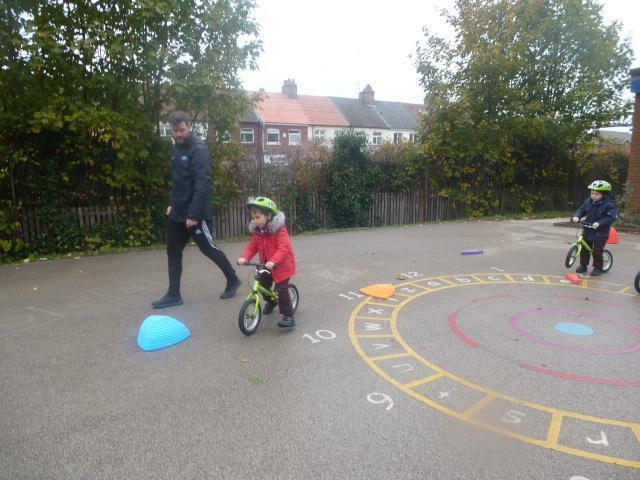 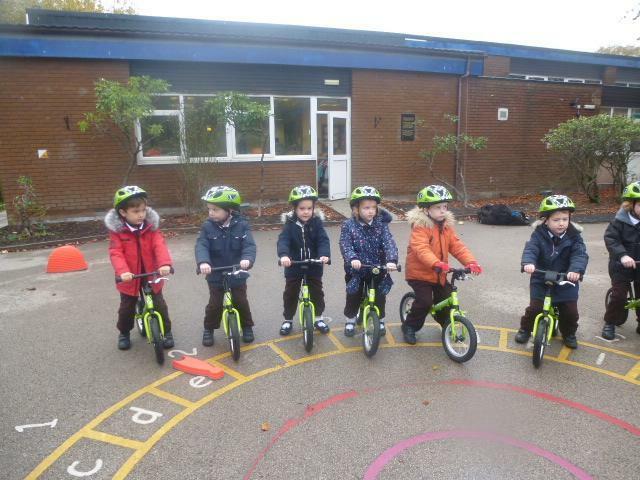 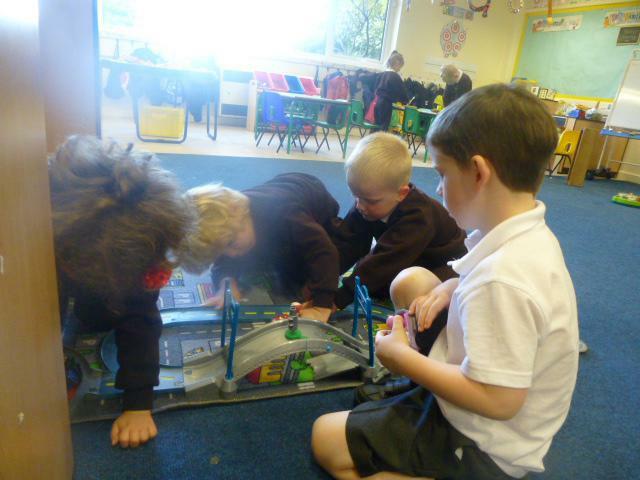 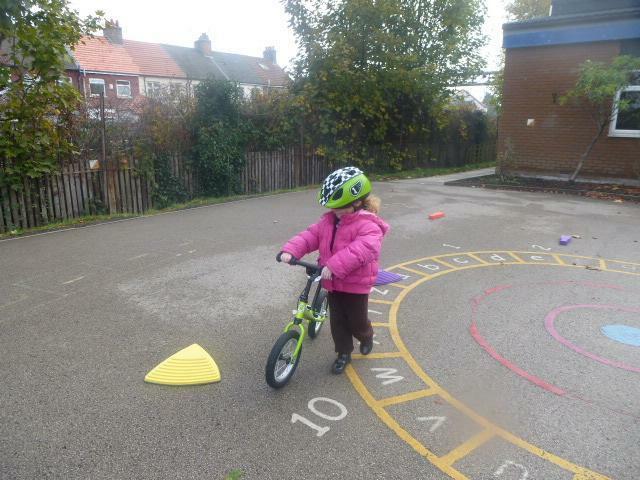 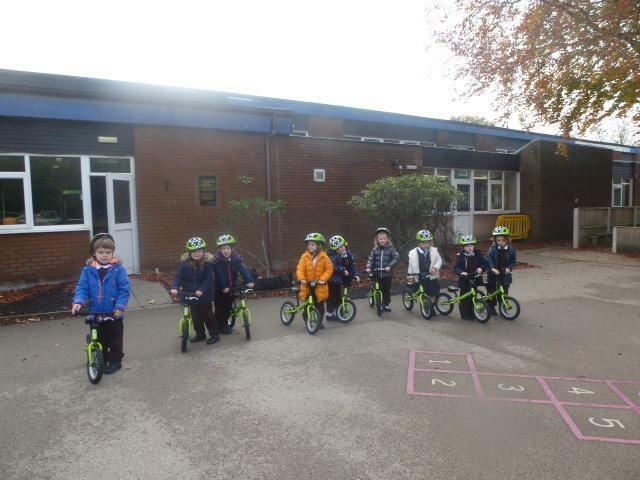 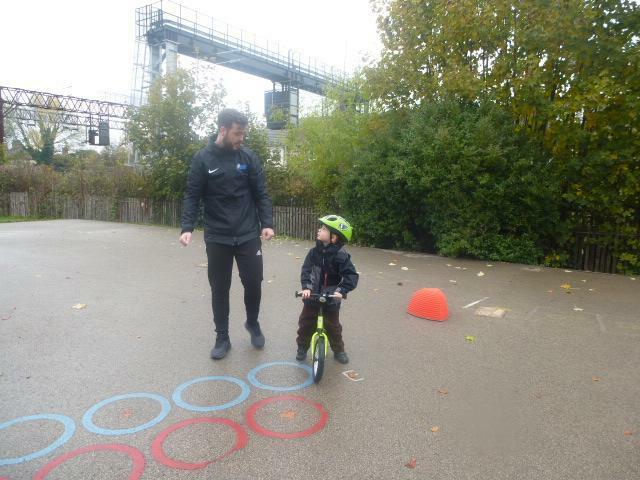 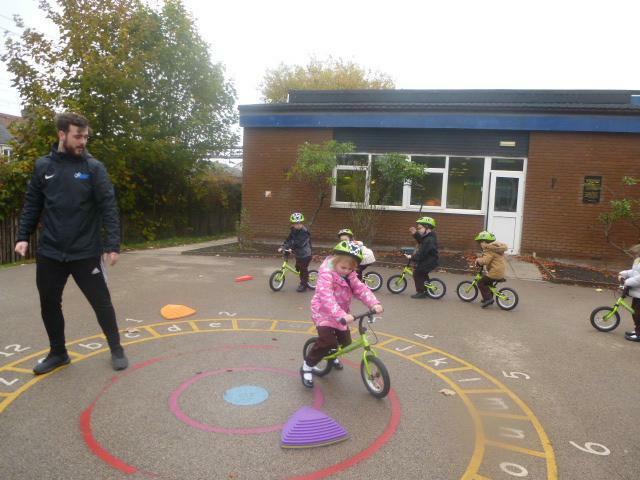 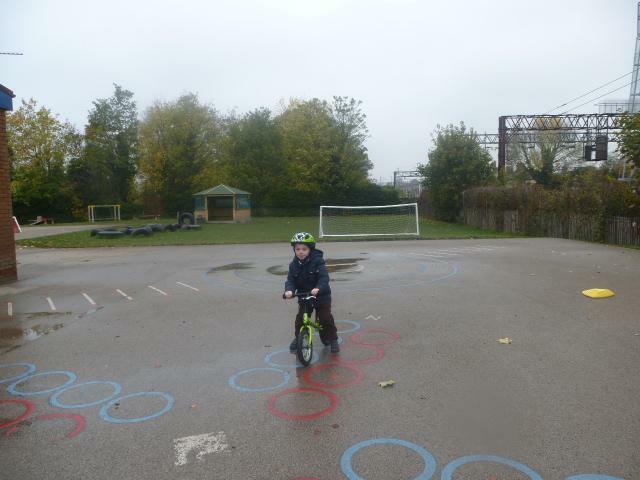 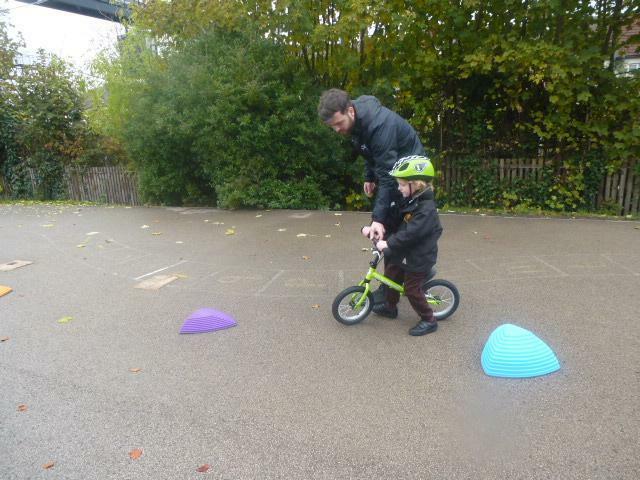 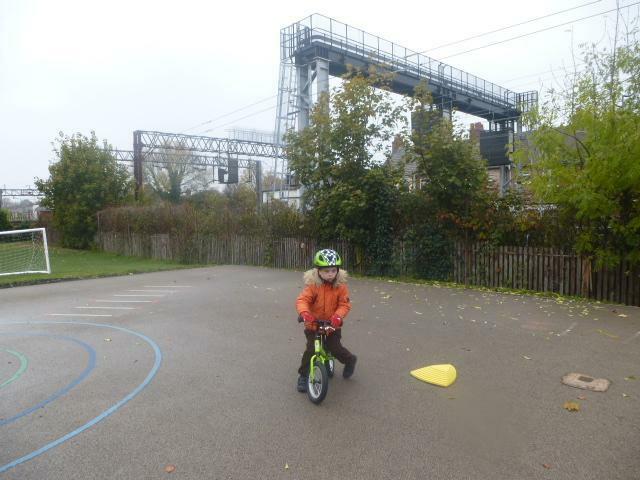 Reception participating in Balanceability Programme. 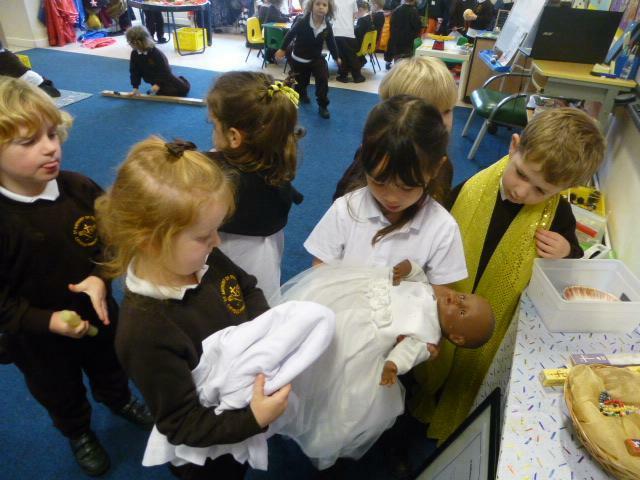 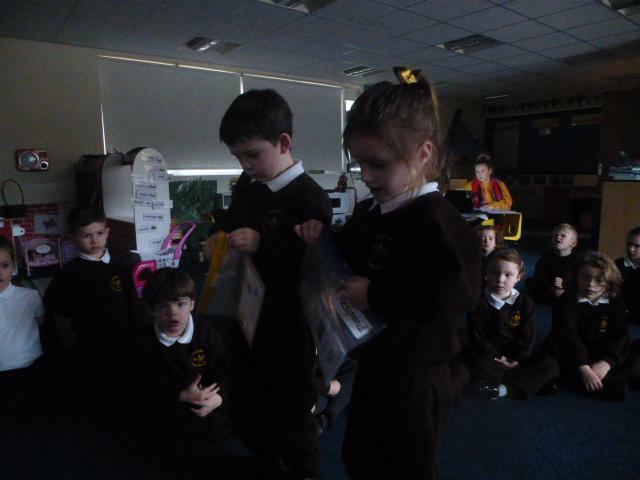 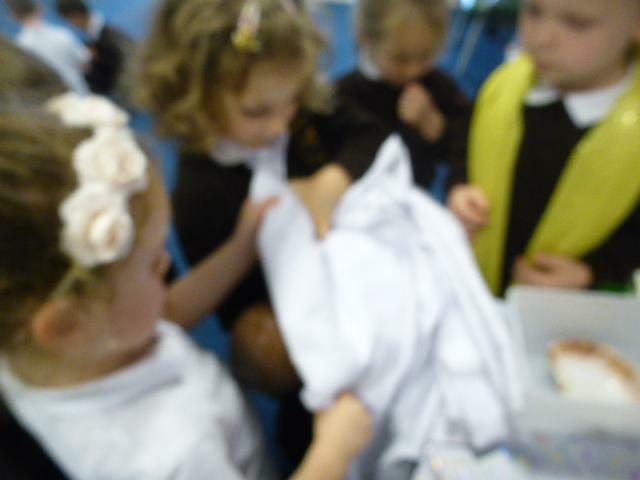 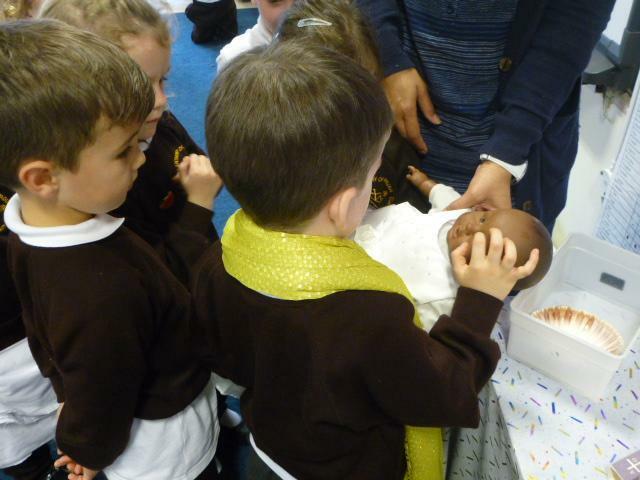 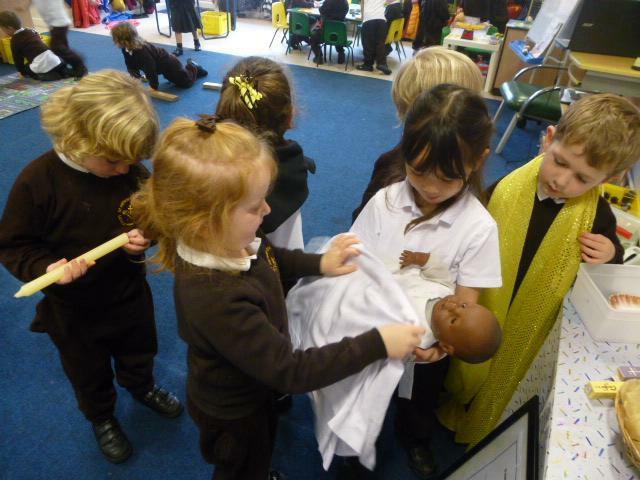 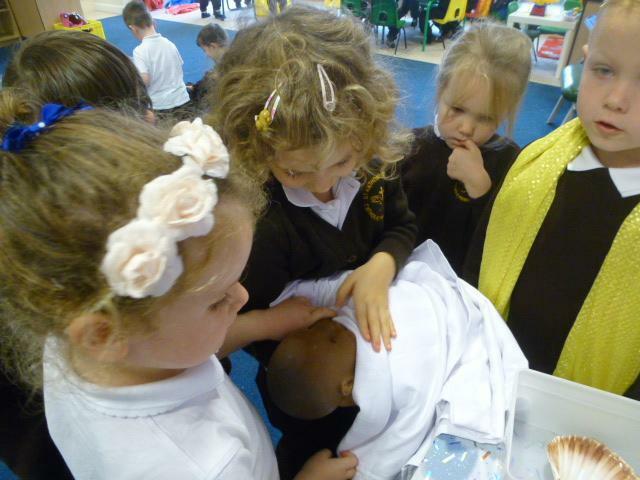 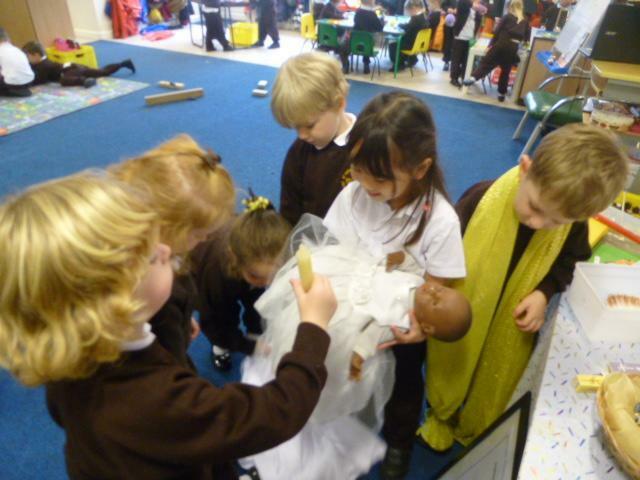 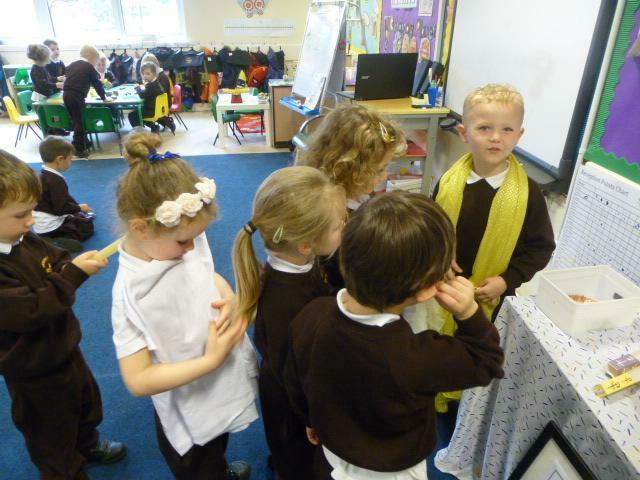 We have been learning all about Baptism. 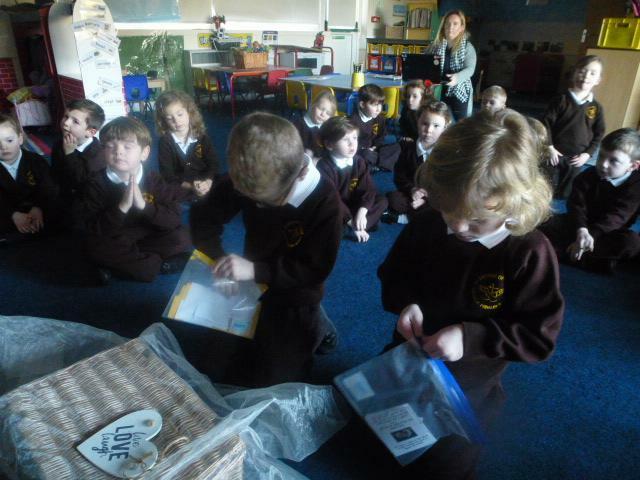 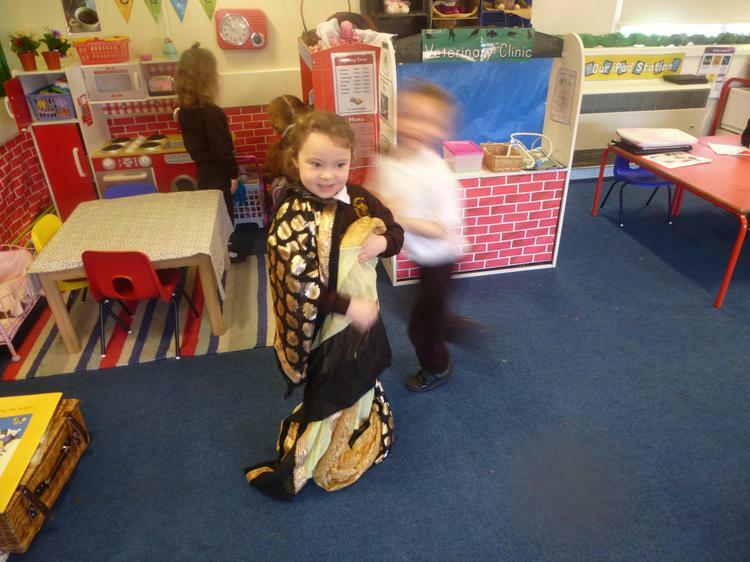 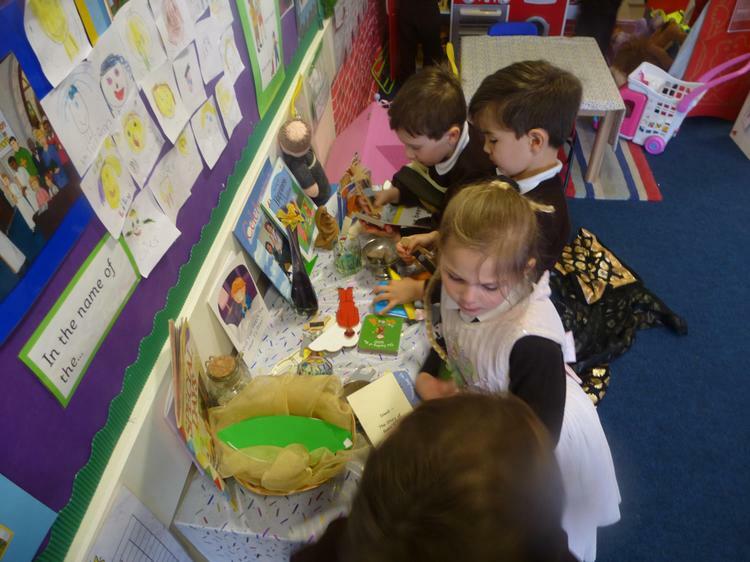 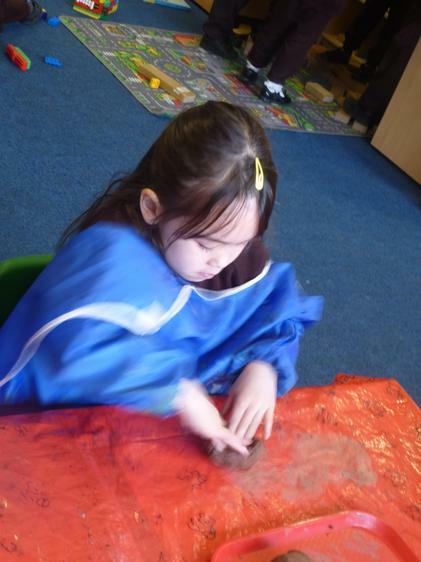 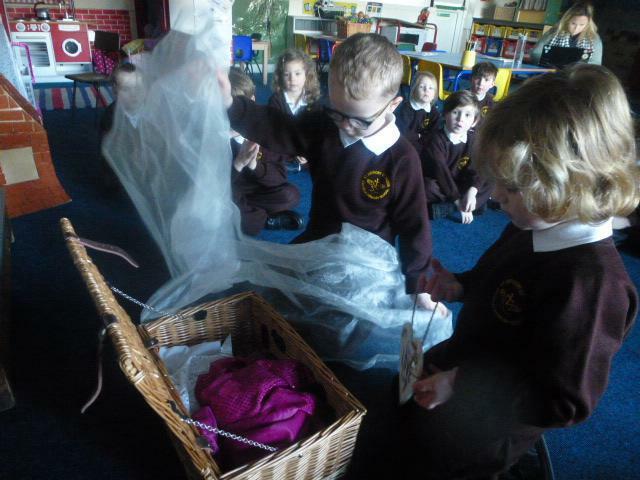 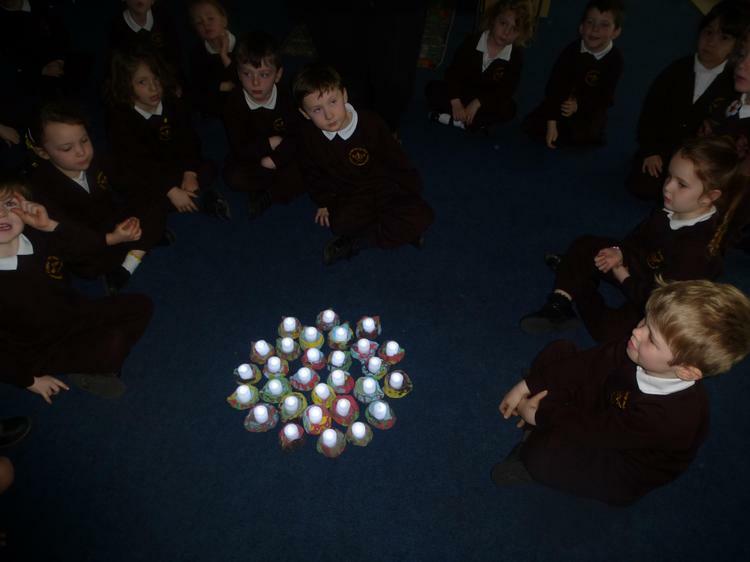 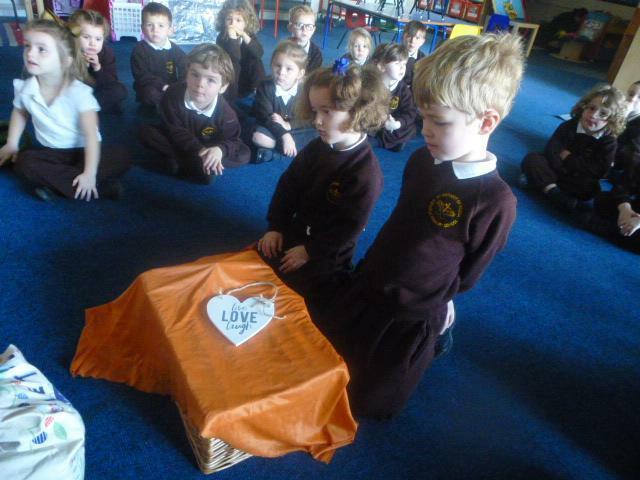 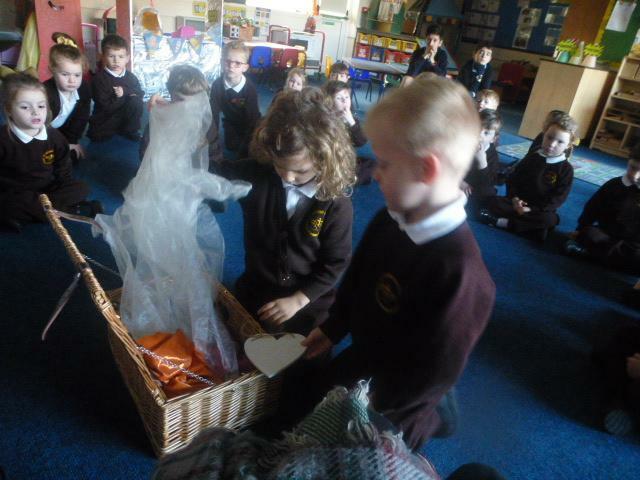 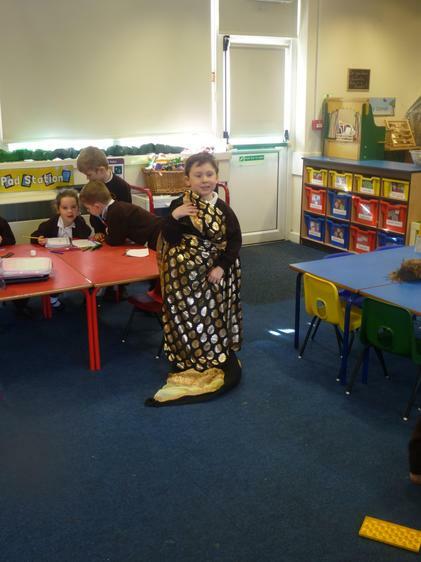 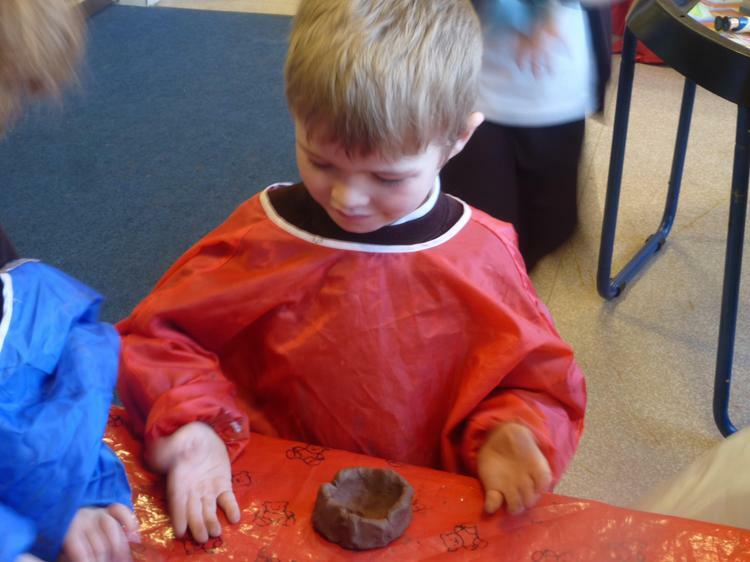 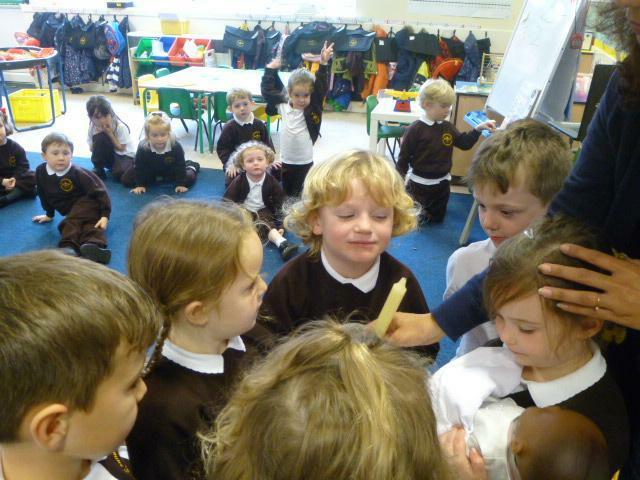 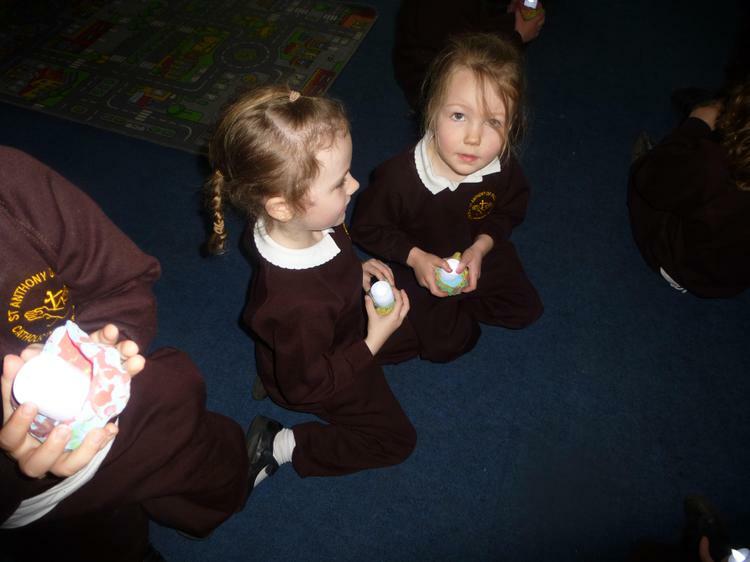 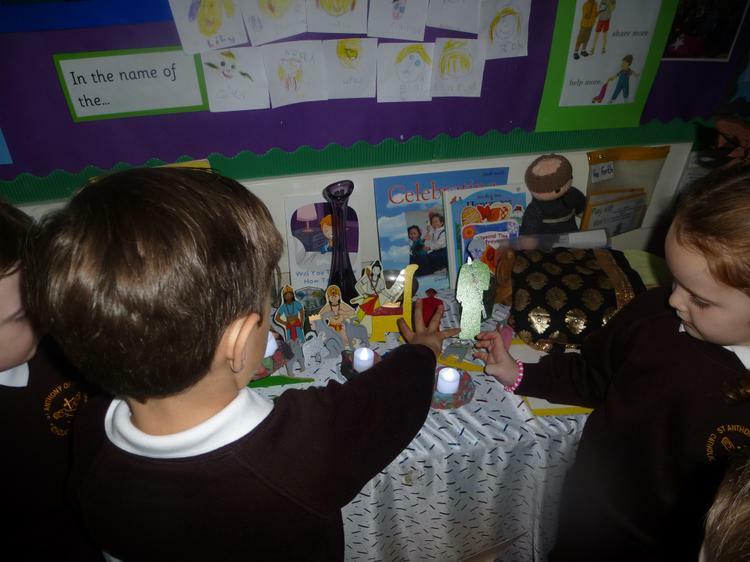 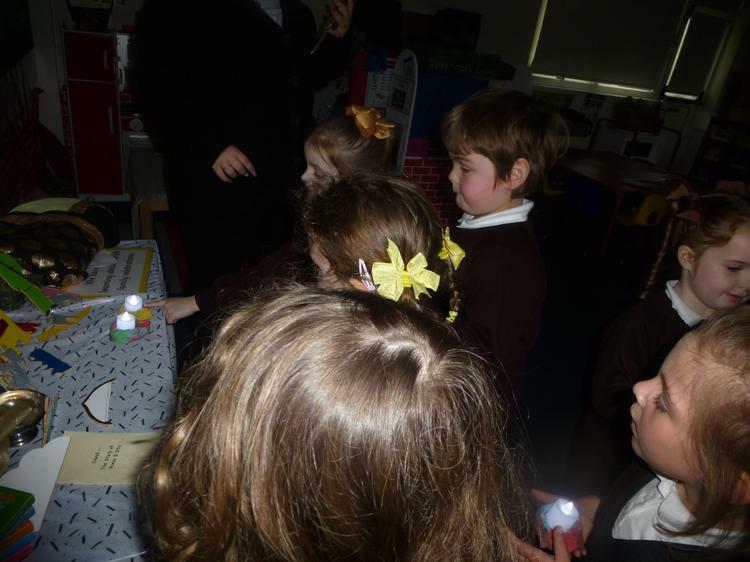 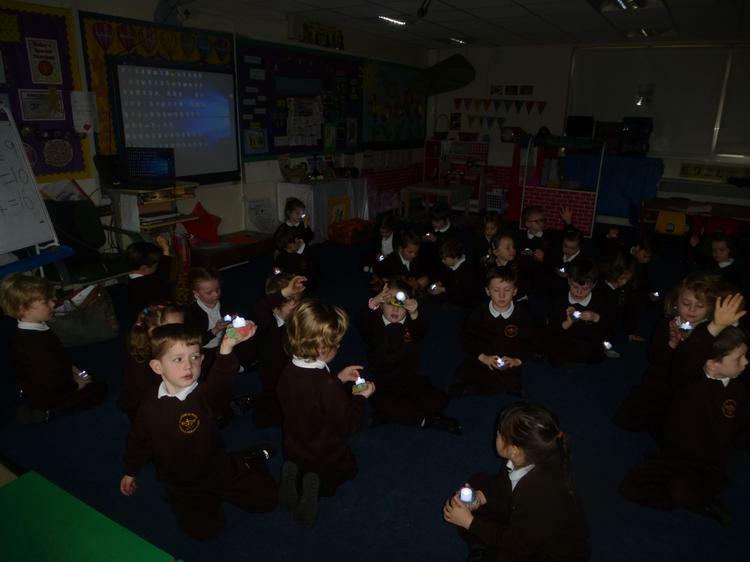 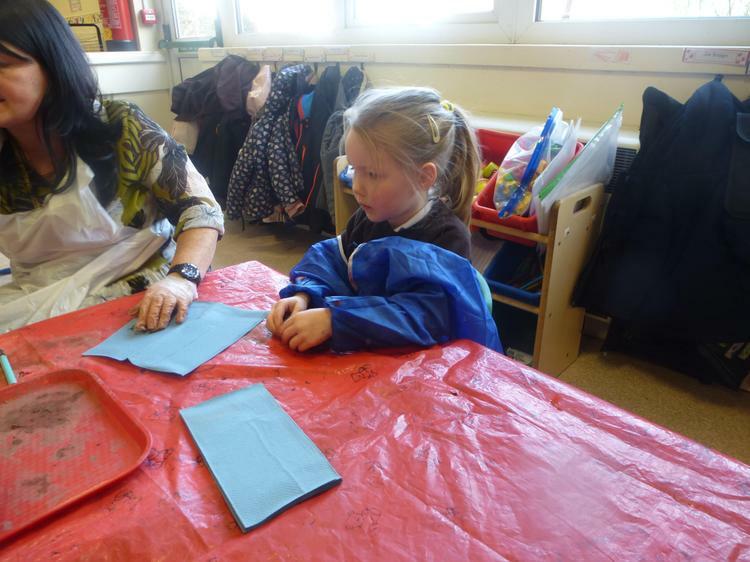 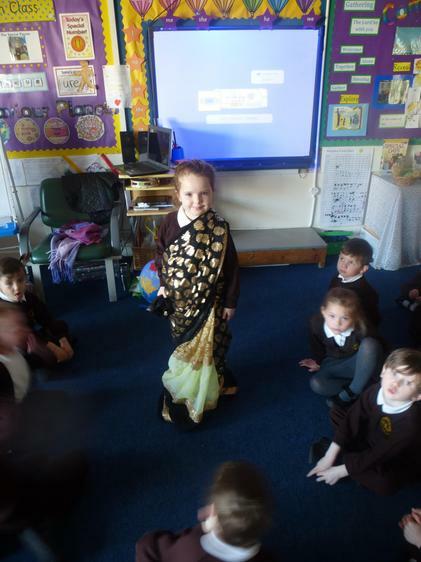 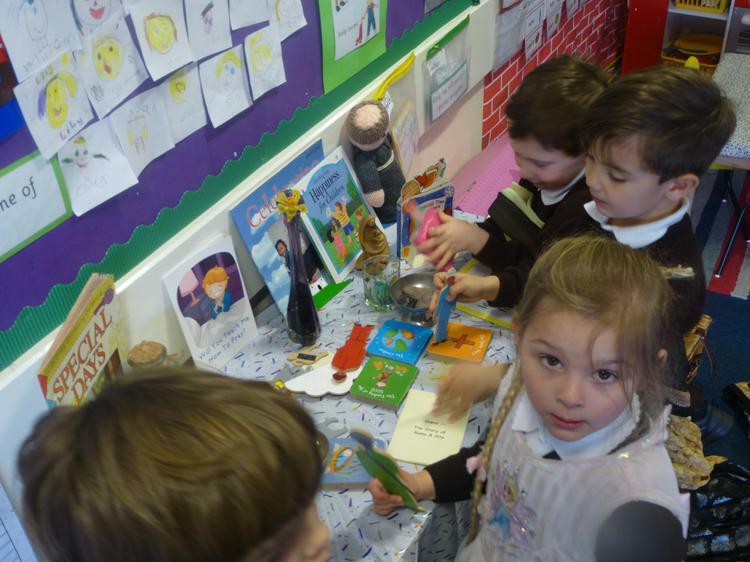 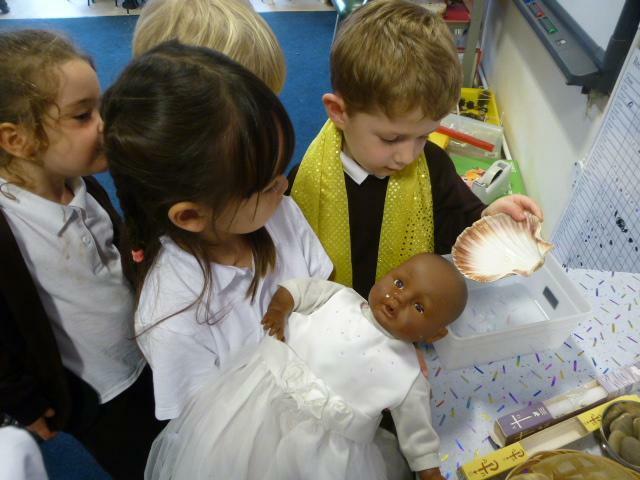 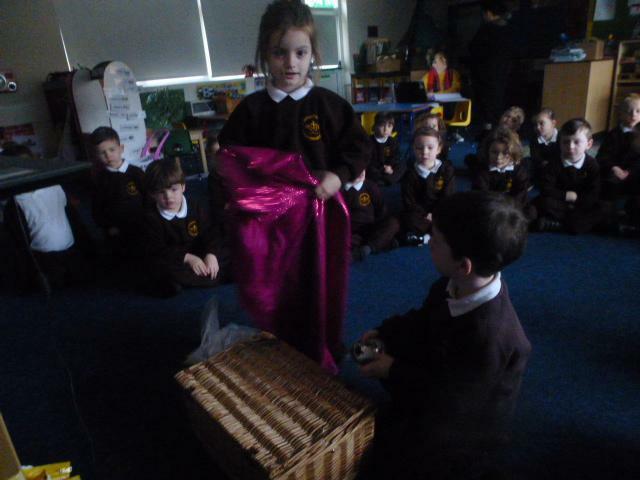 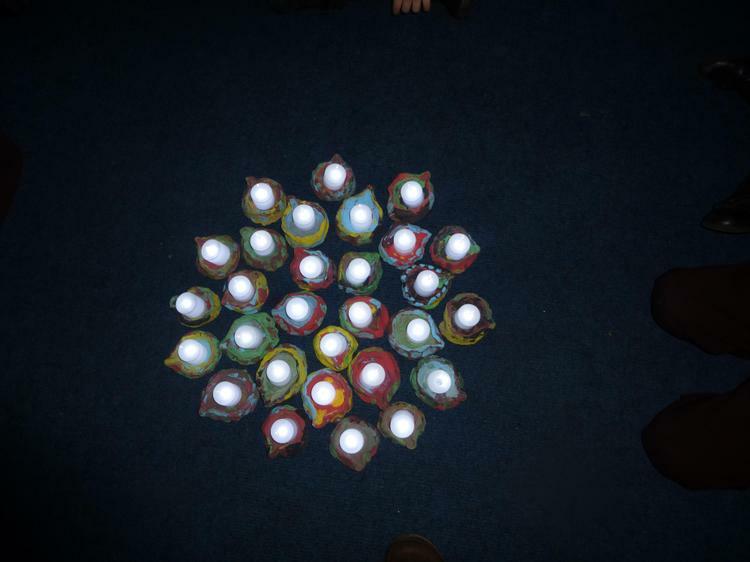 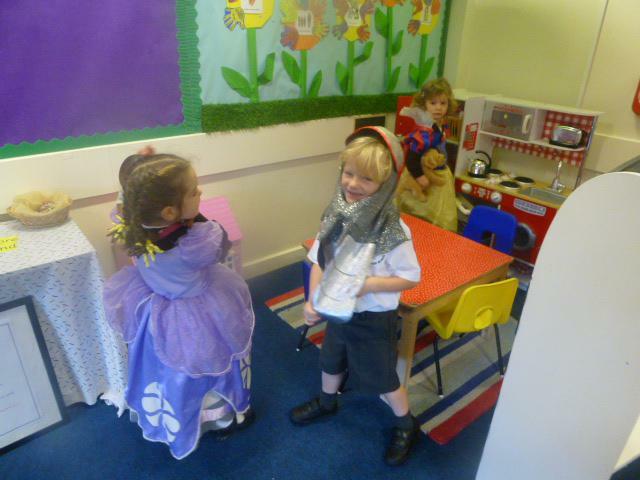 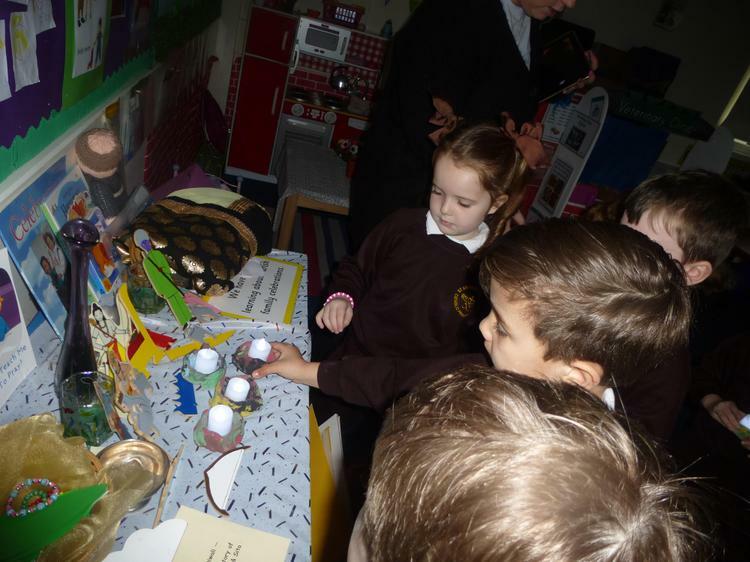 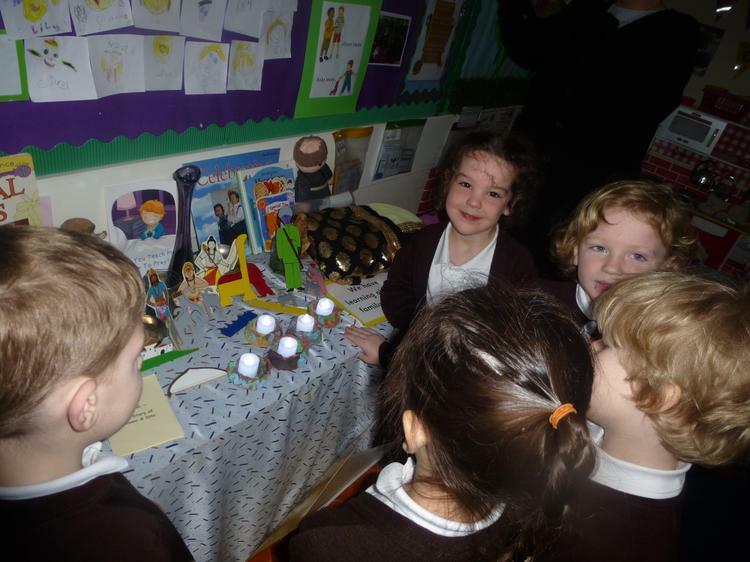 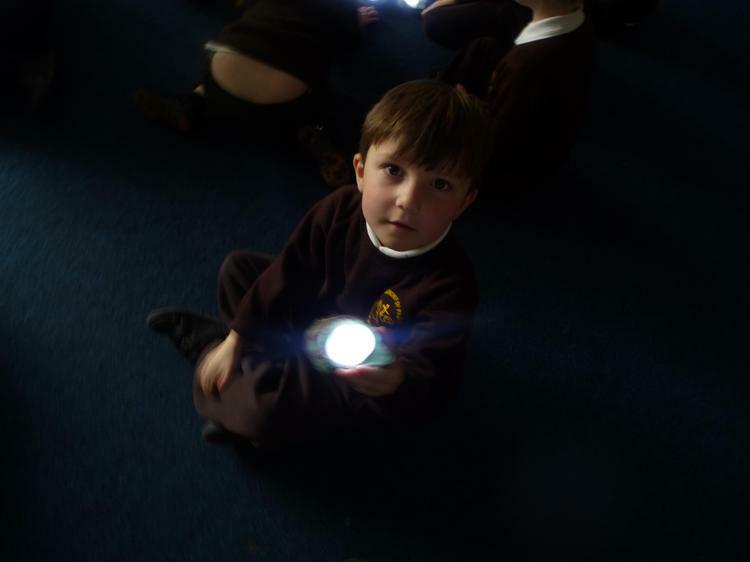 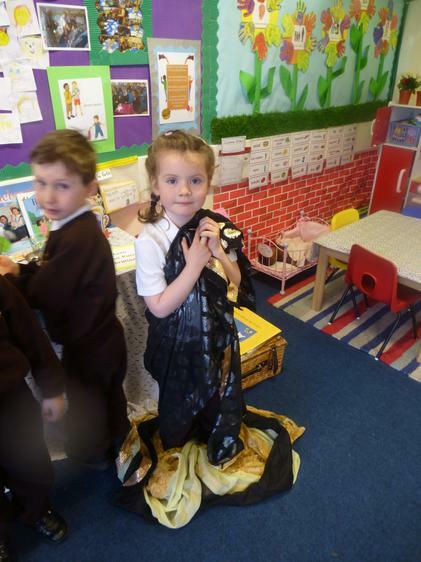 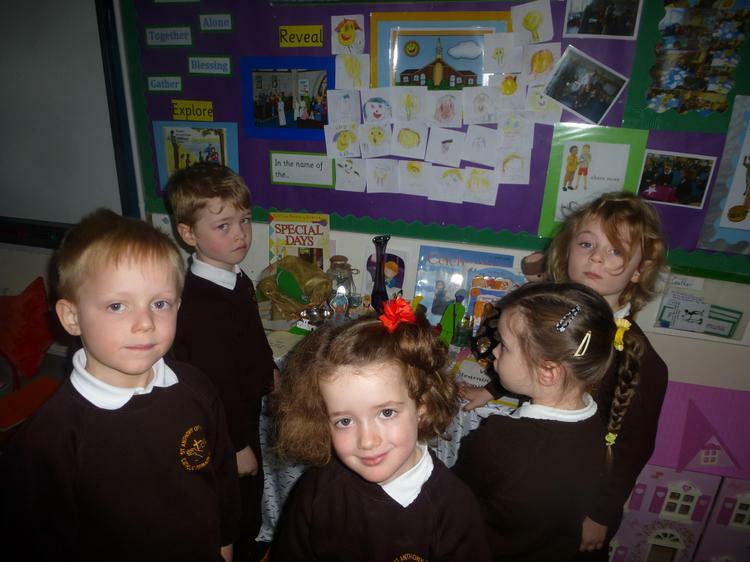 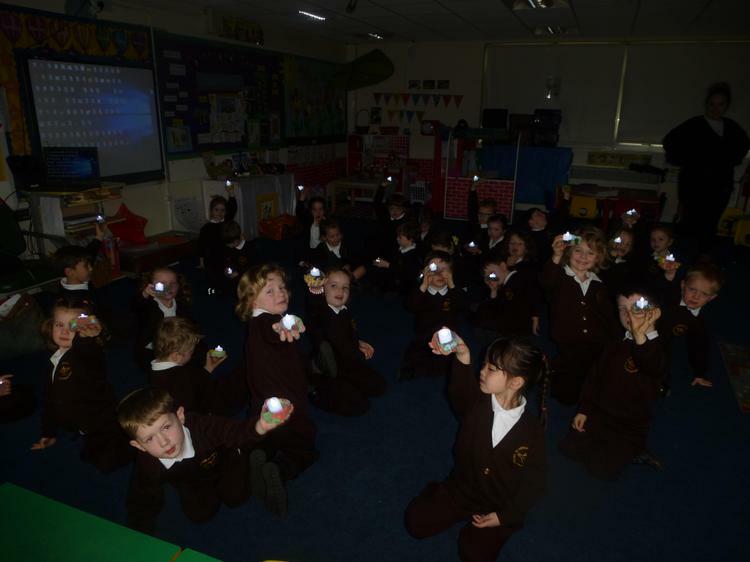 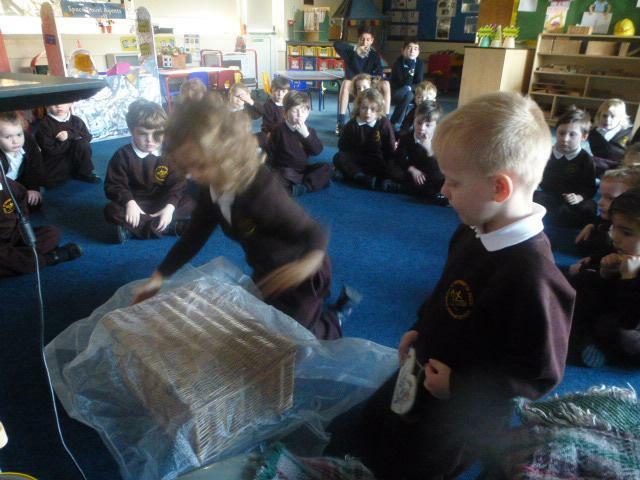 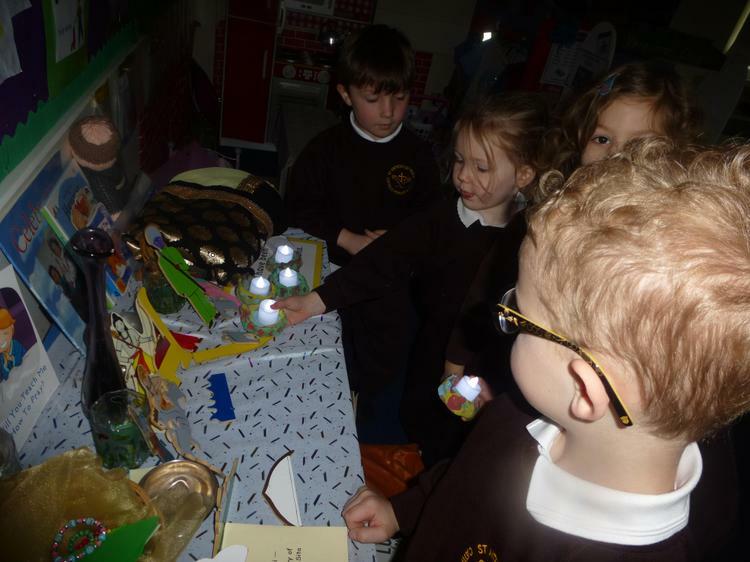 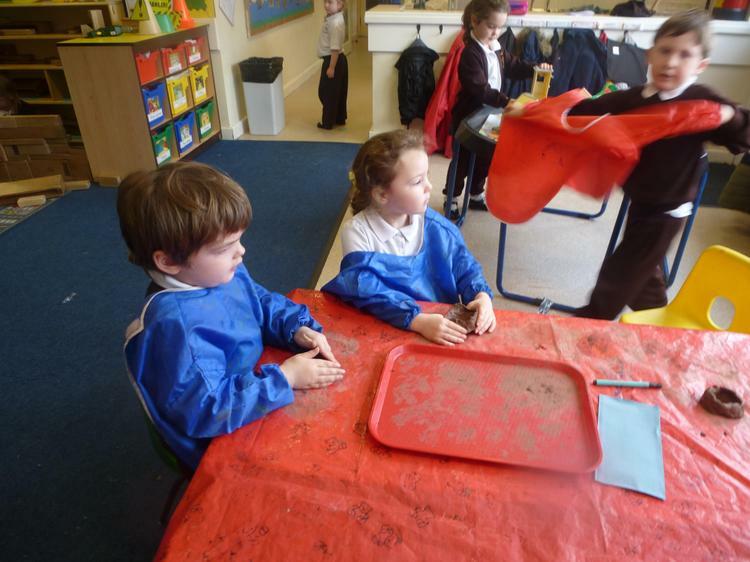 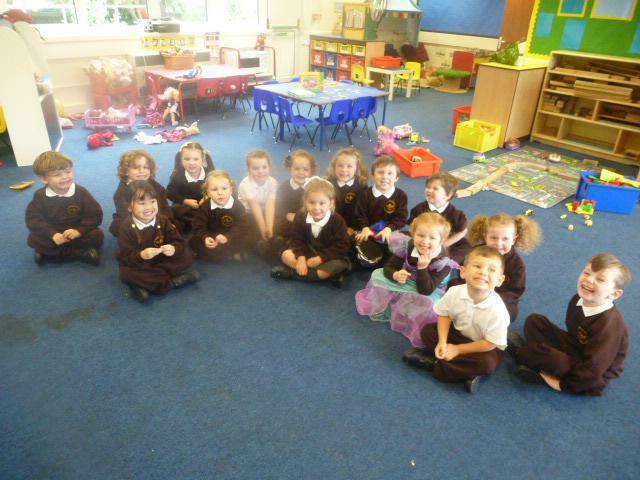 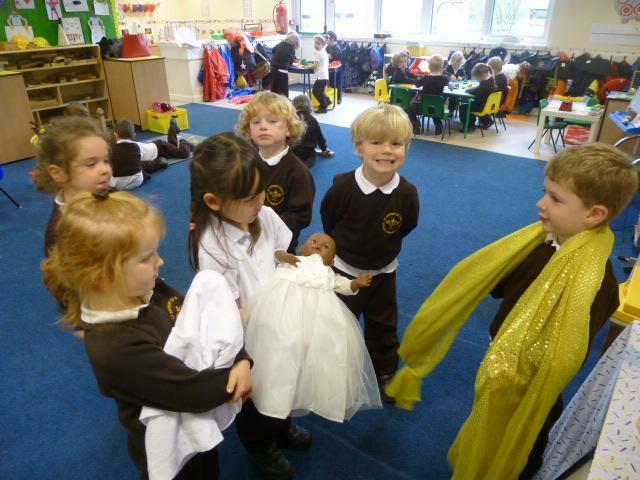 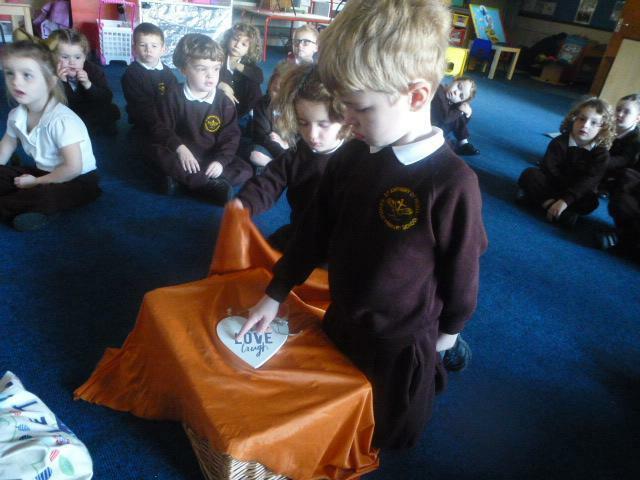 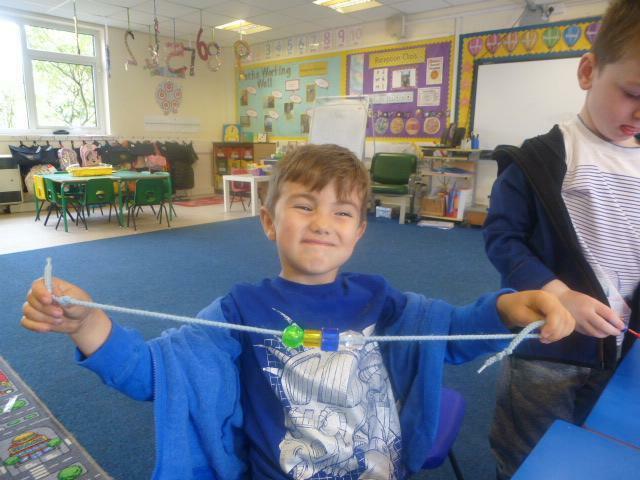 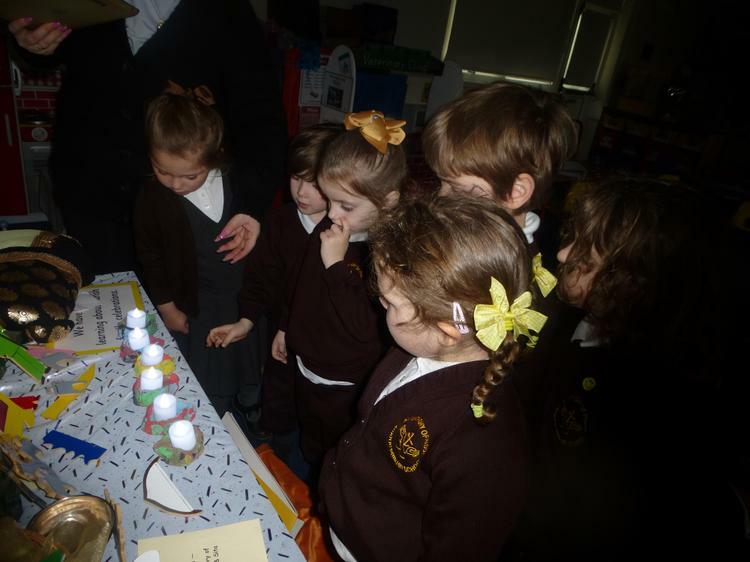 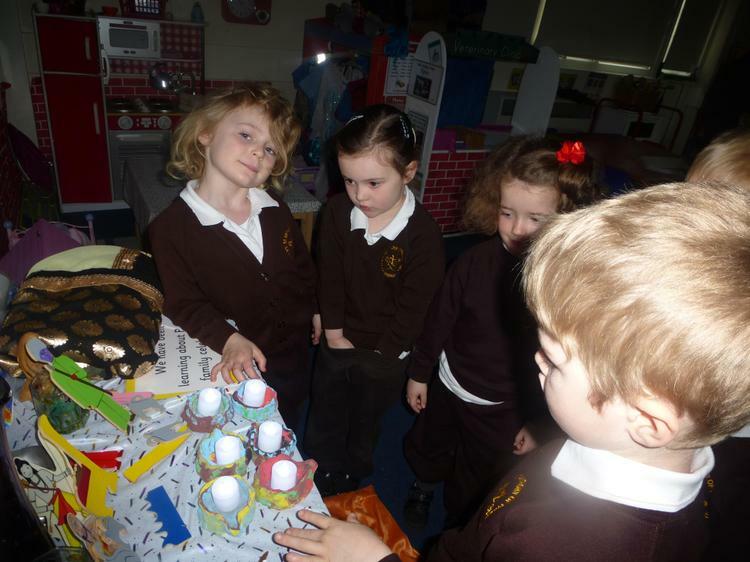 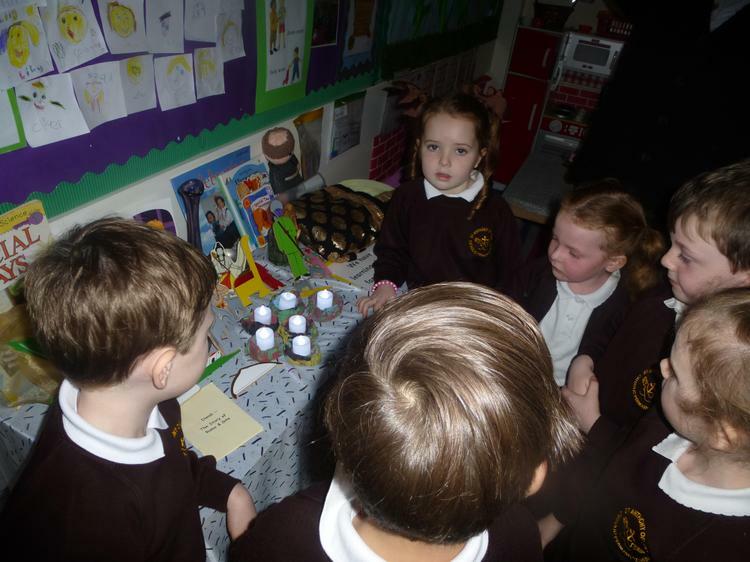 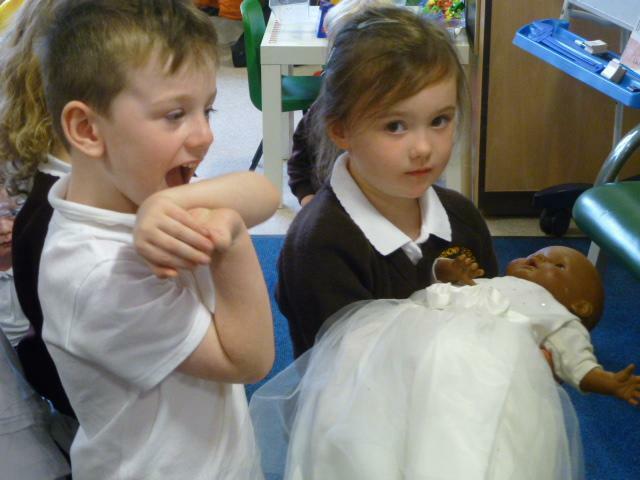 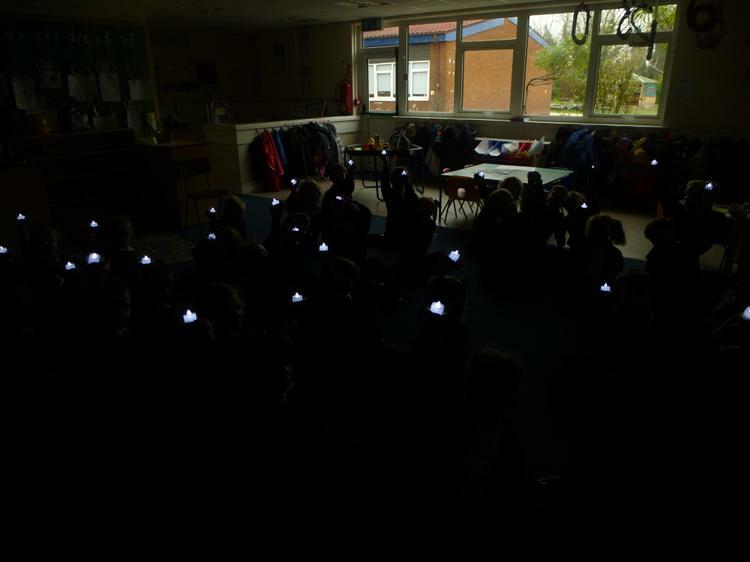 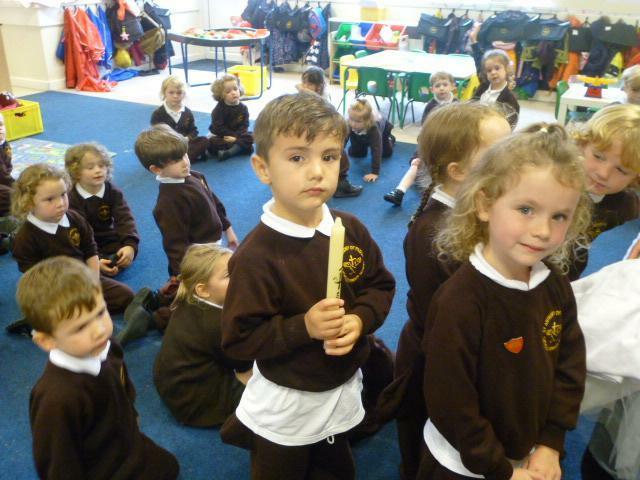 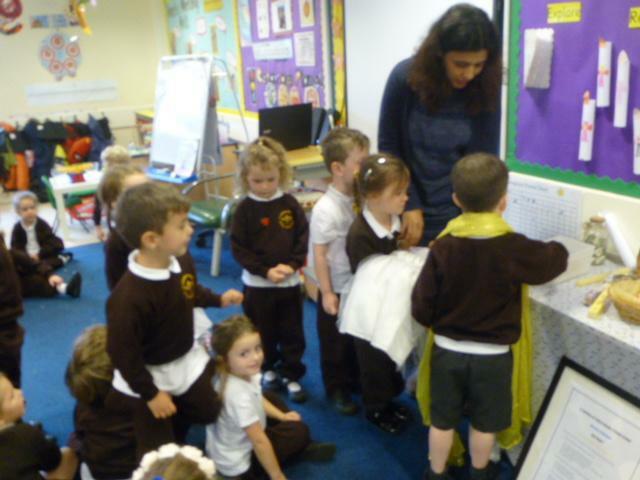 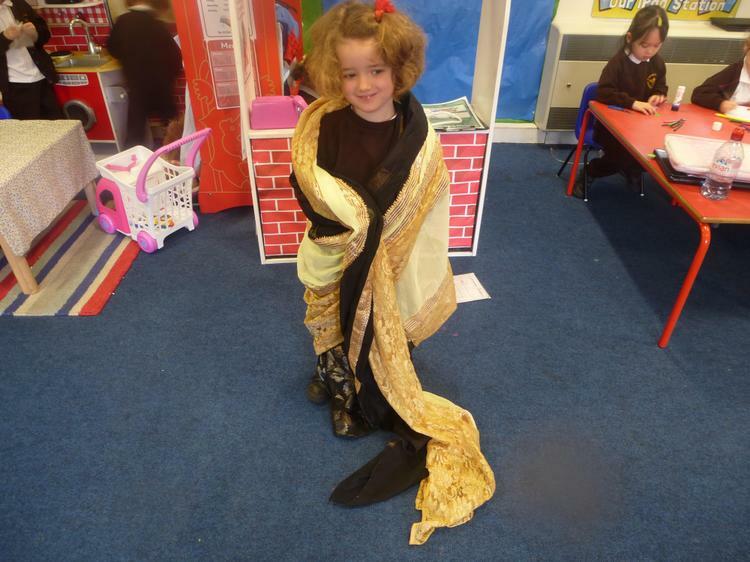 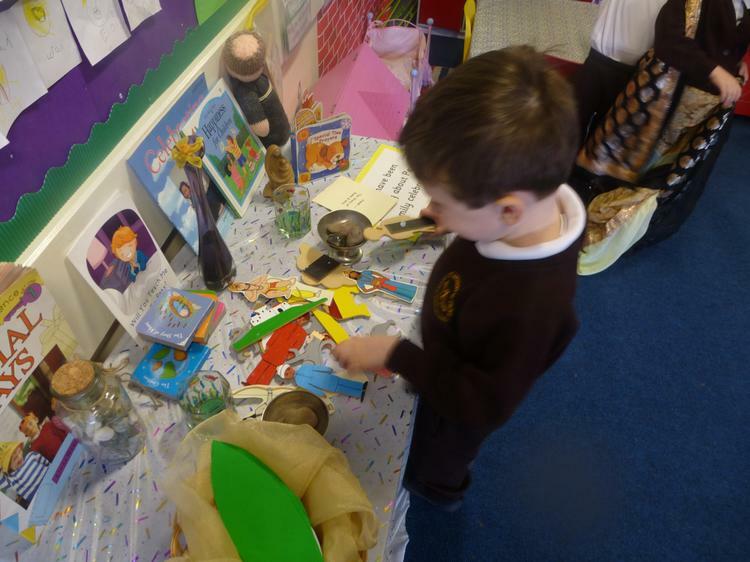 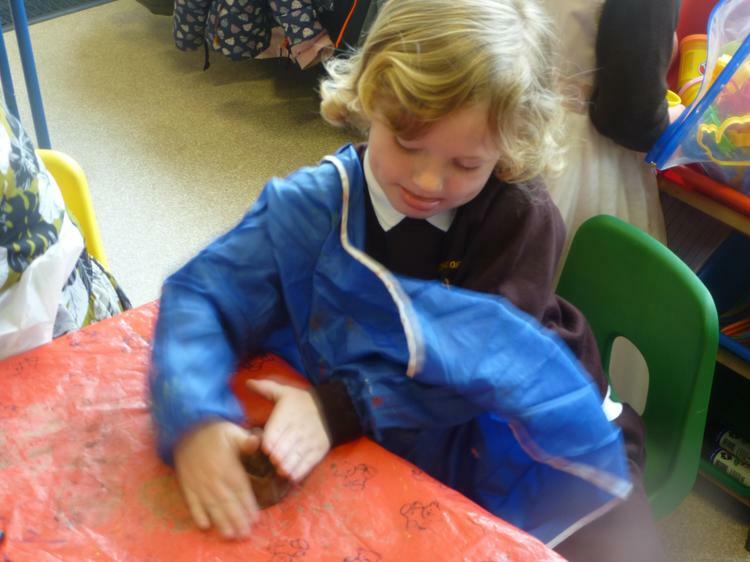 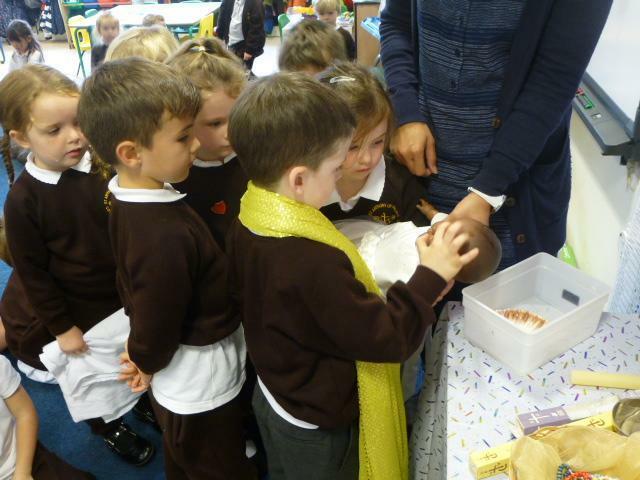 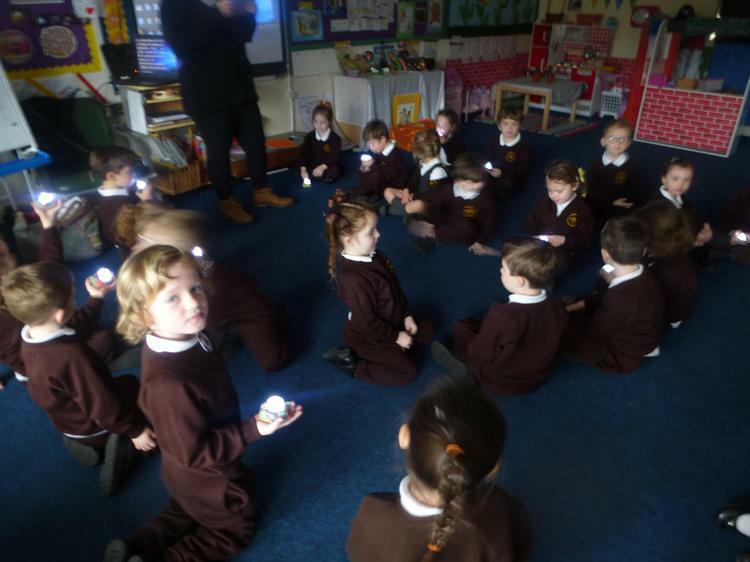 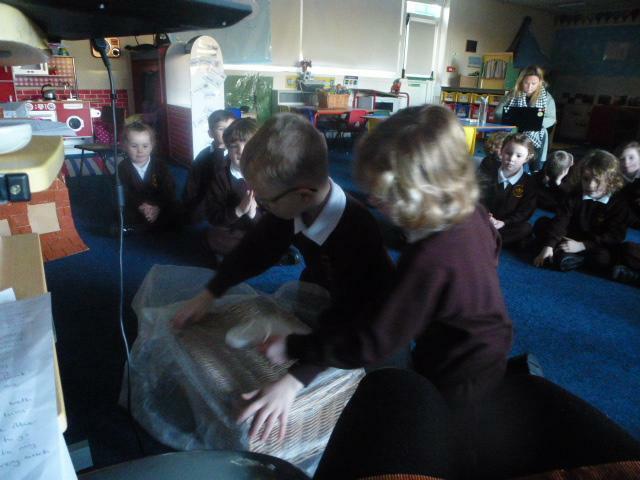 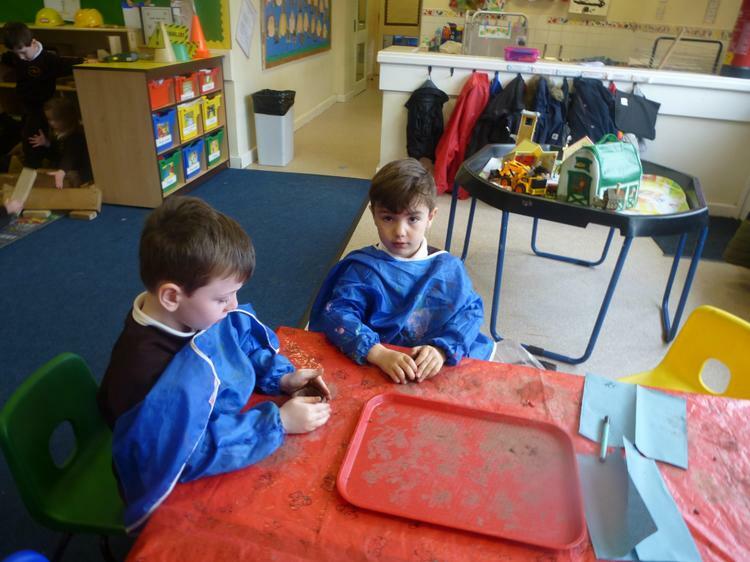 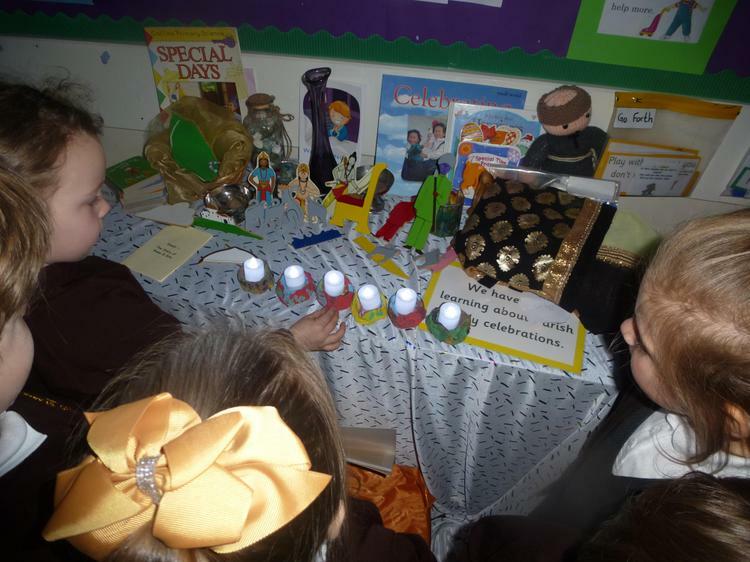 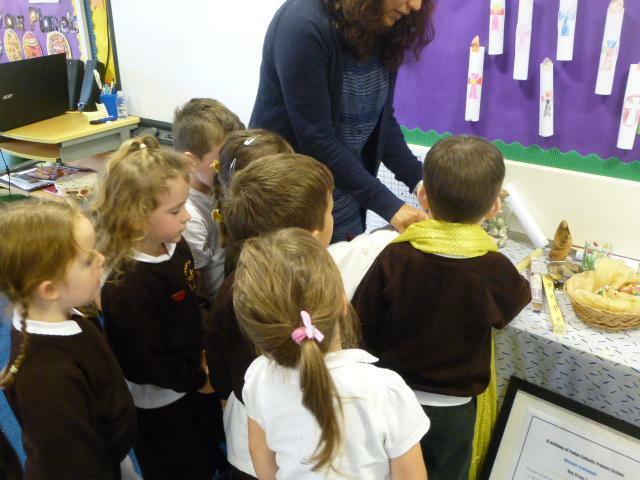 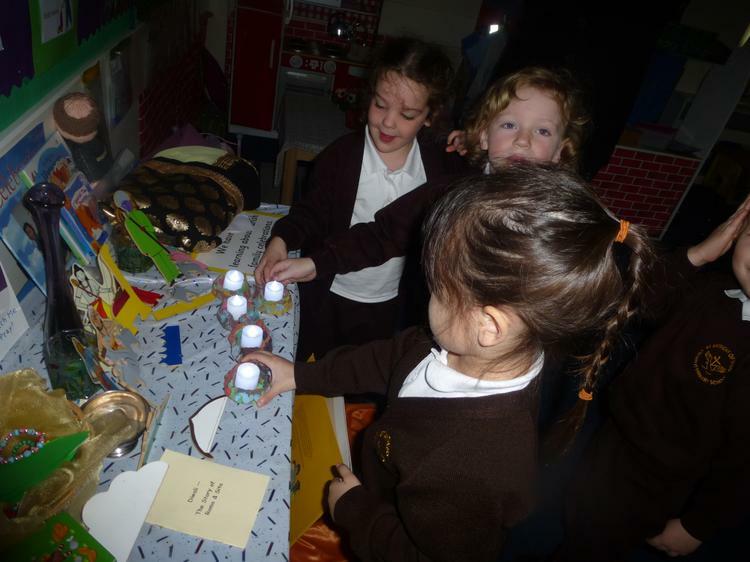 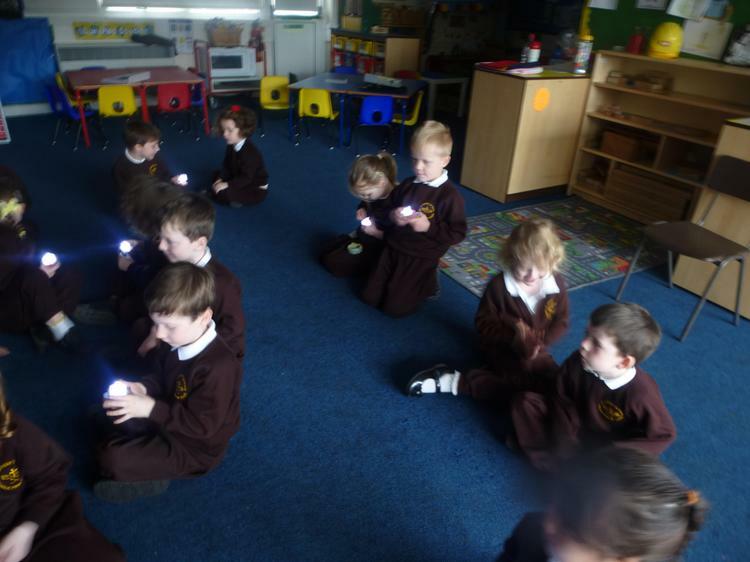 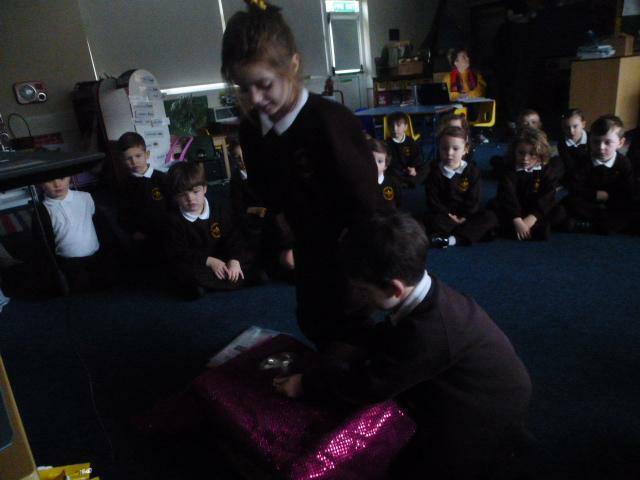 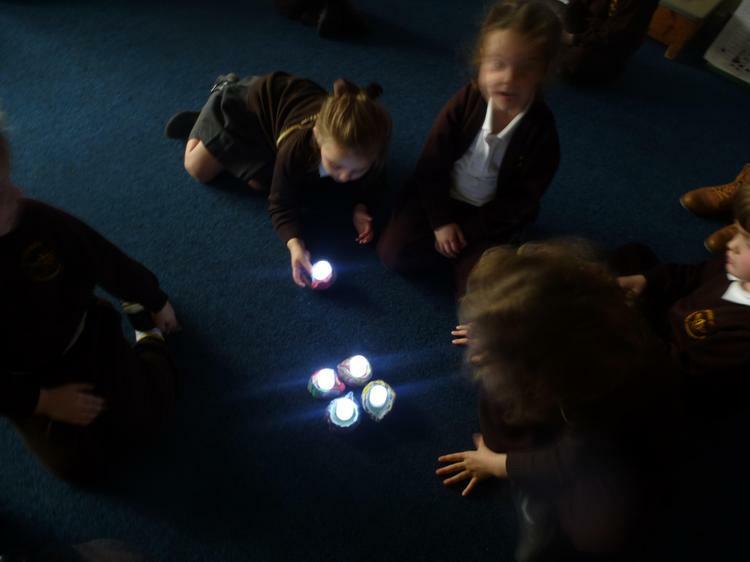 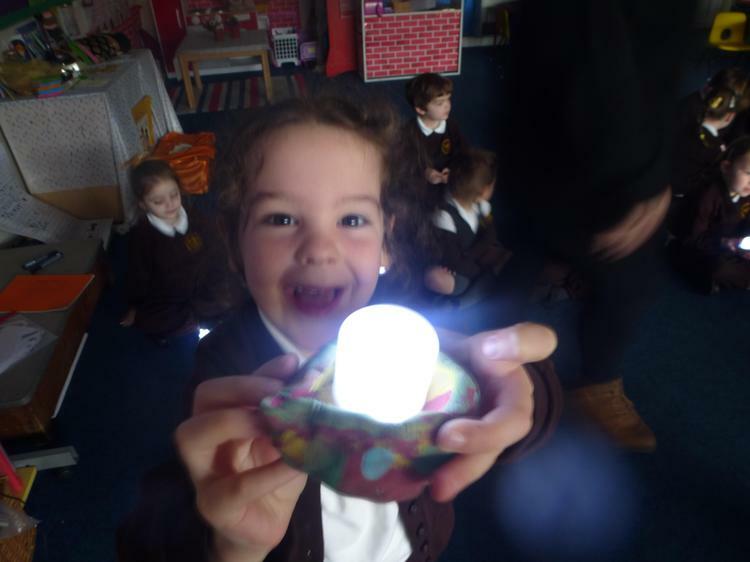 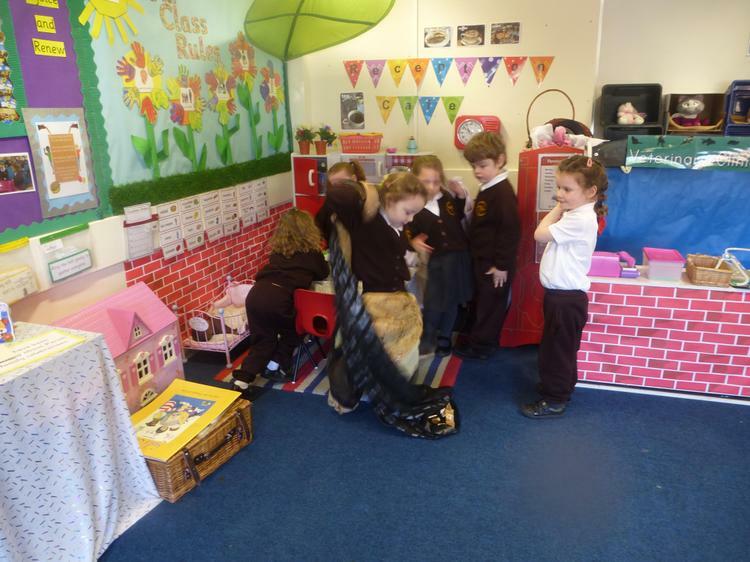 Reception has been learning all about Hinduism and Diwali in Other Faith or Religion Week. 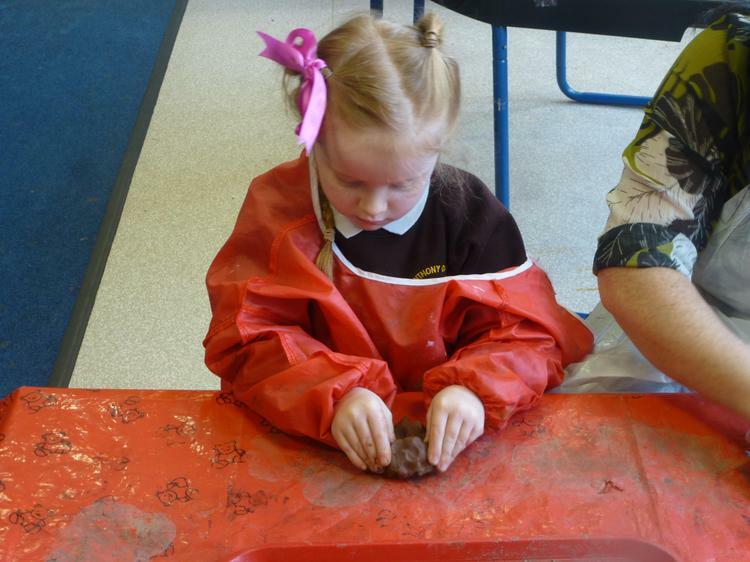 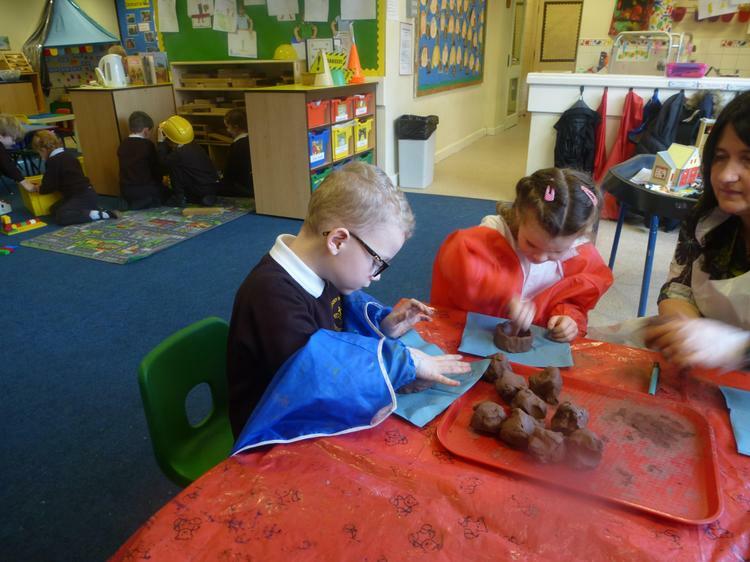 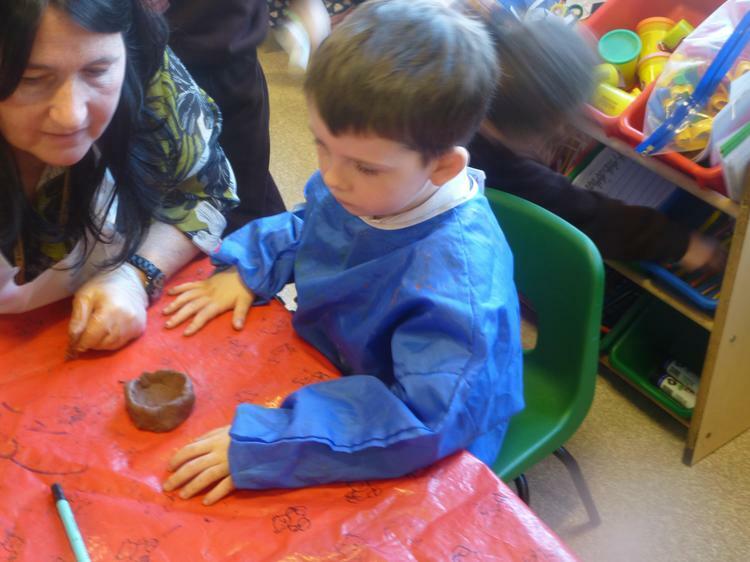 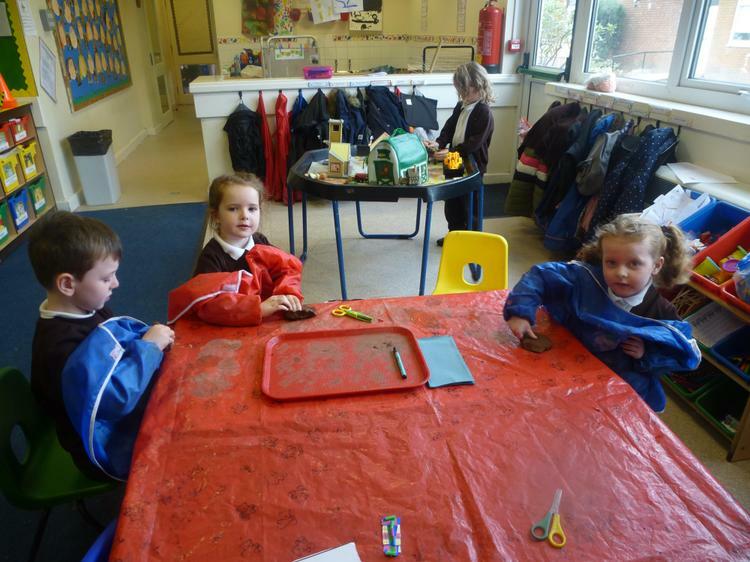 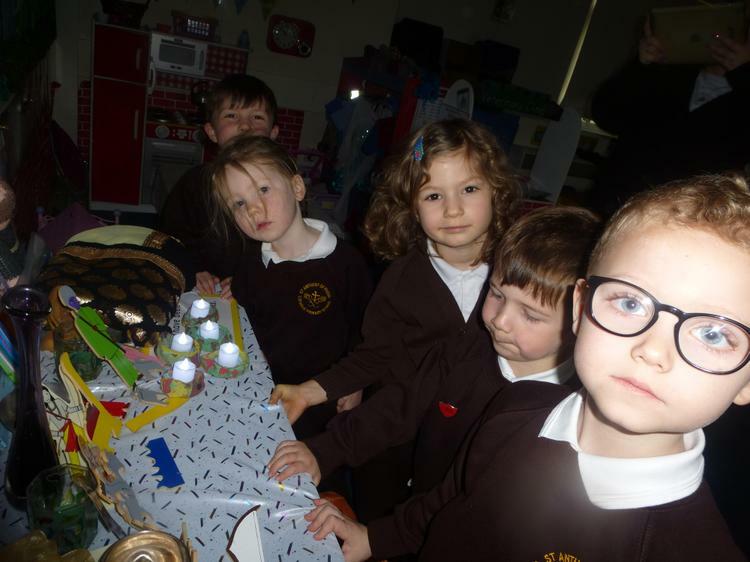 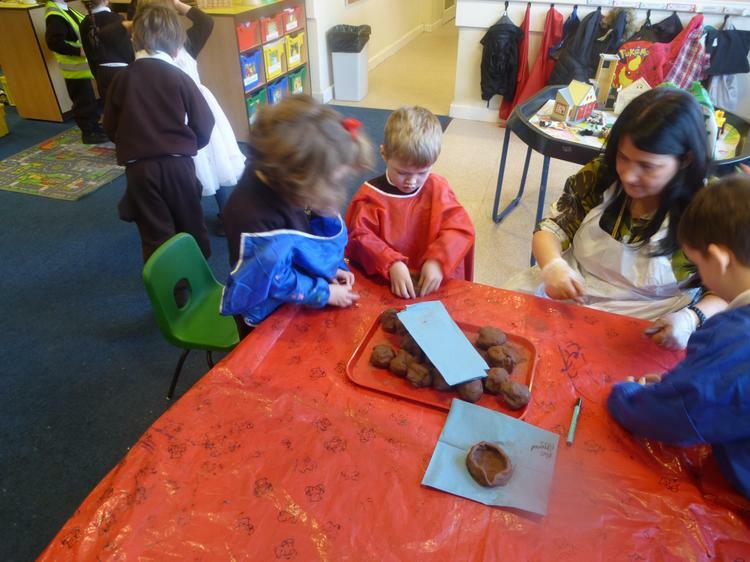 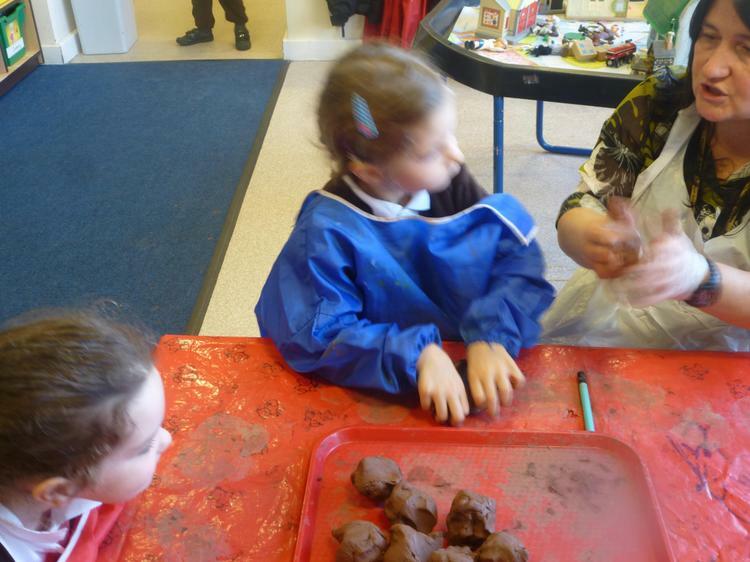 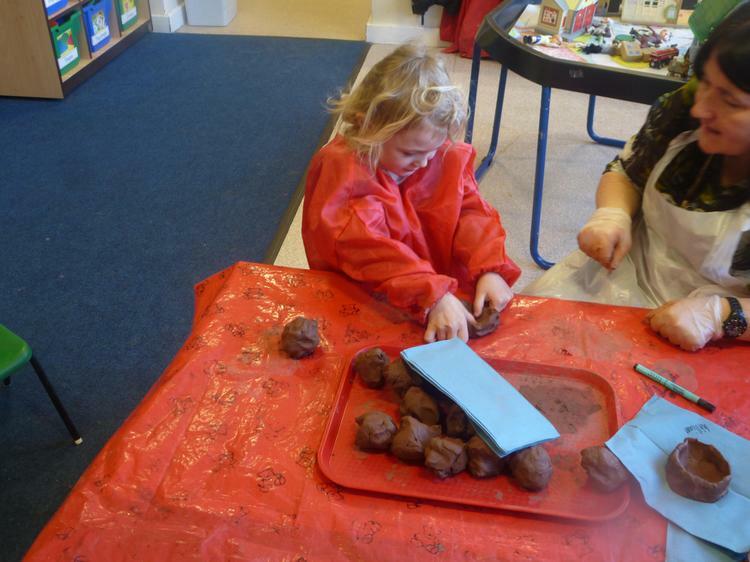 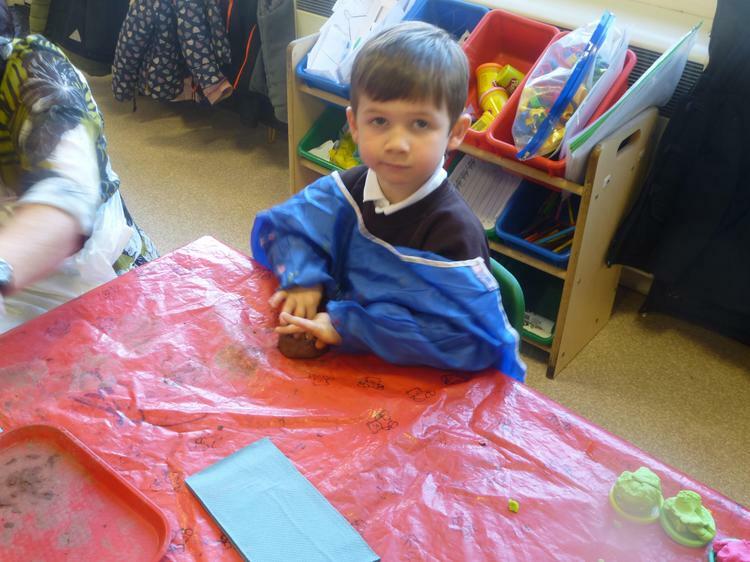 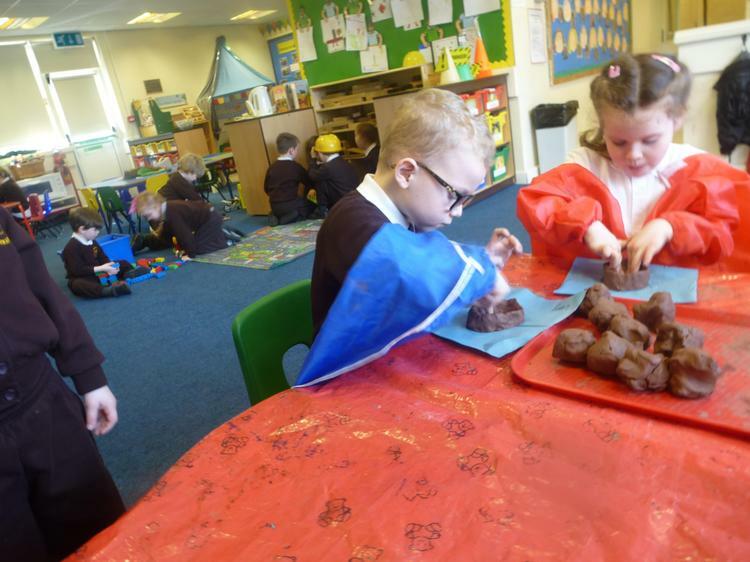 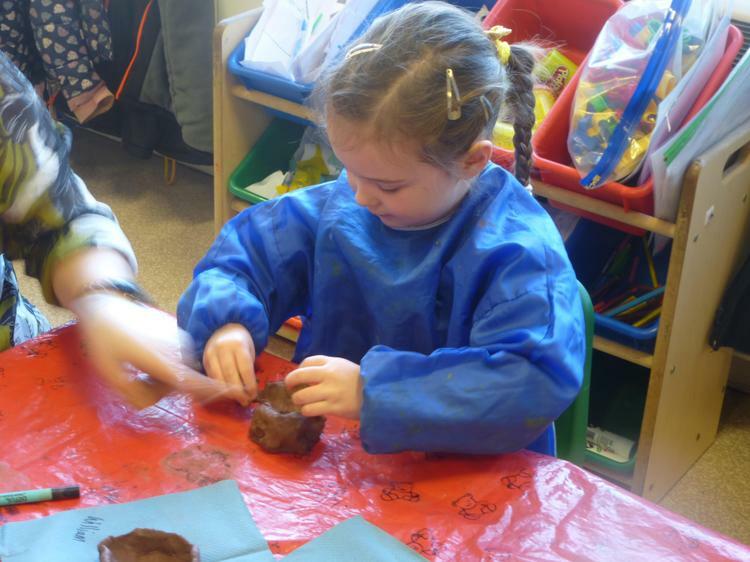 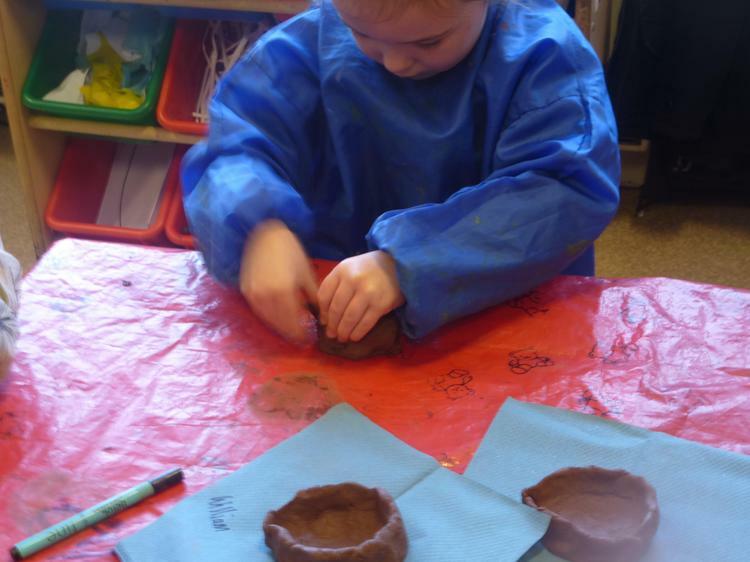 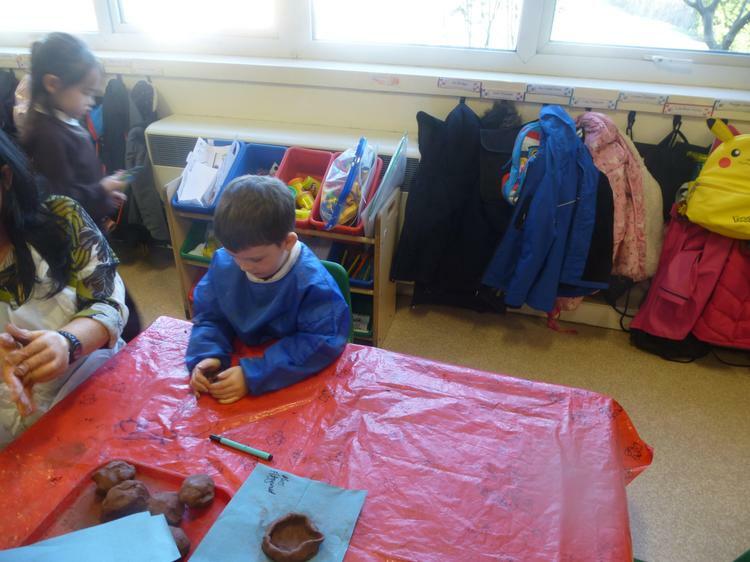 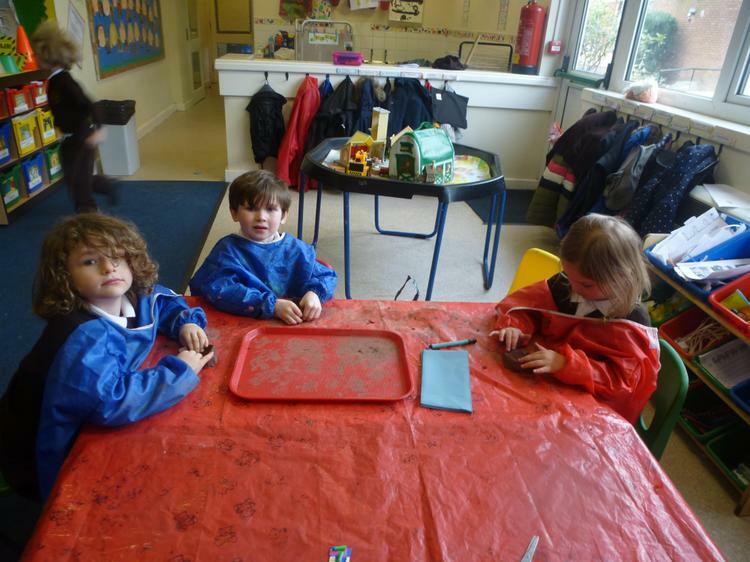 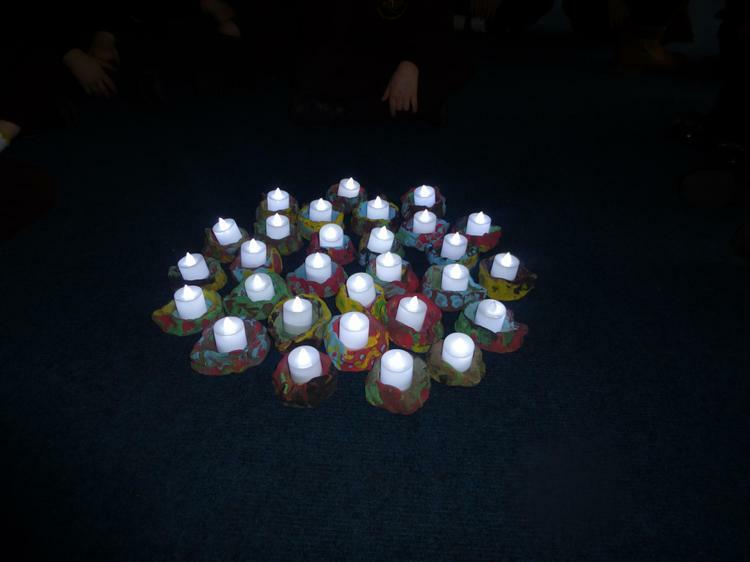 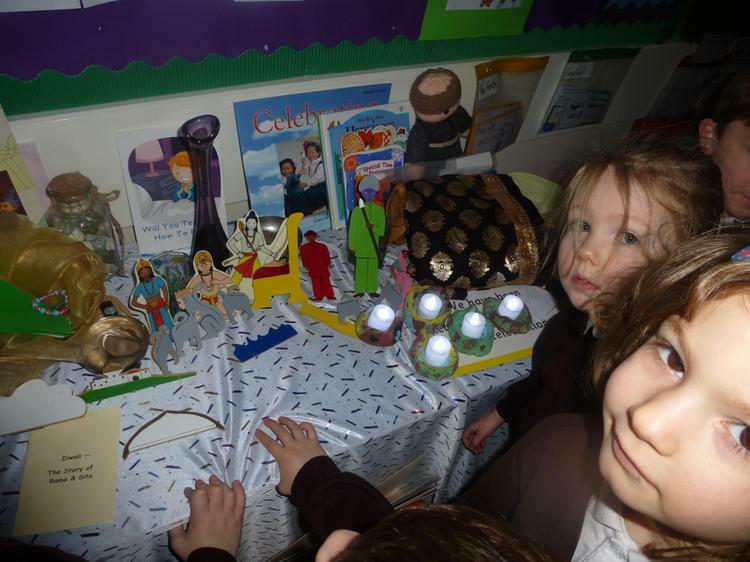 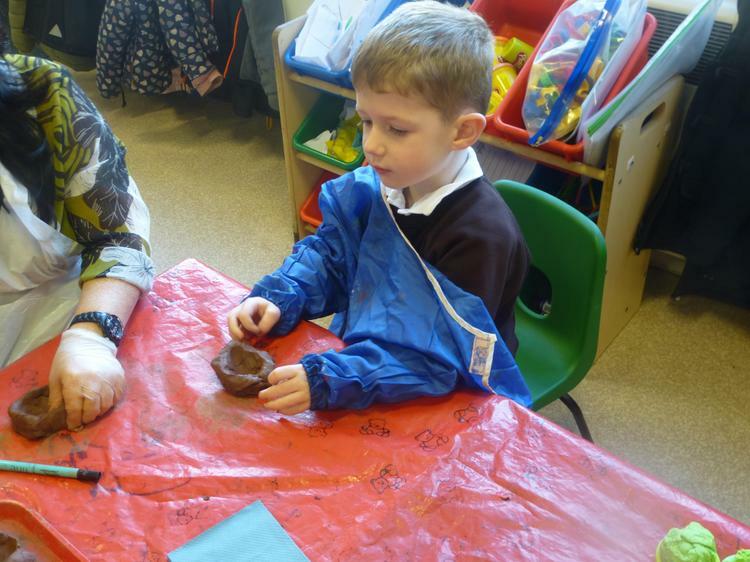 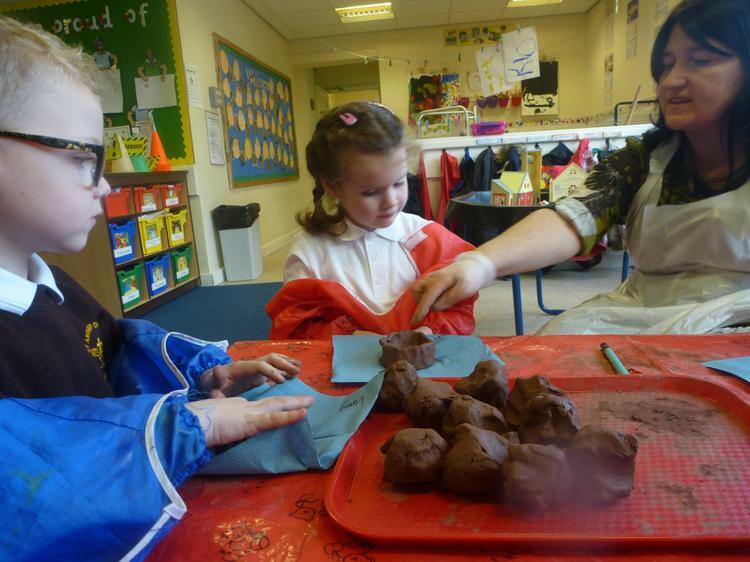 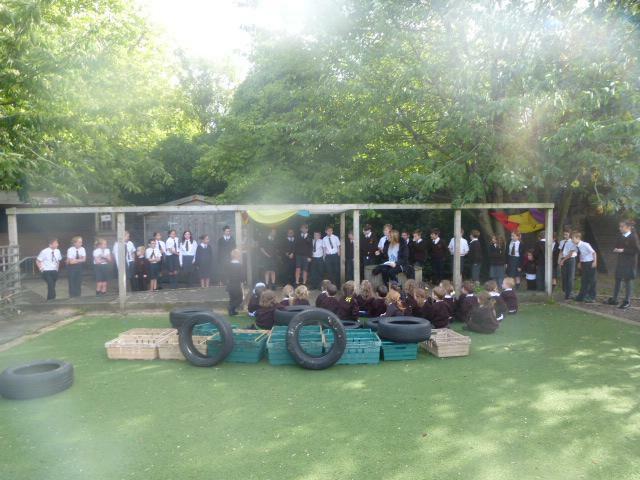 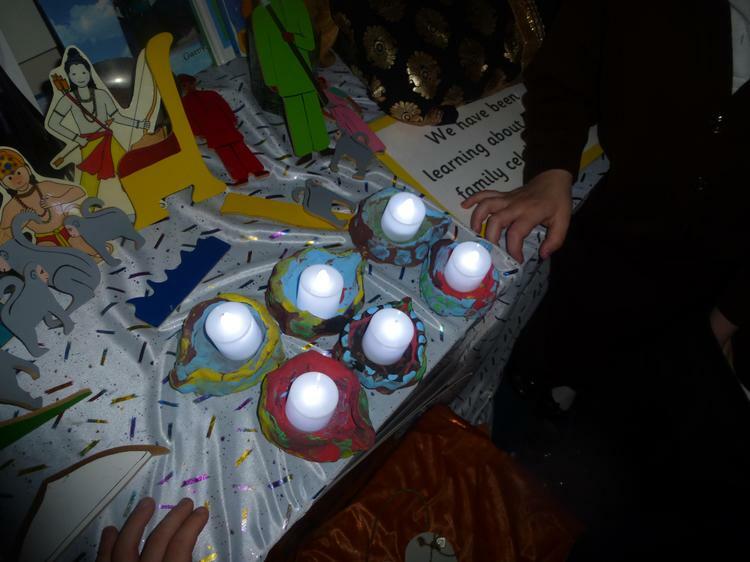 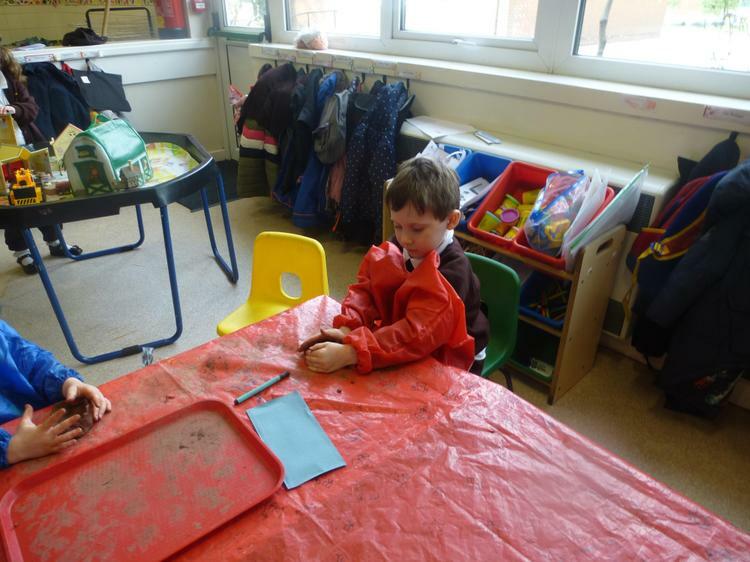 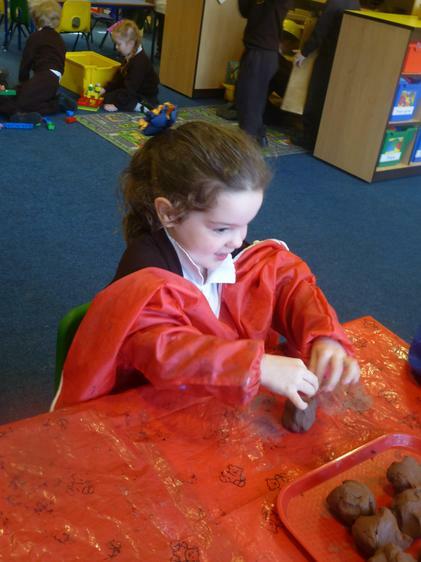 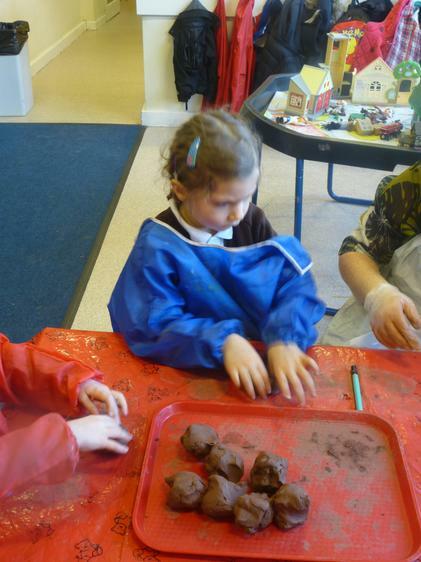 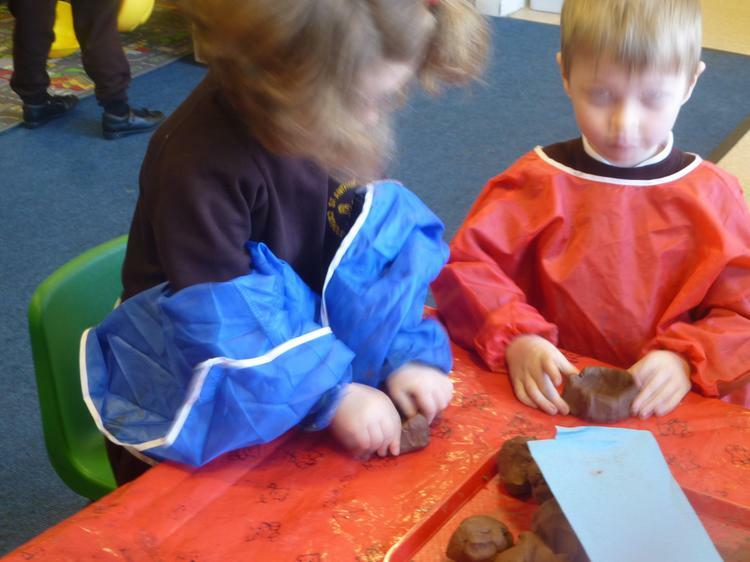 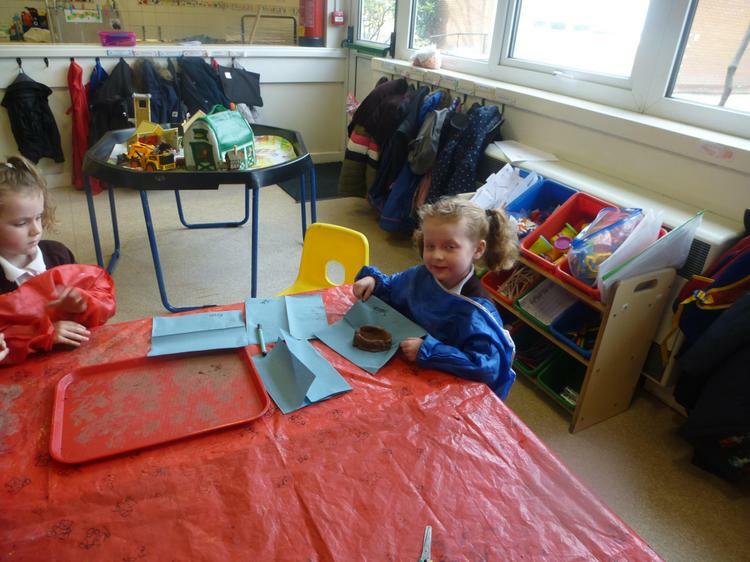 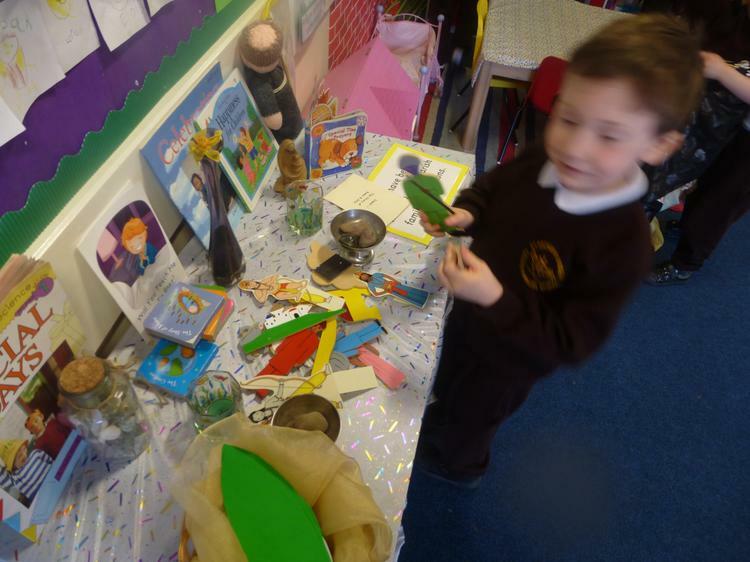 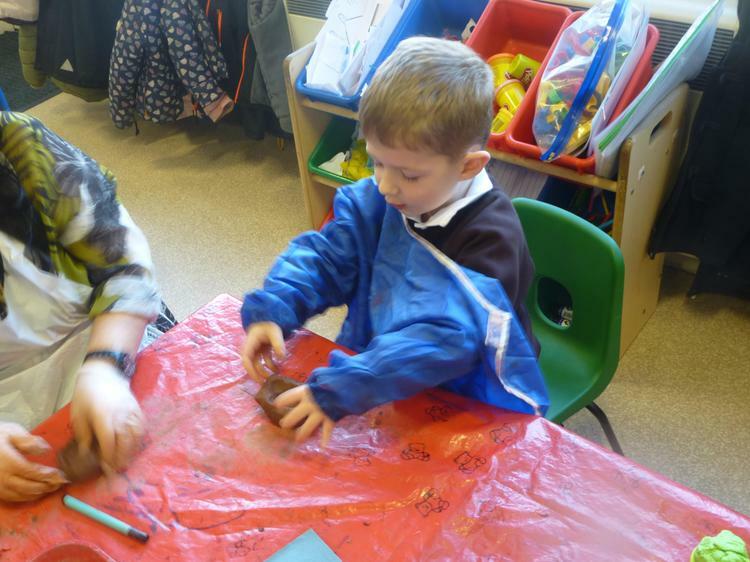 We role-played the story of Rama and Sita and made diva lamps with clay.